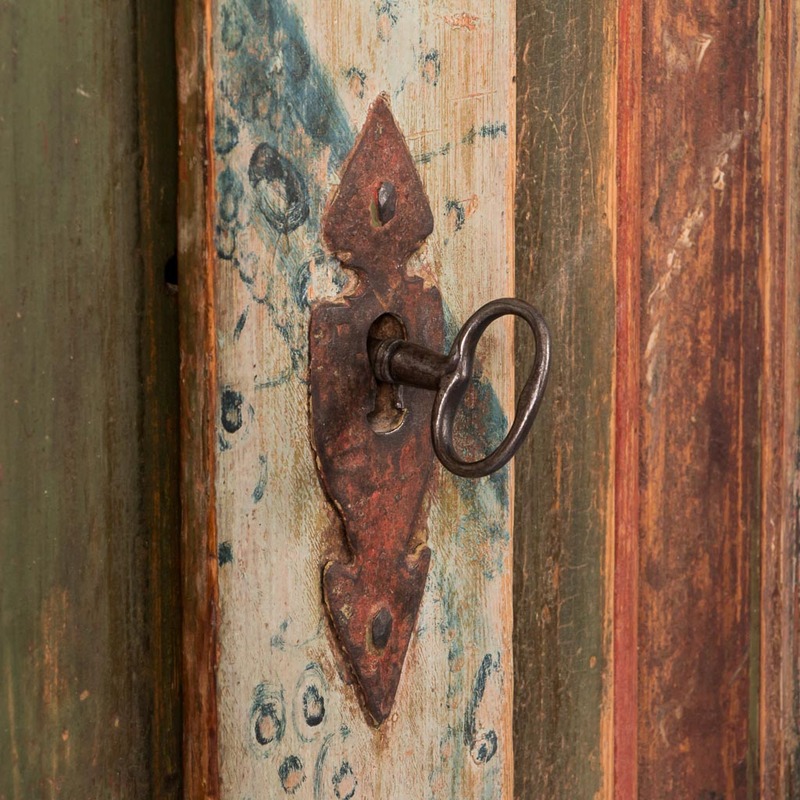 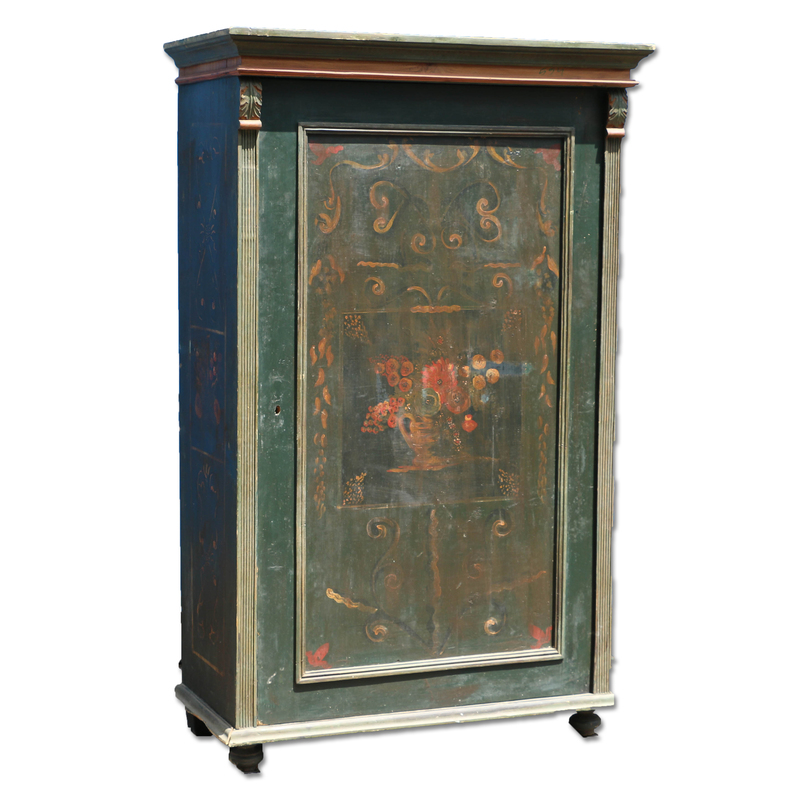 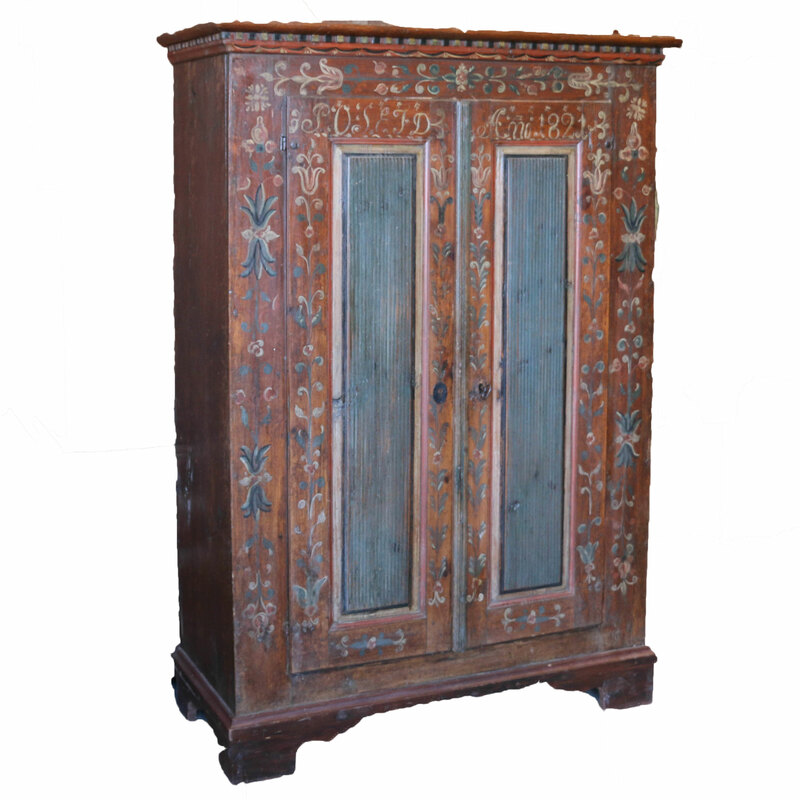 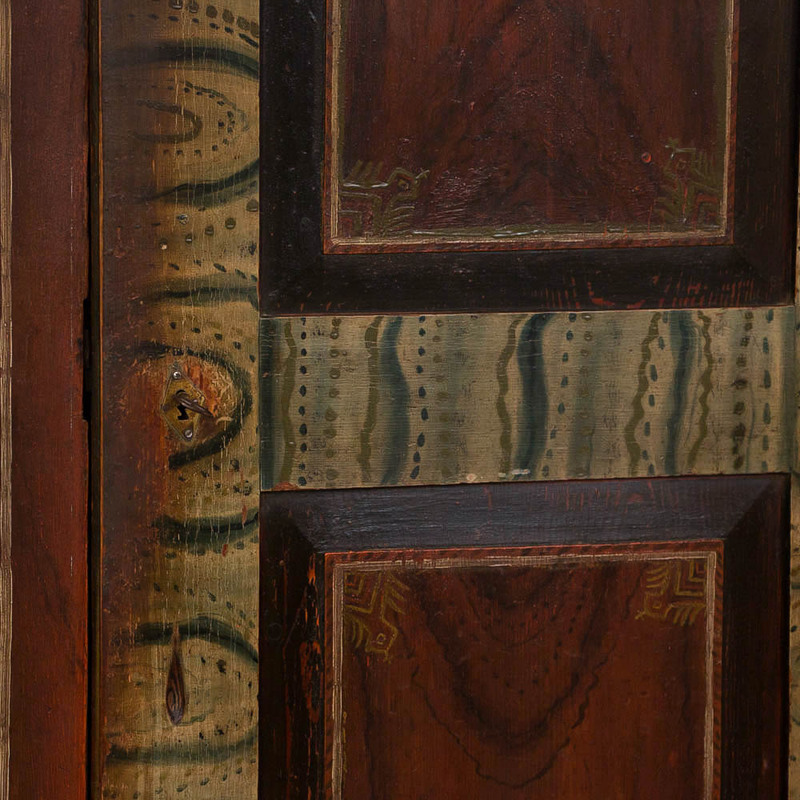 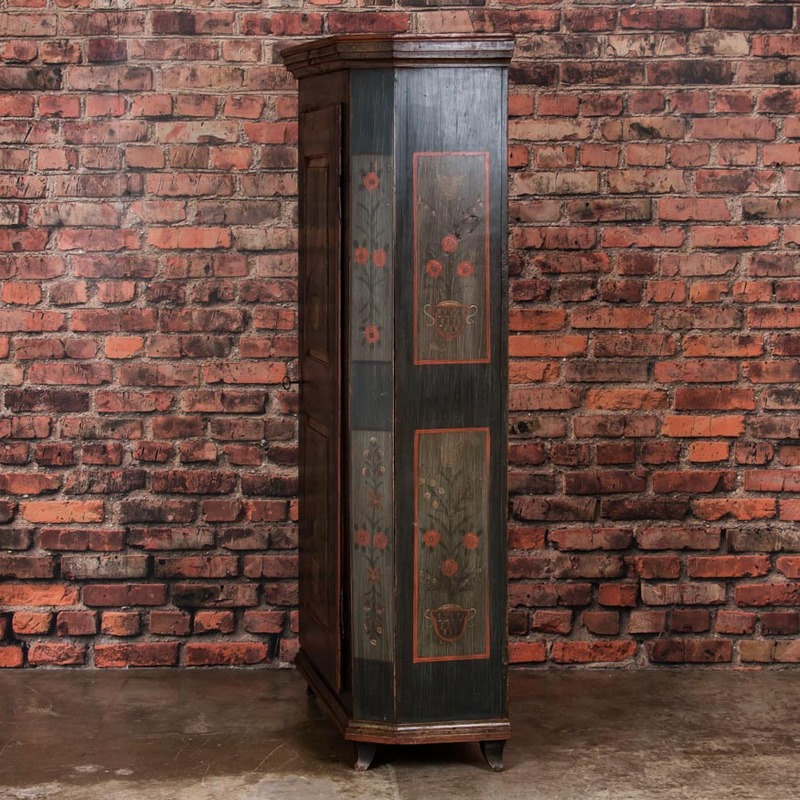 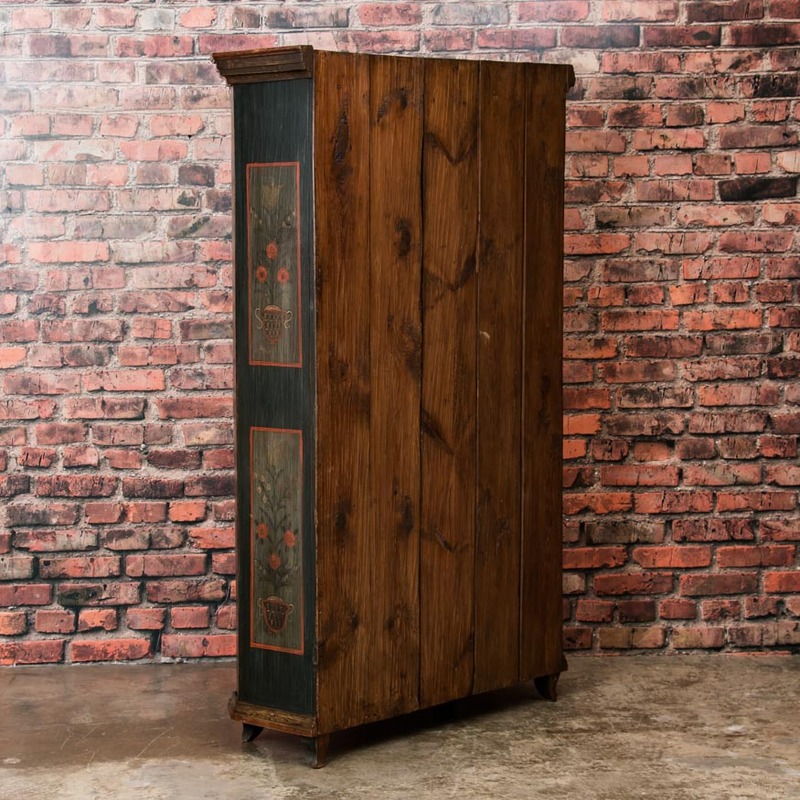 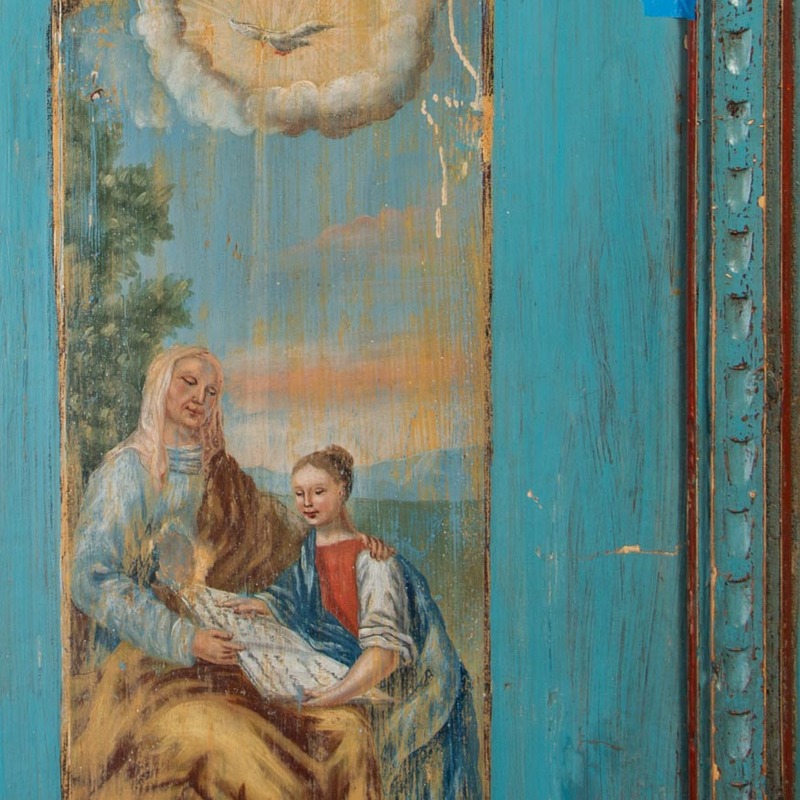 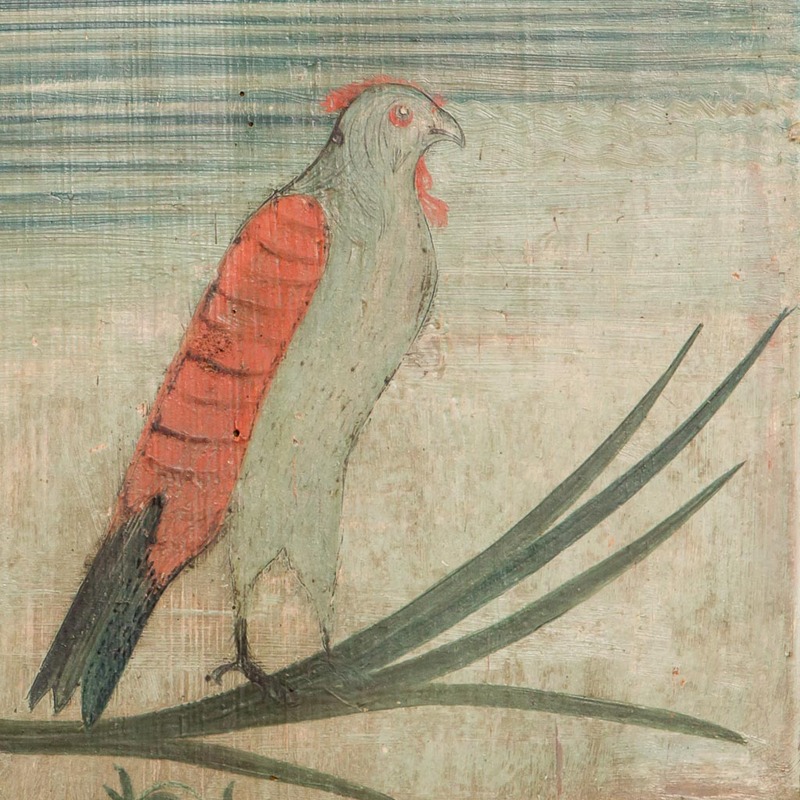 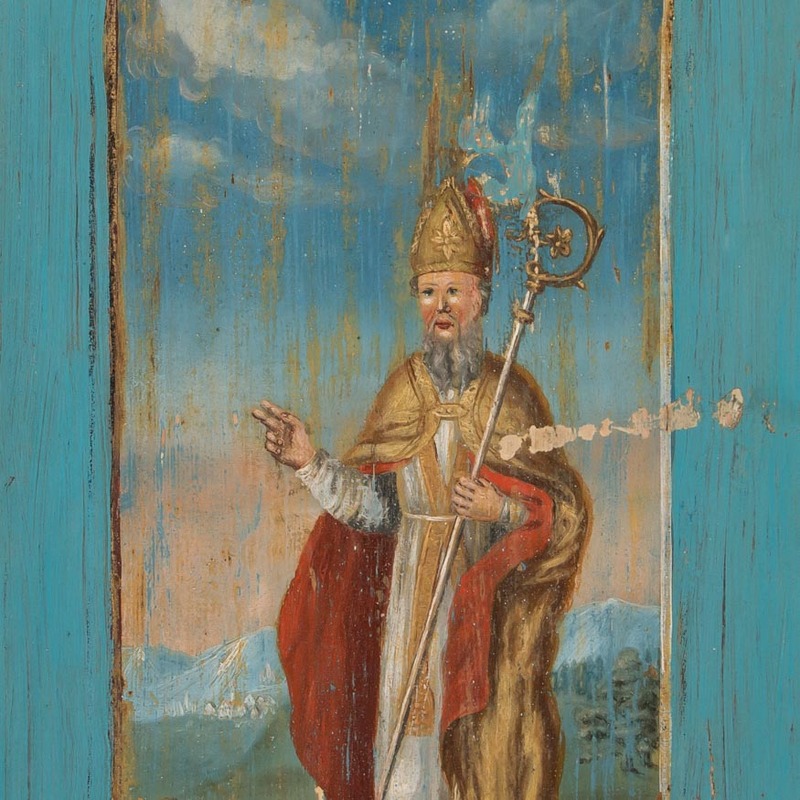 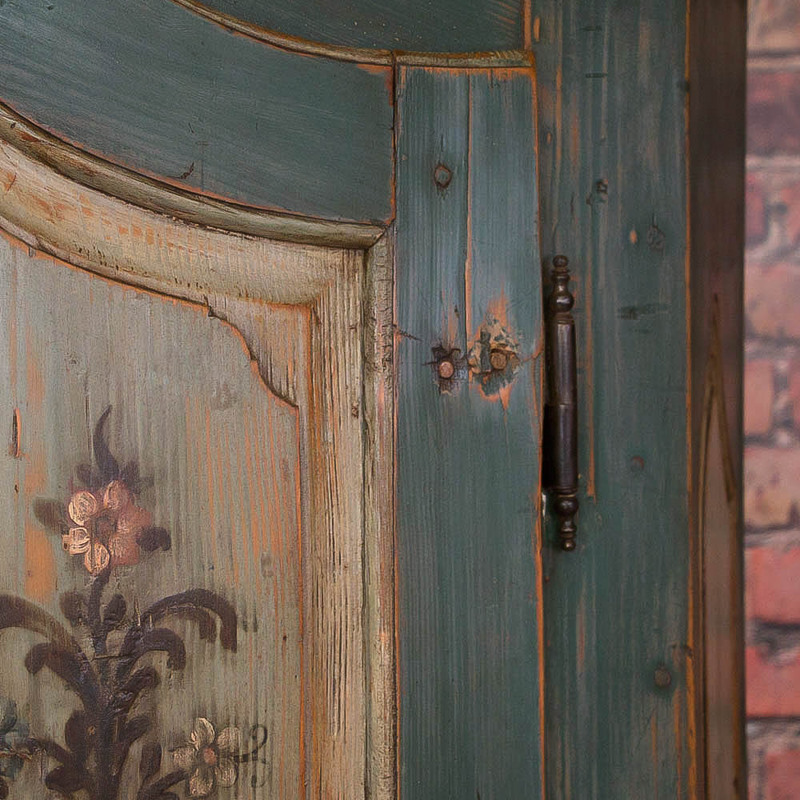 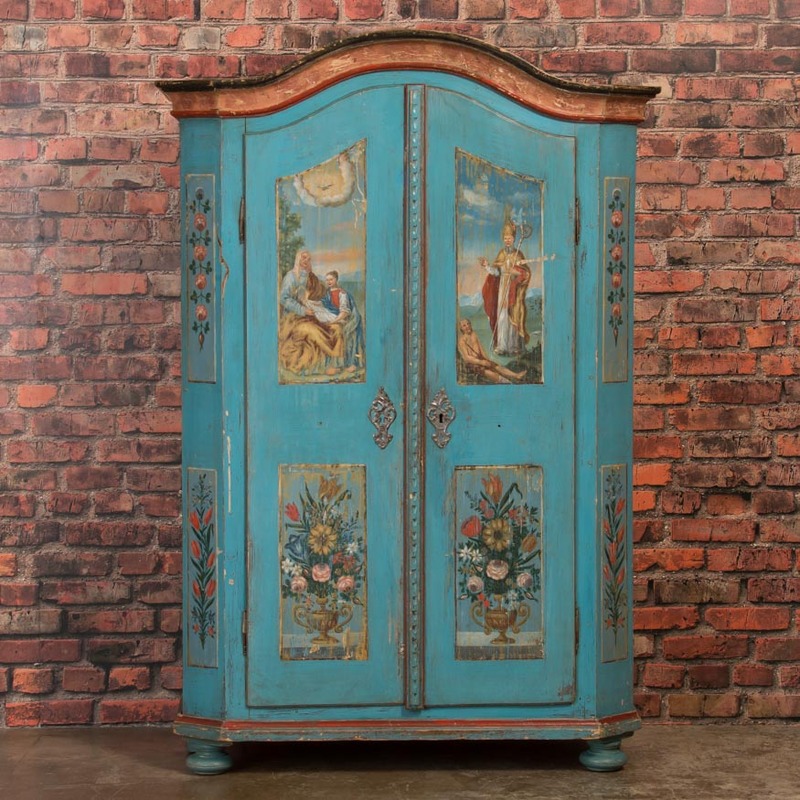 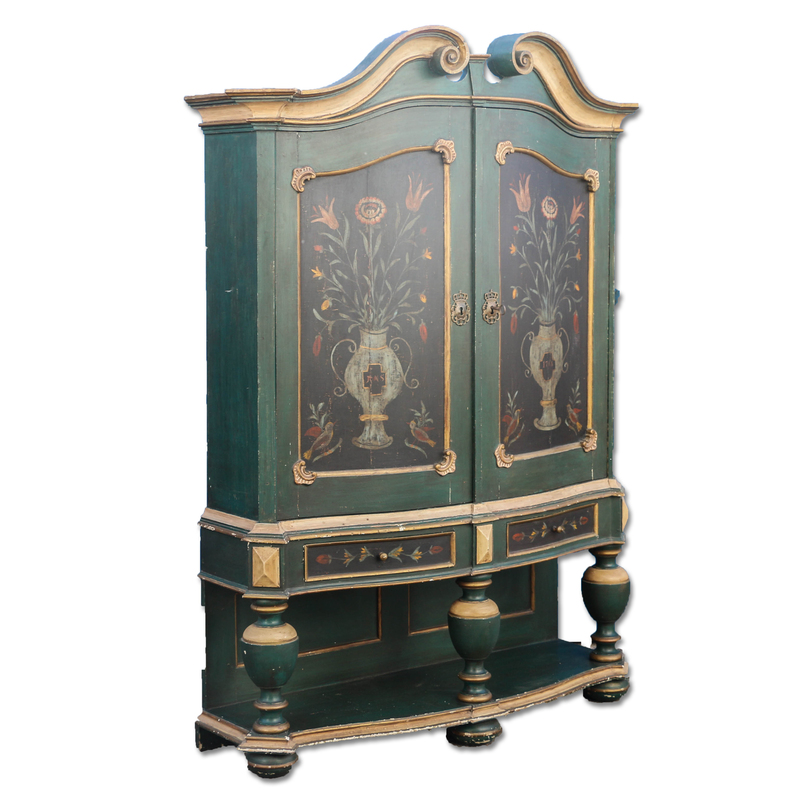 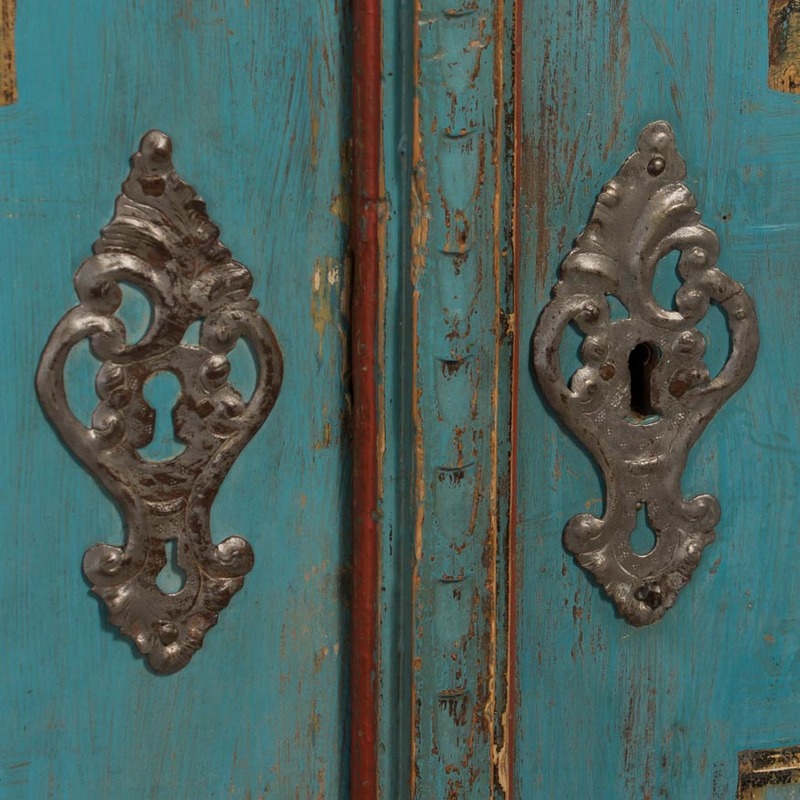 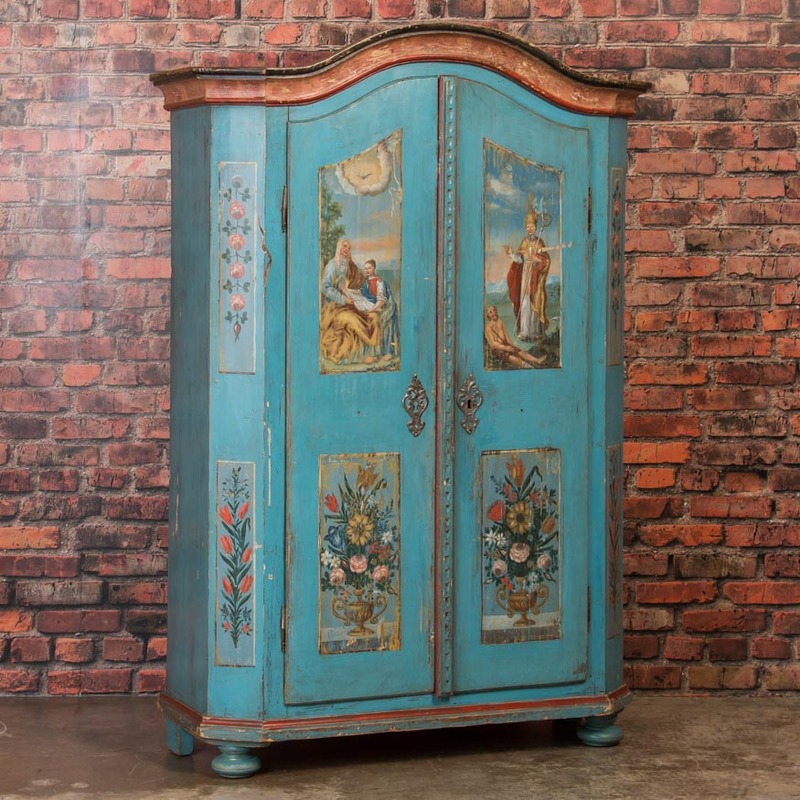 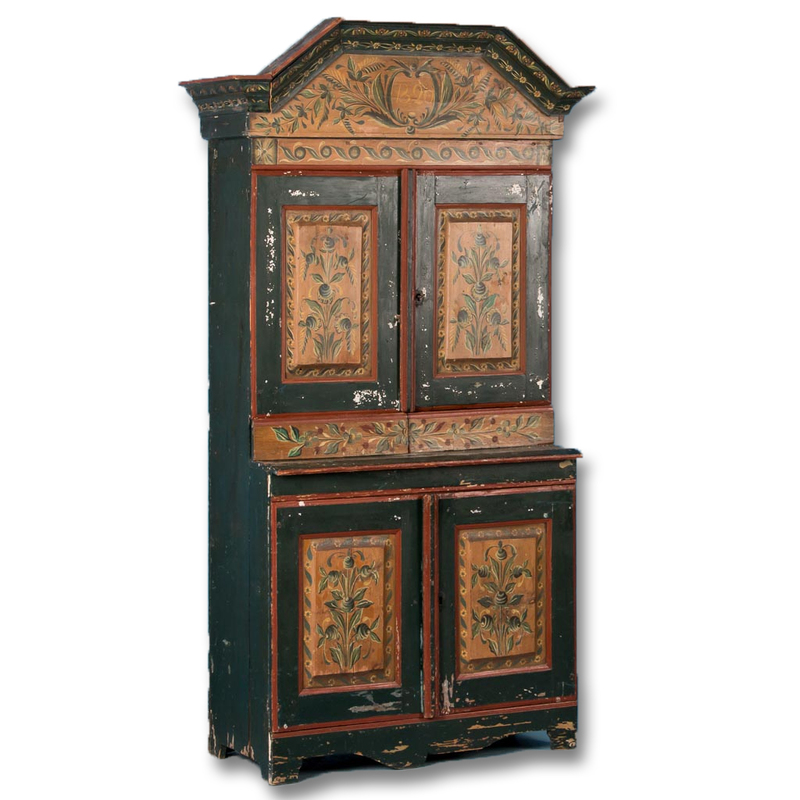 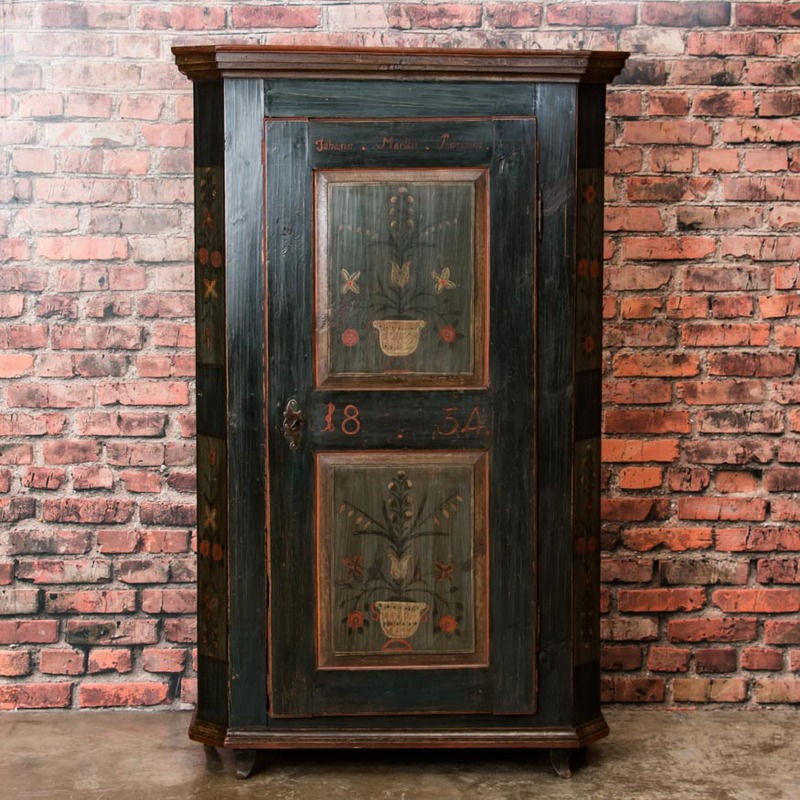 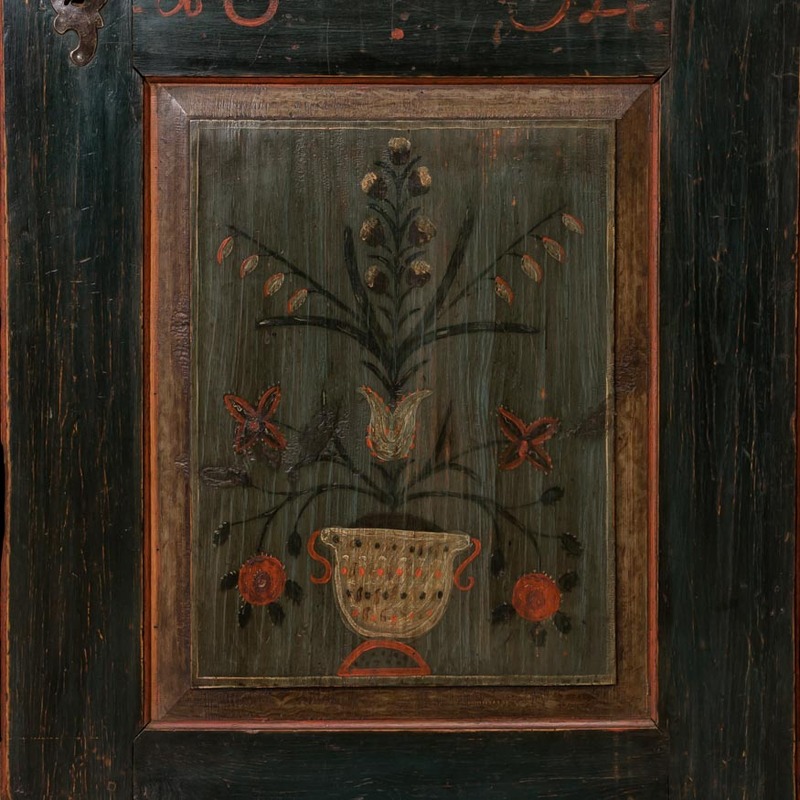 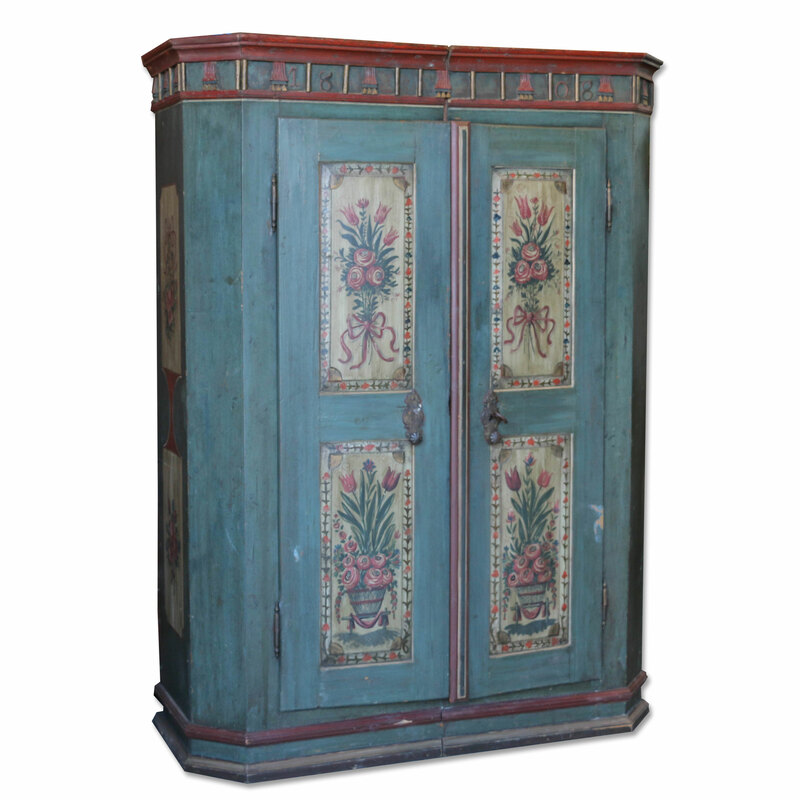 Antique two door armoire from Germany, dated 1774, with original folk art painted panels. 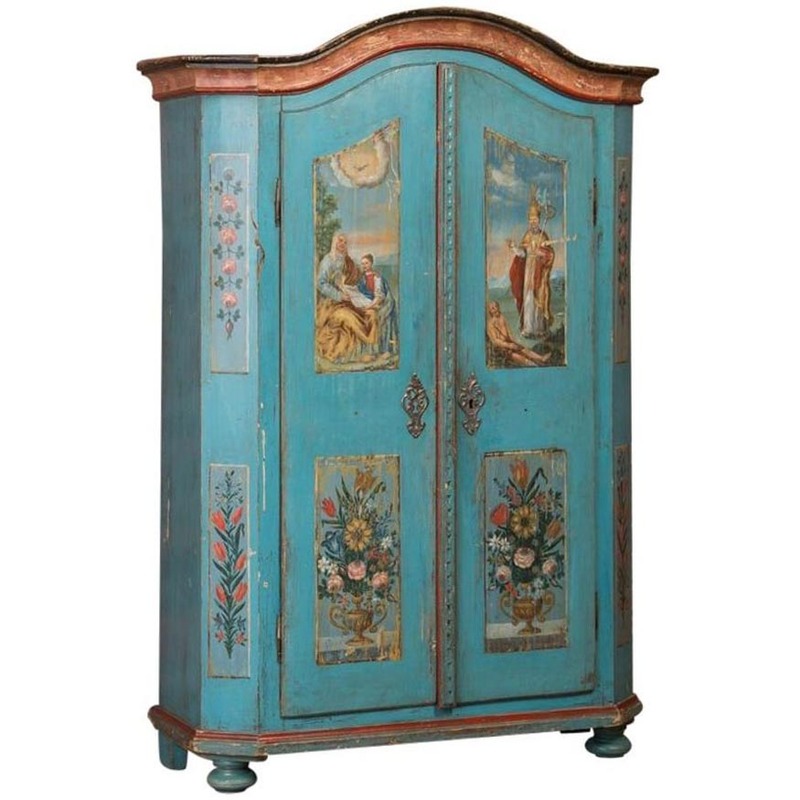 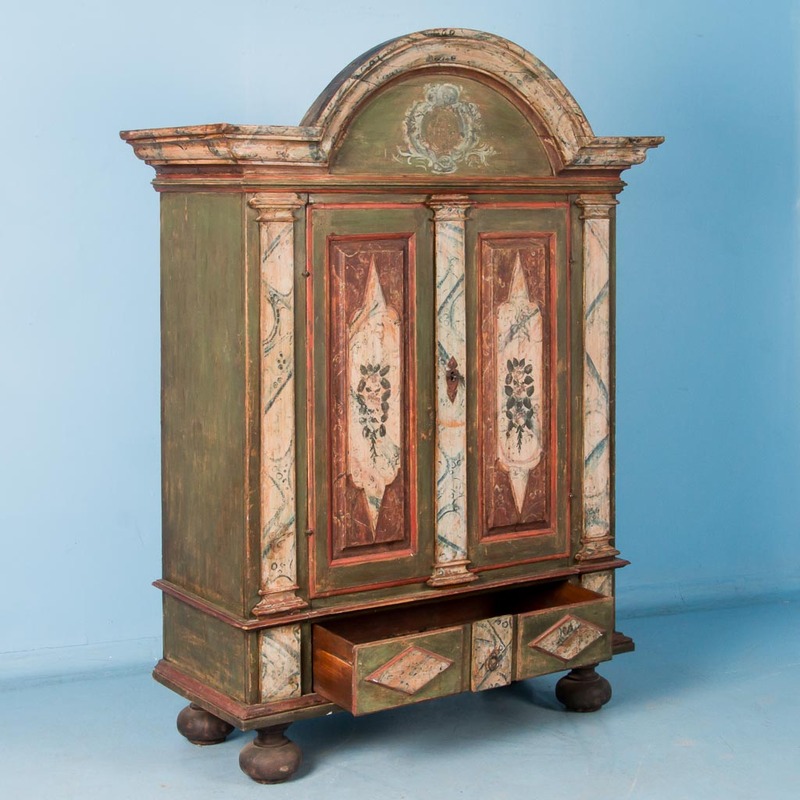 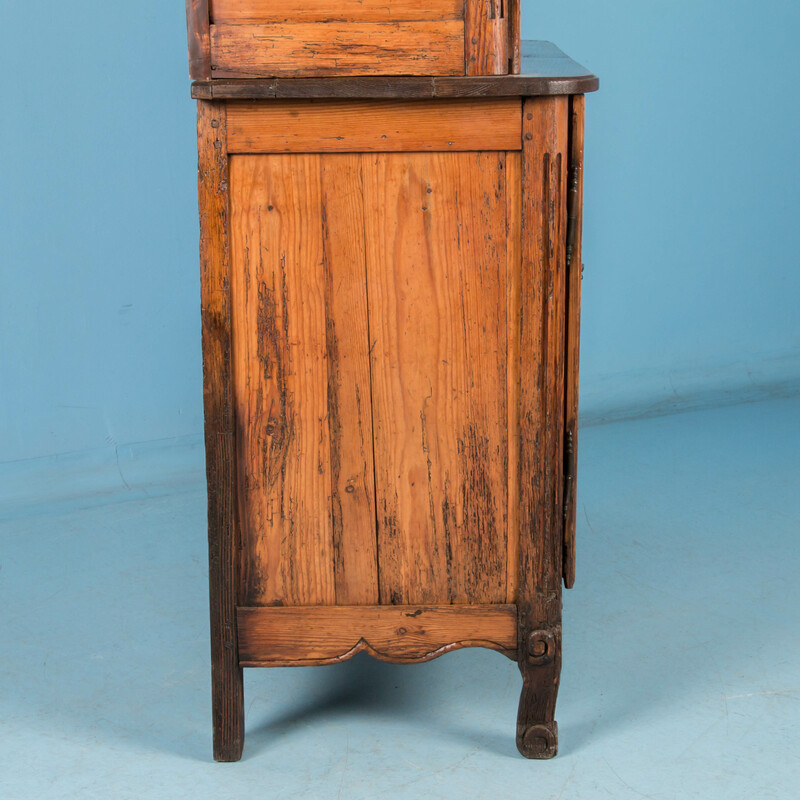 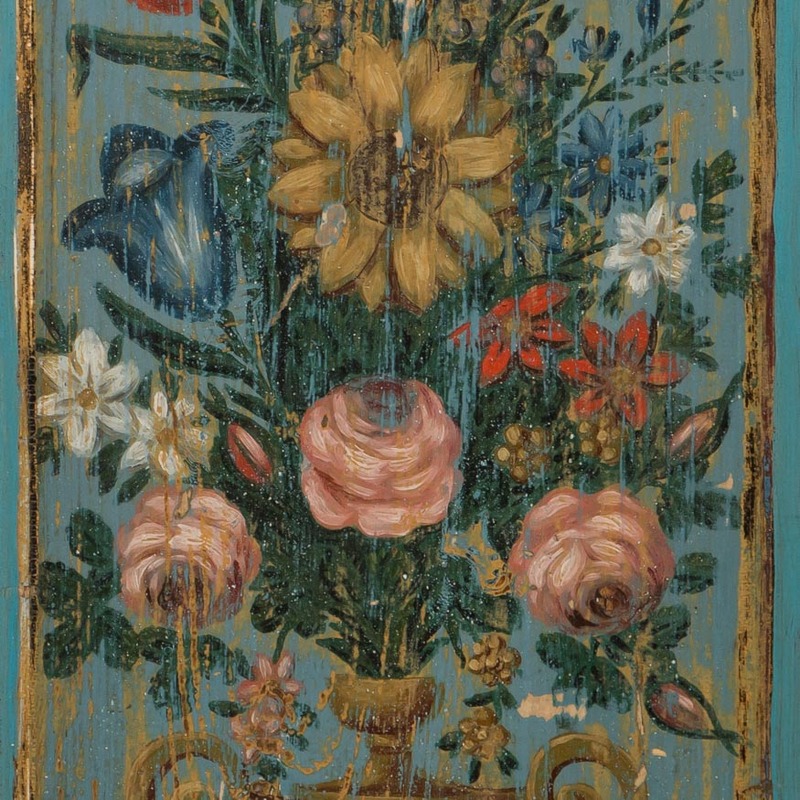 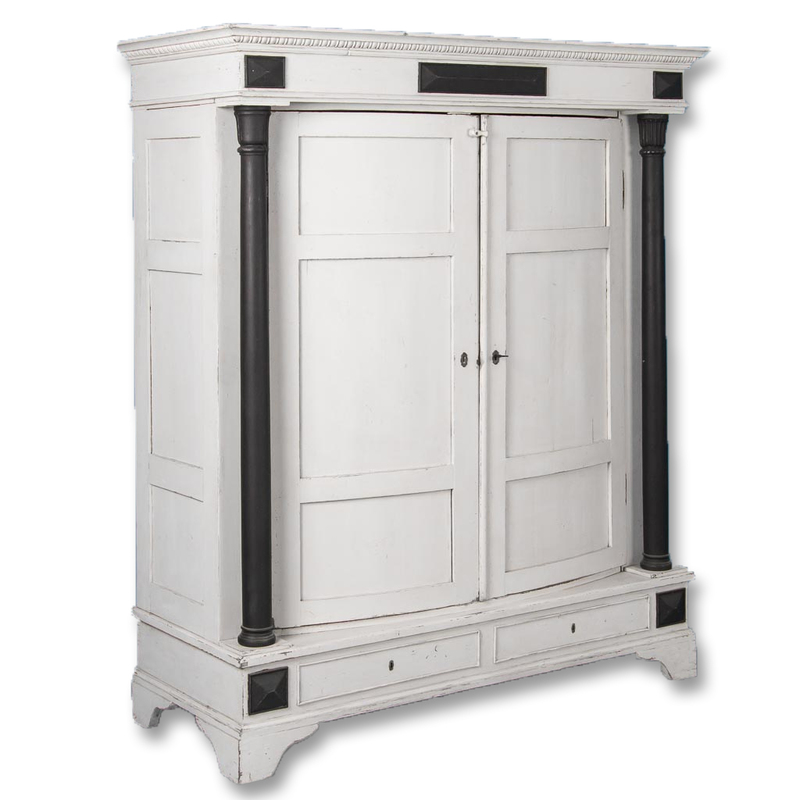 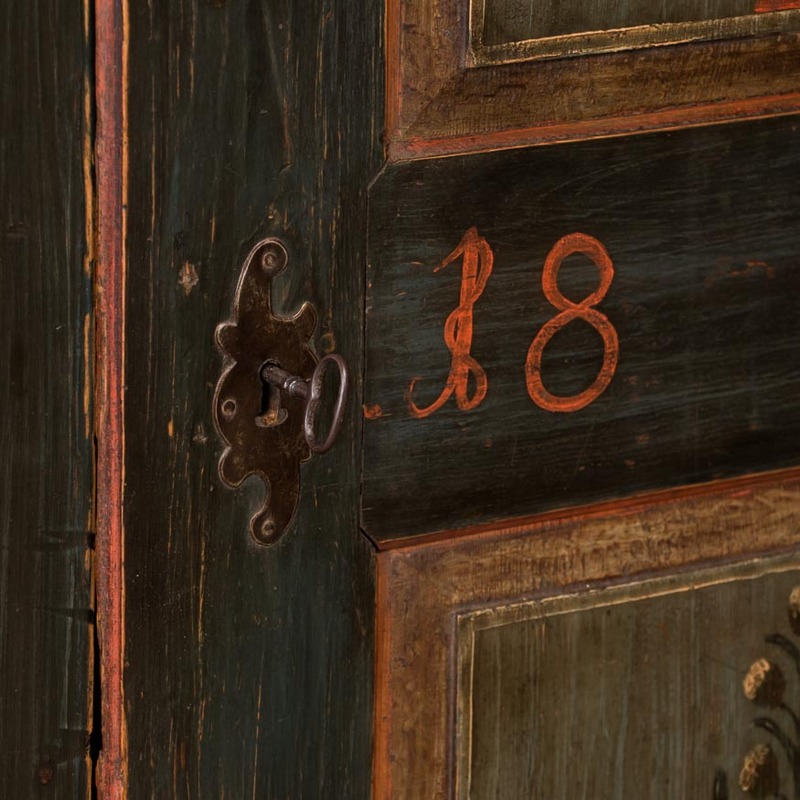 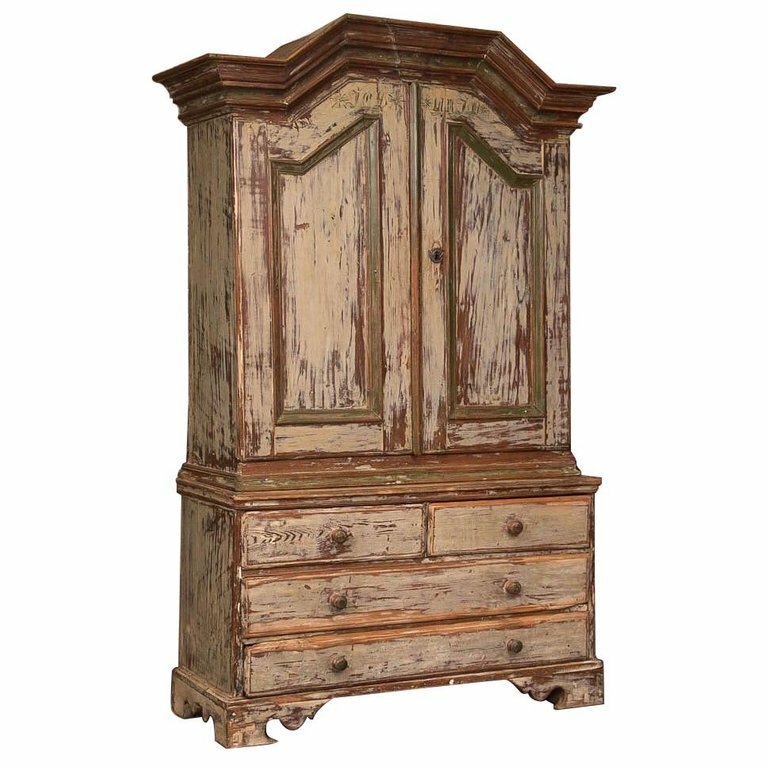 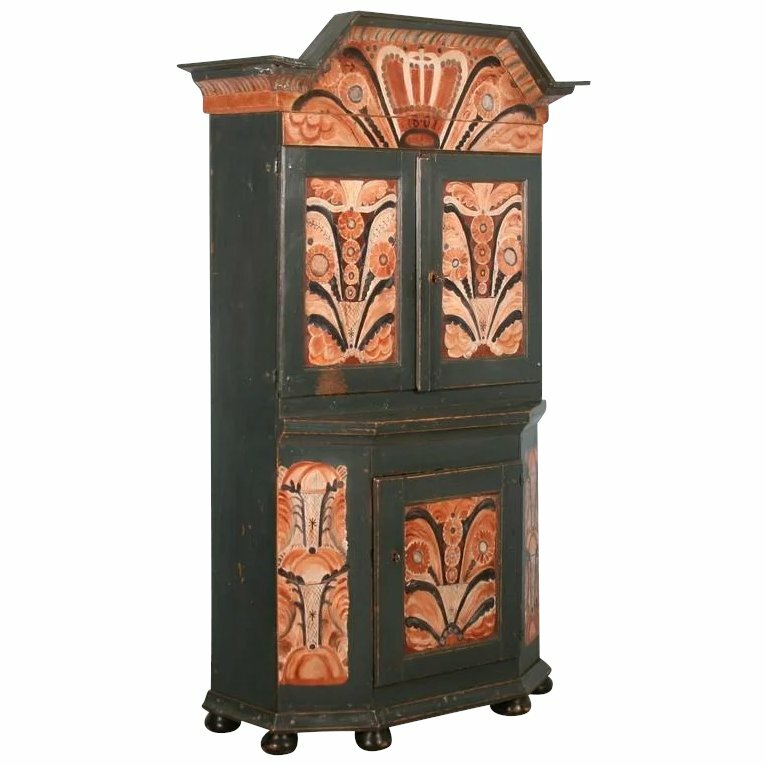 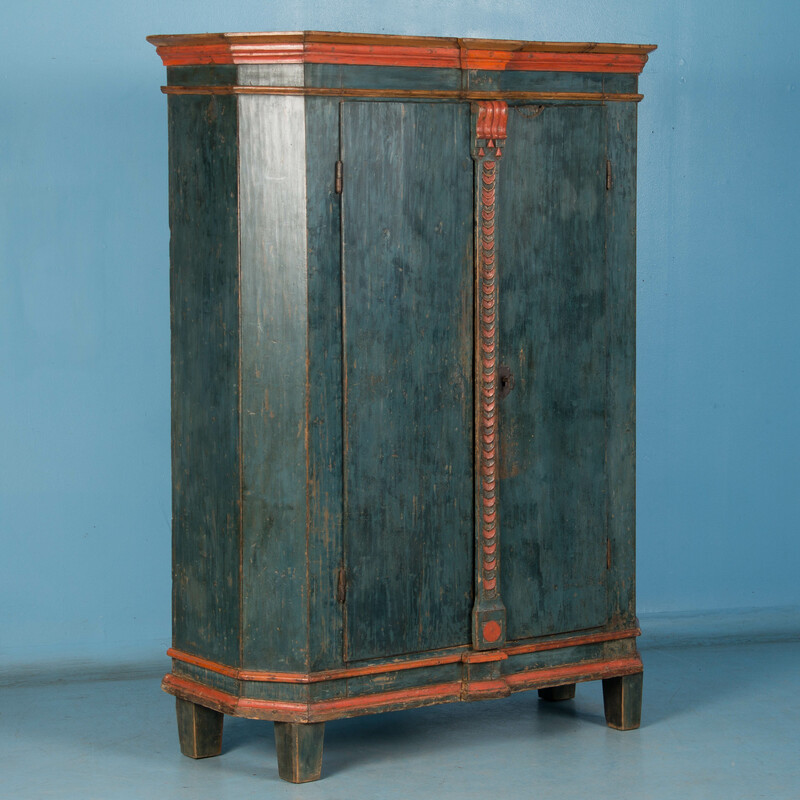 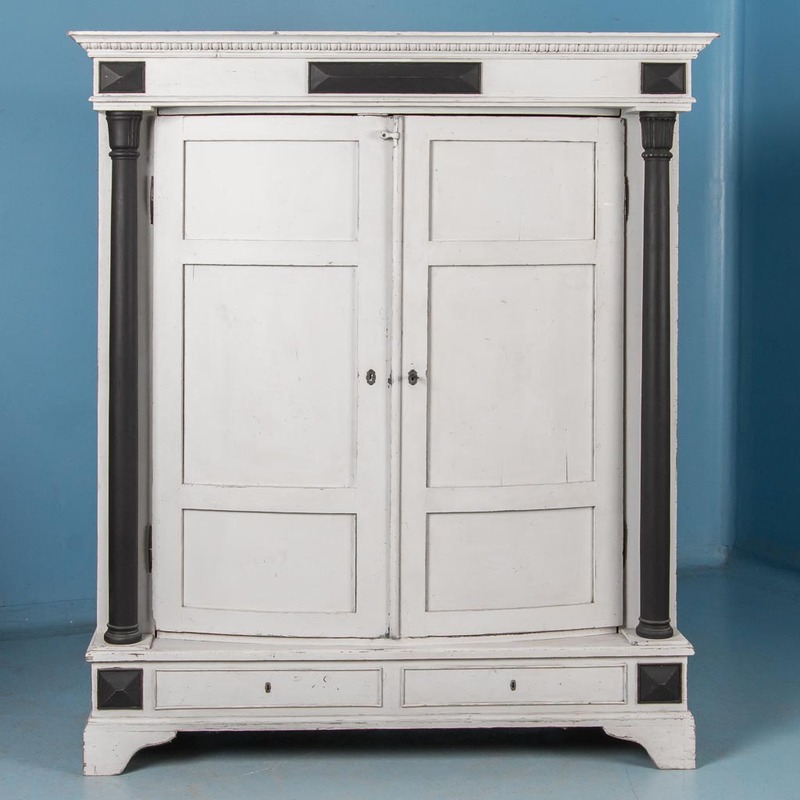 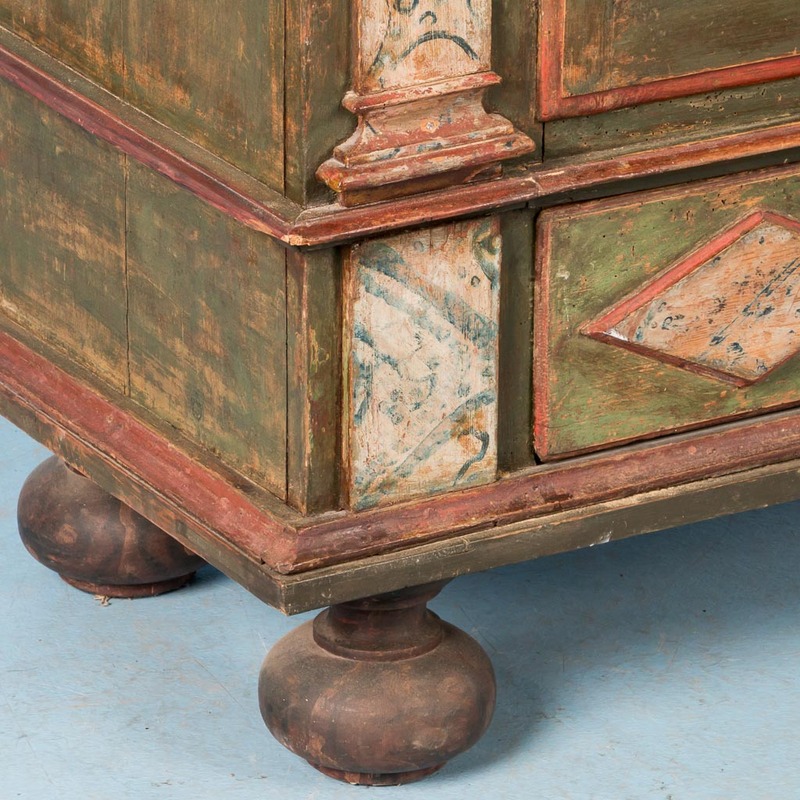 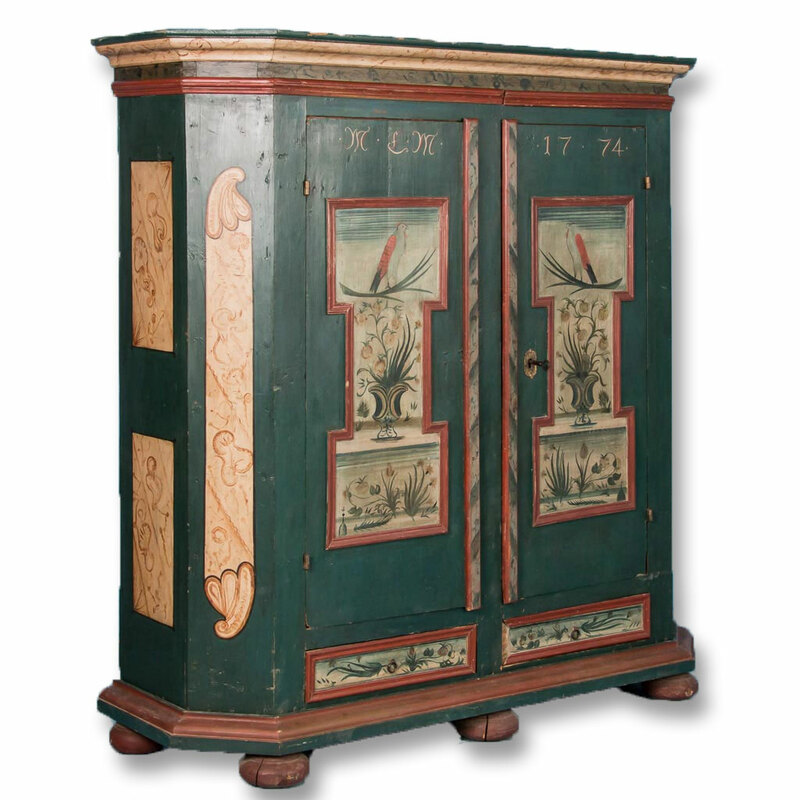 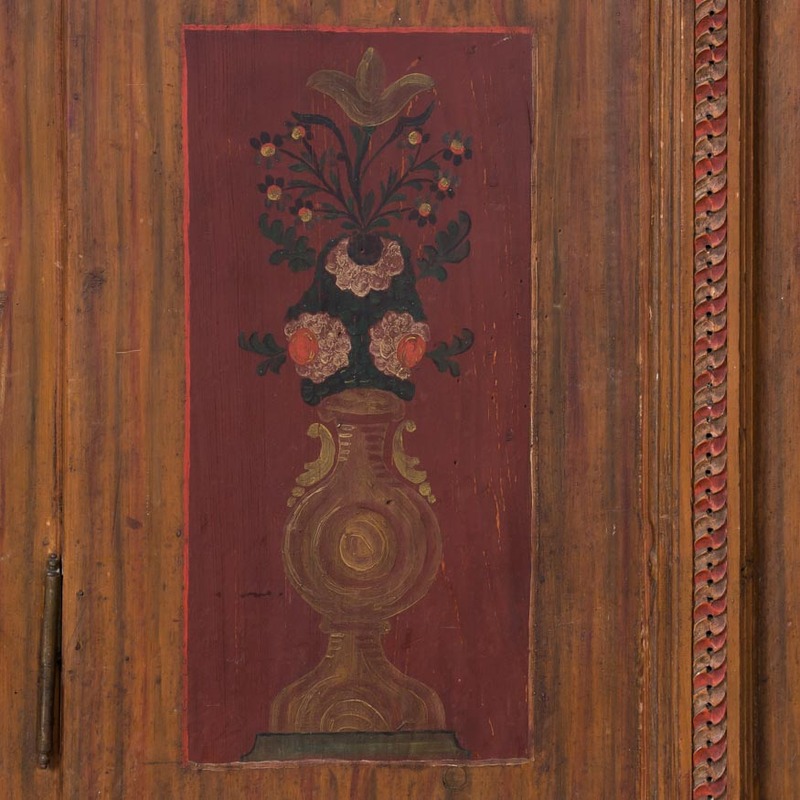 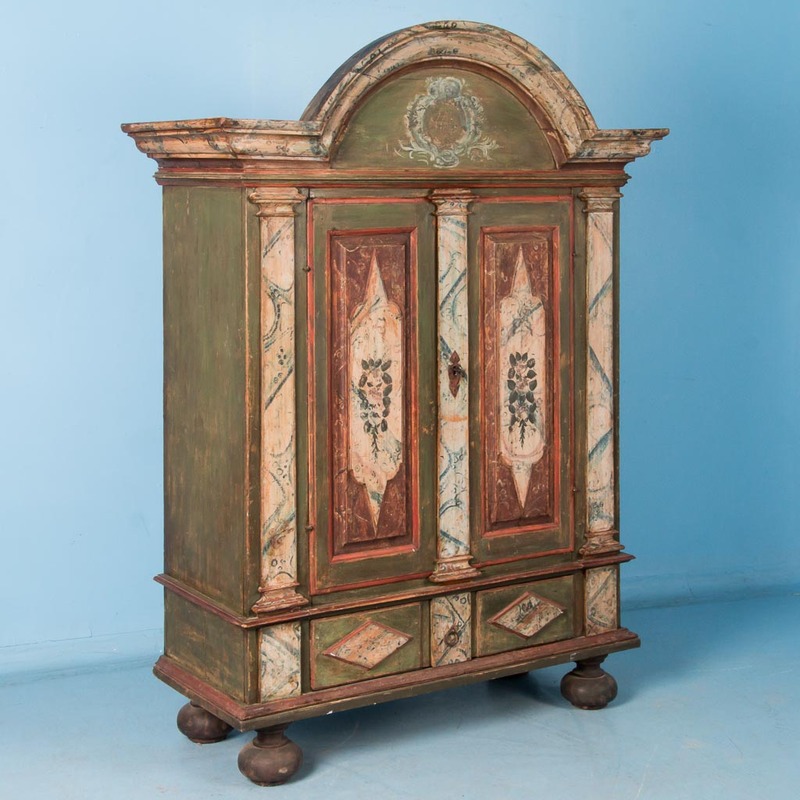 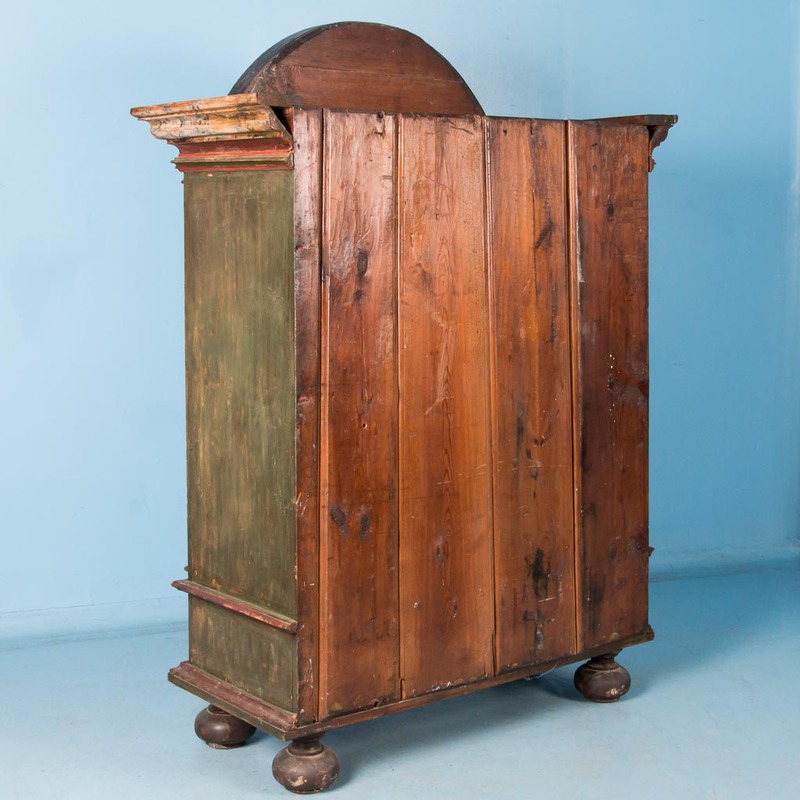 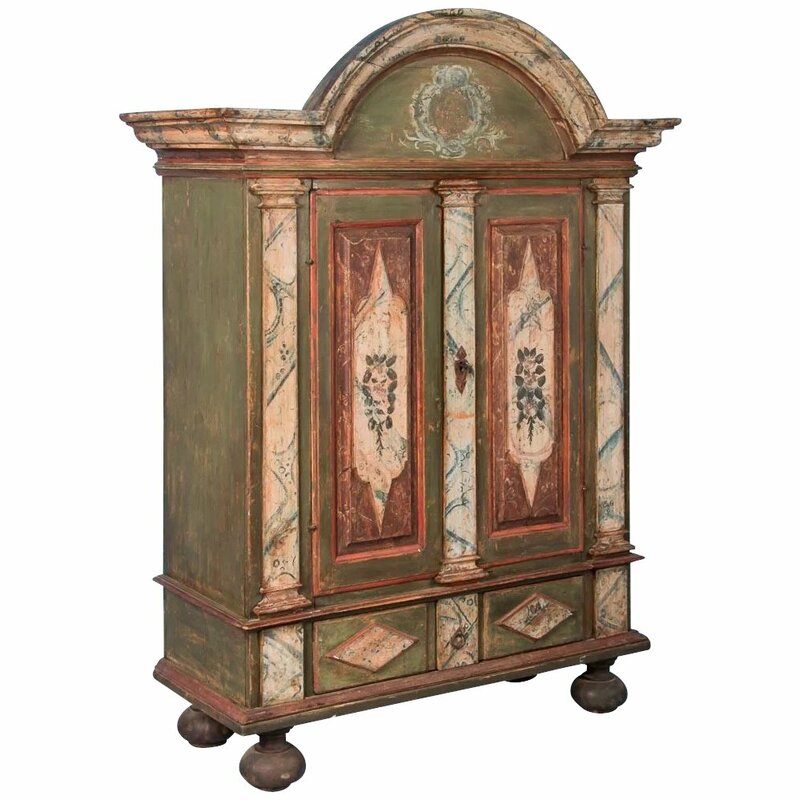 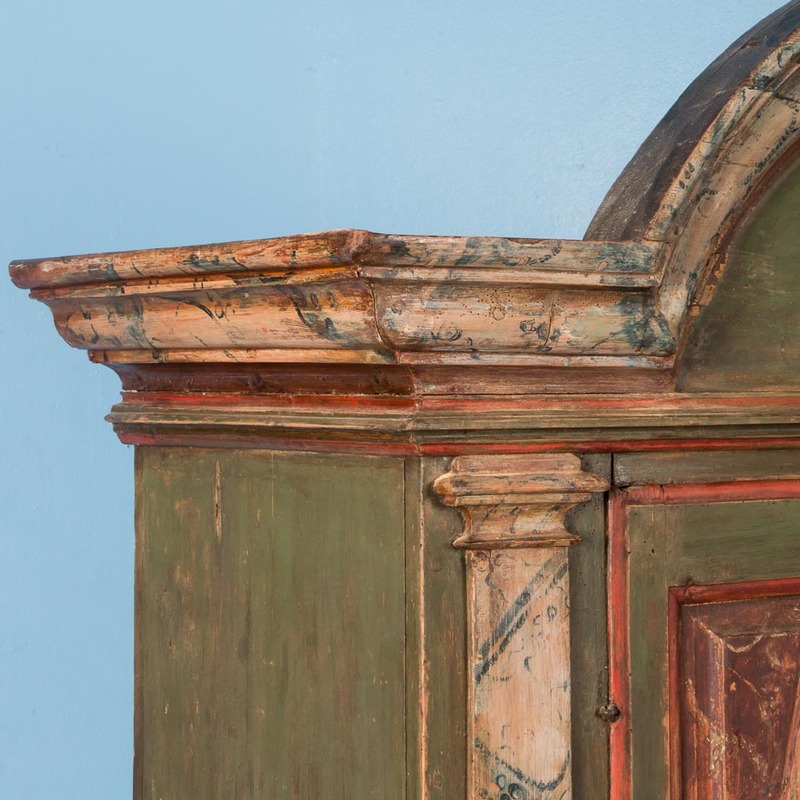 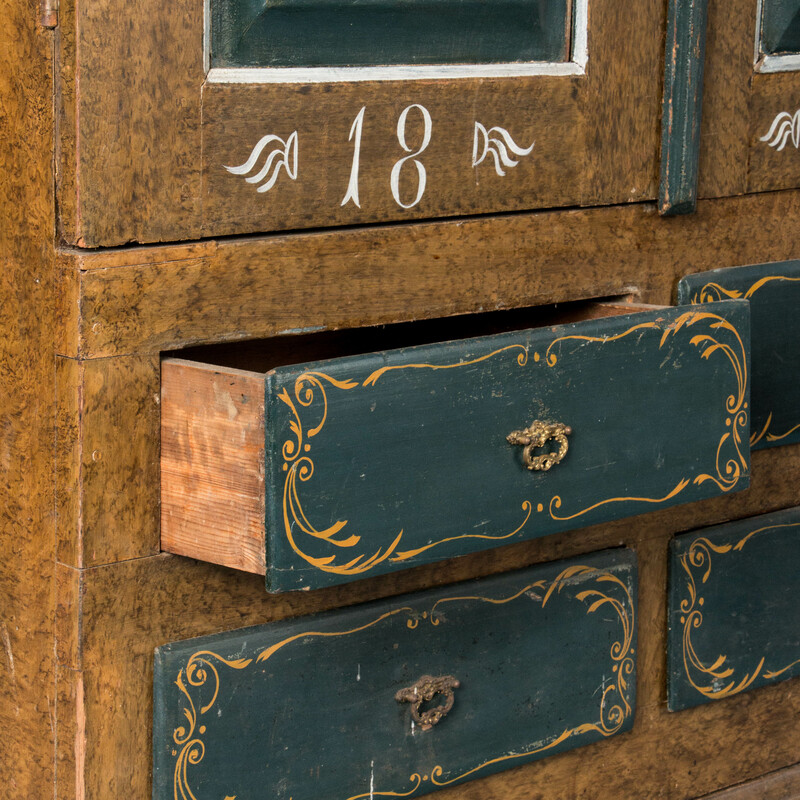 Swedish armoire with original paint, circa 1780-1800. 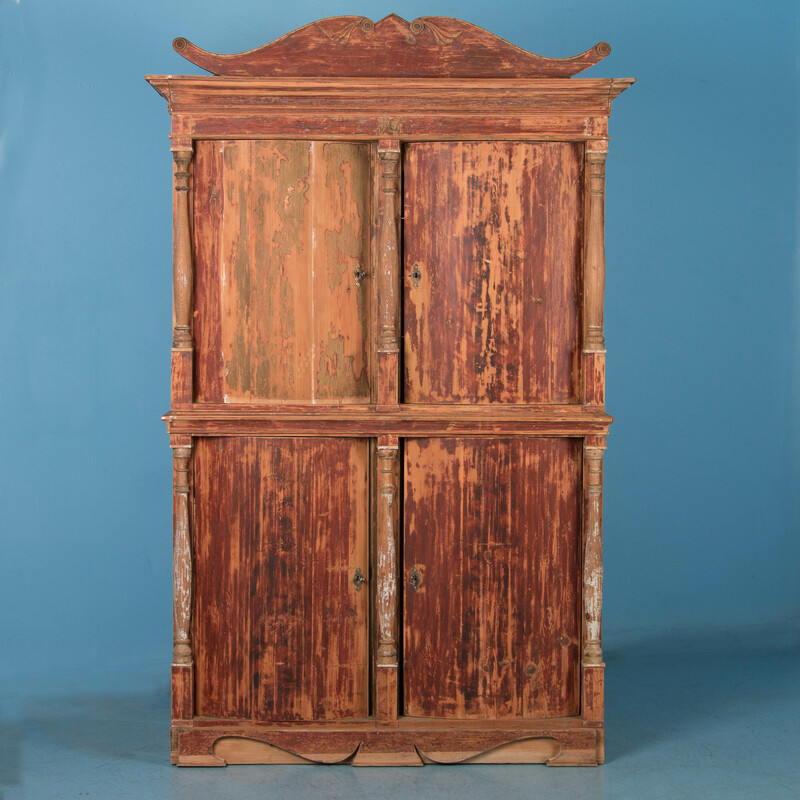 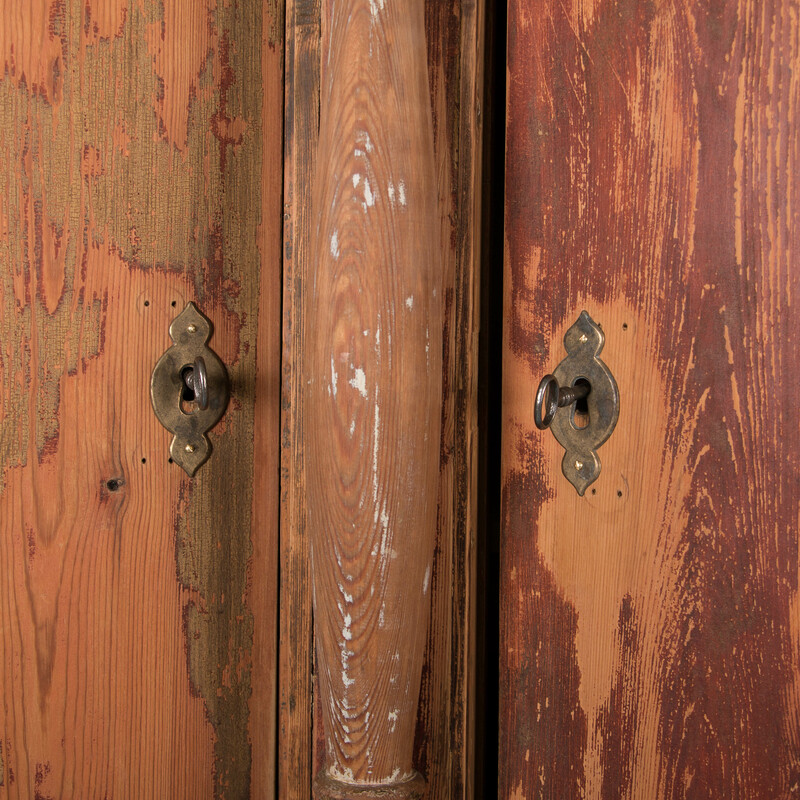 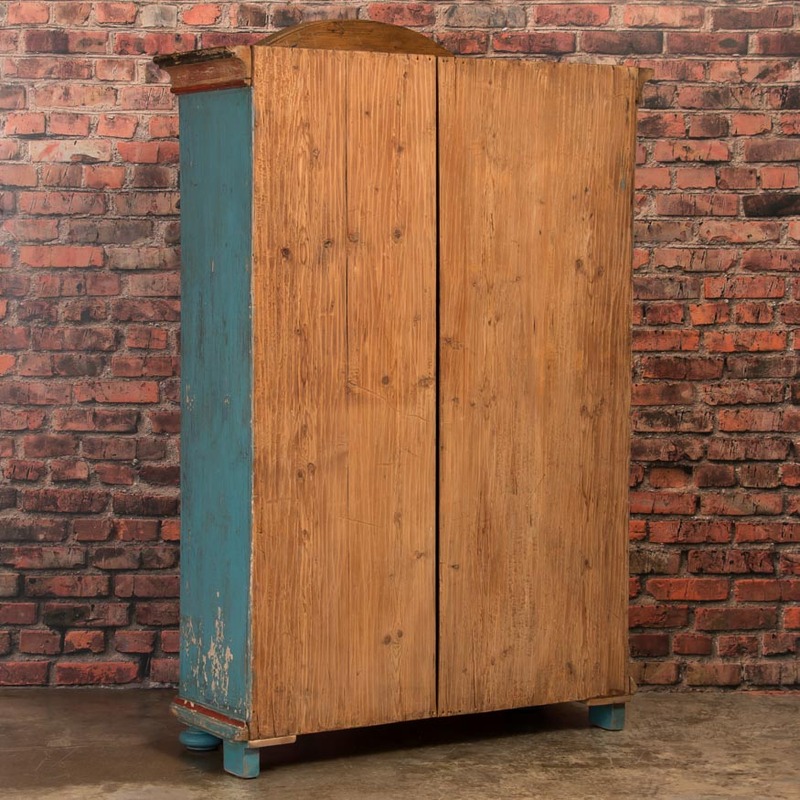 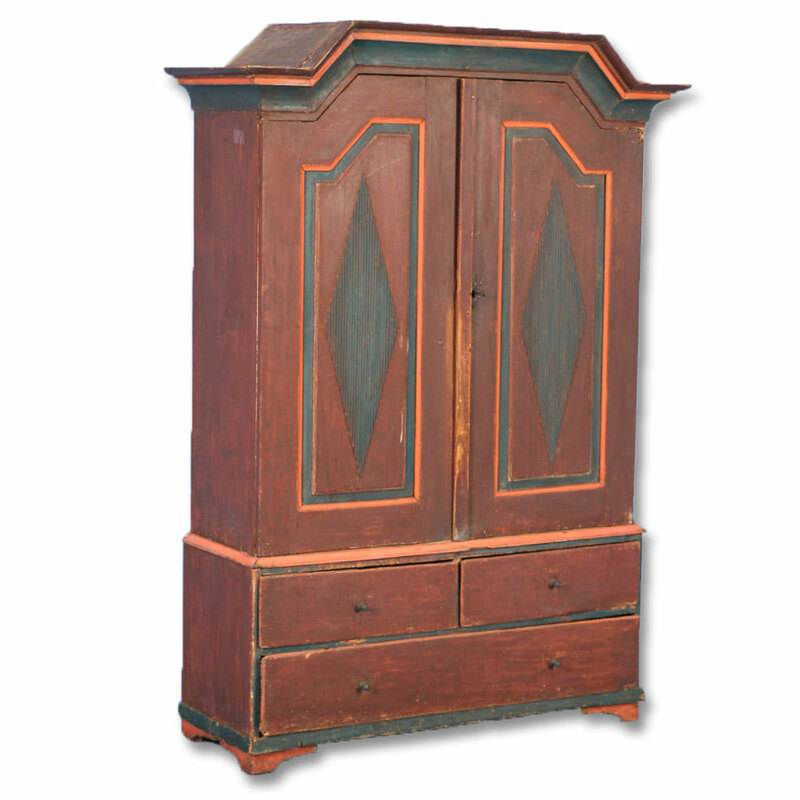 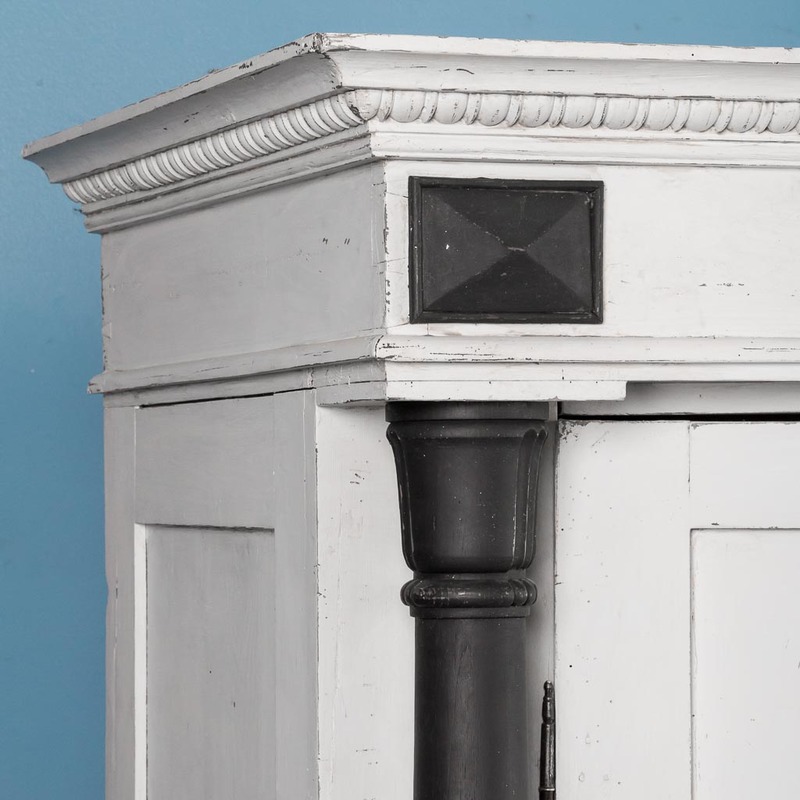 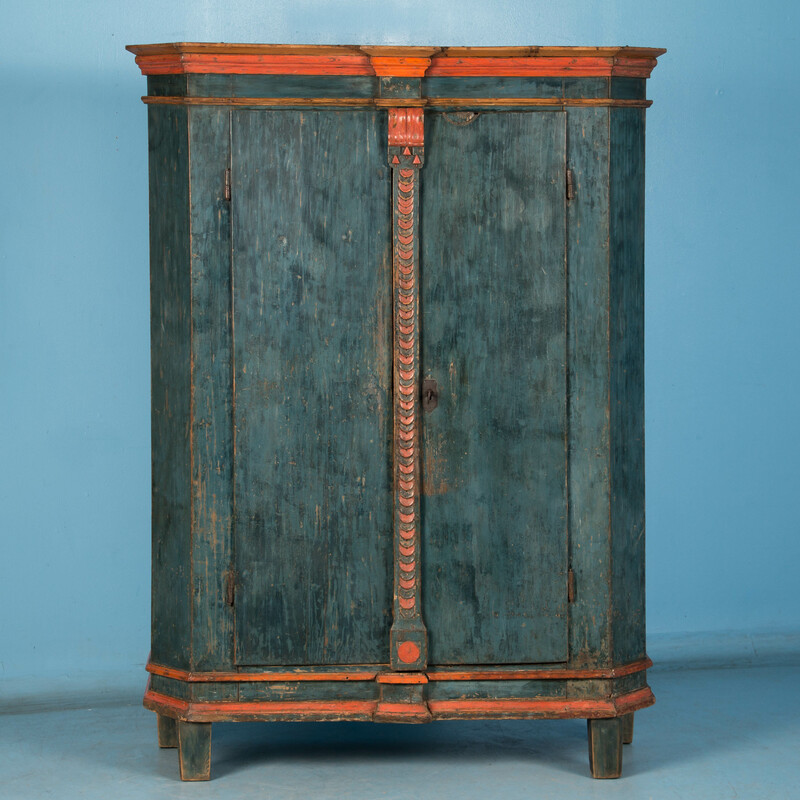 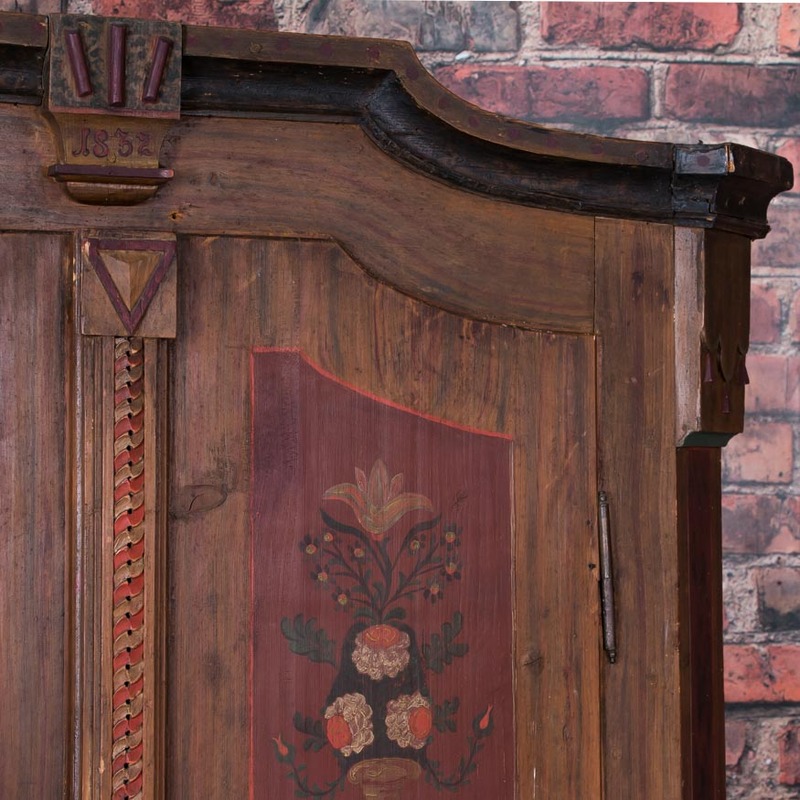 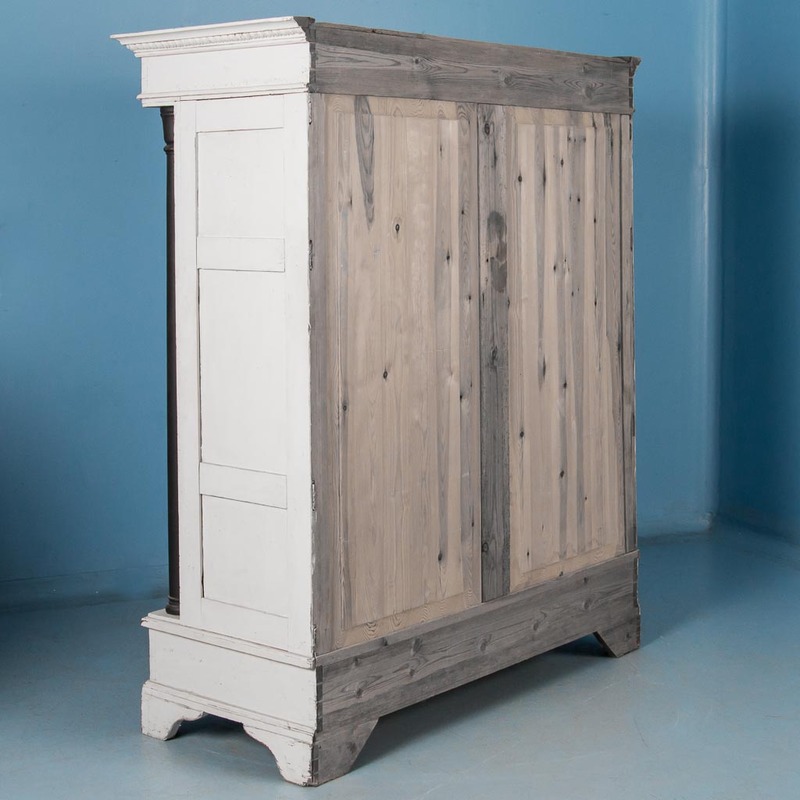 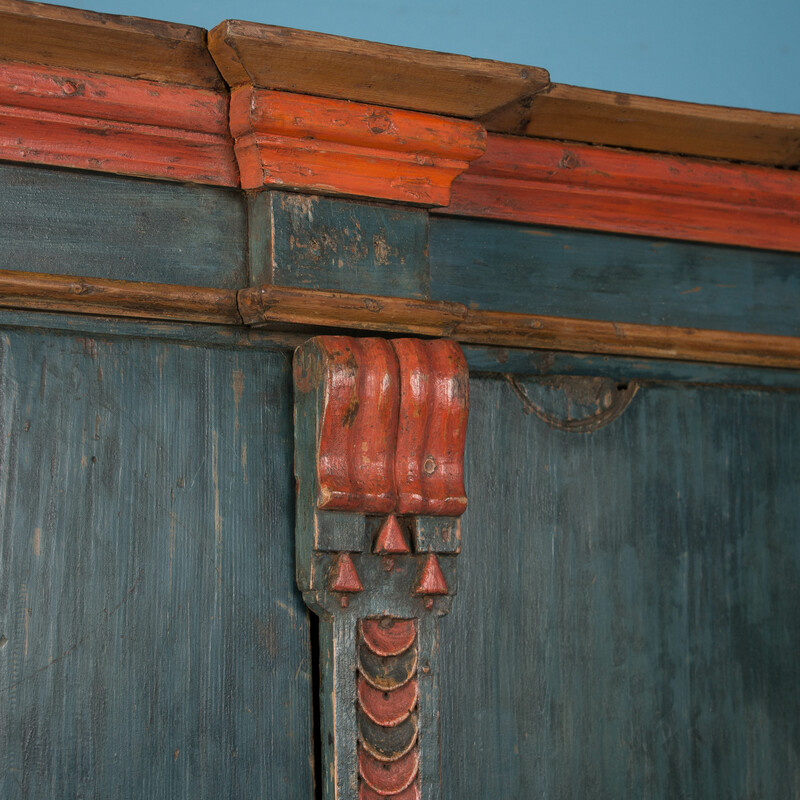 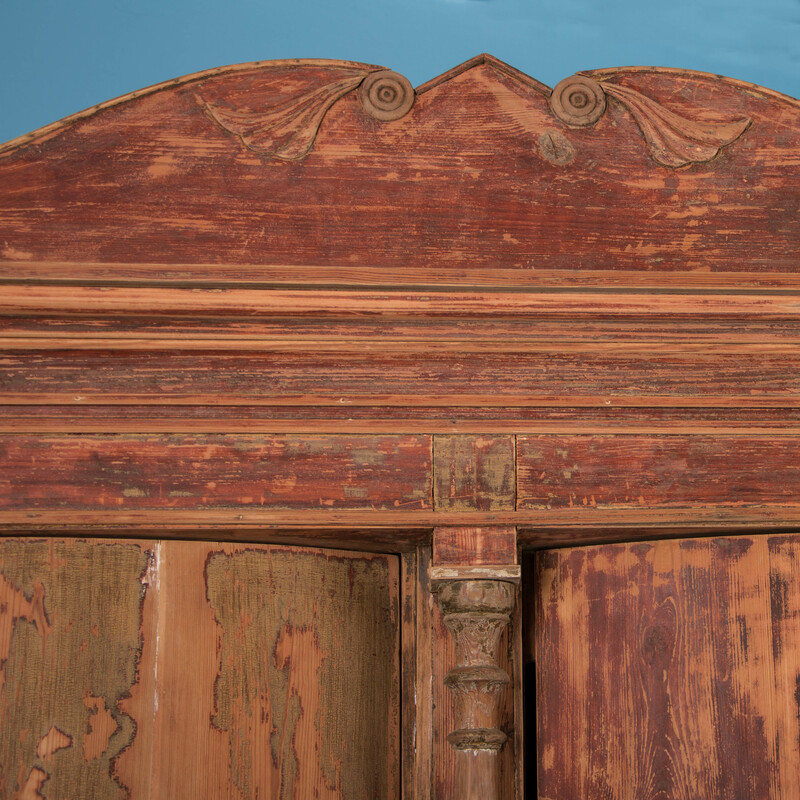 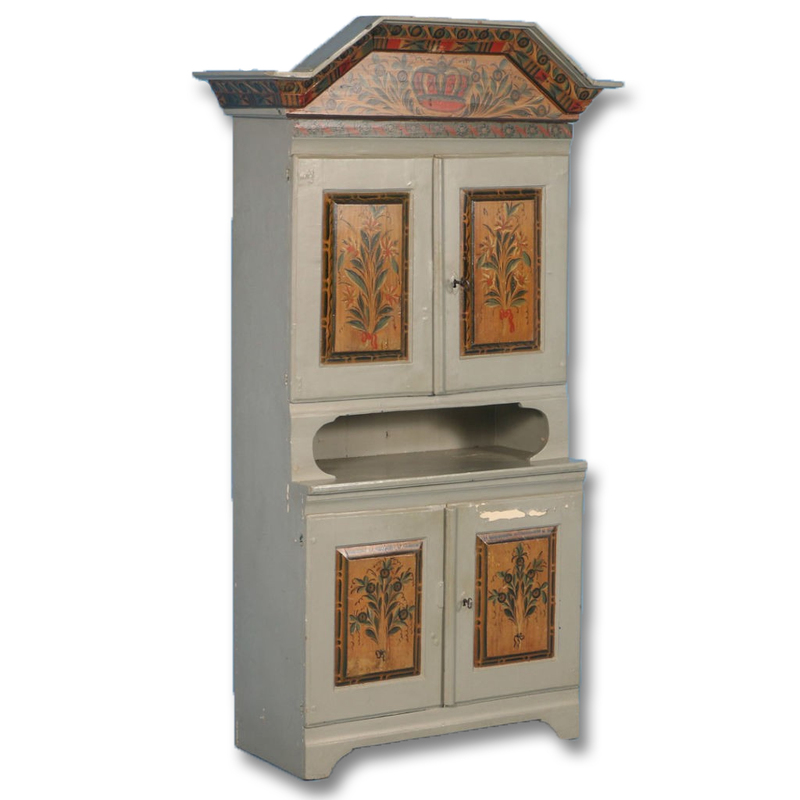 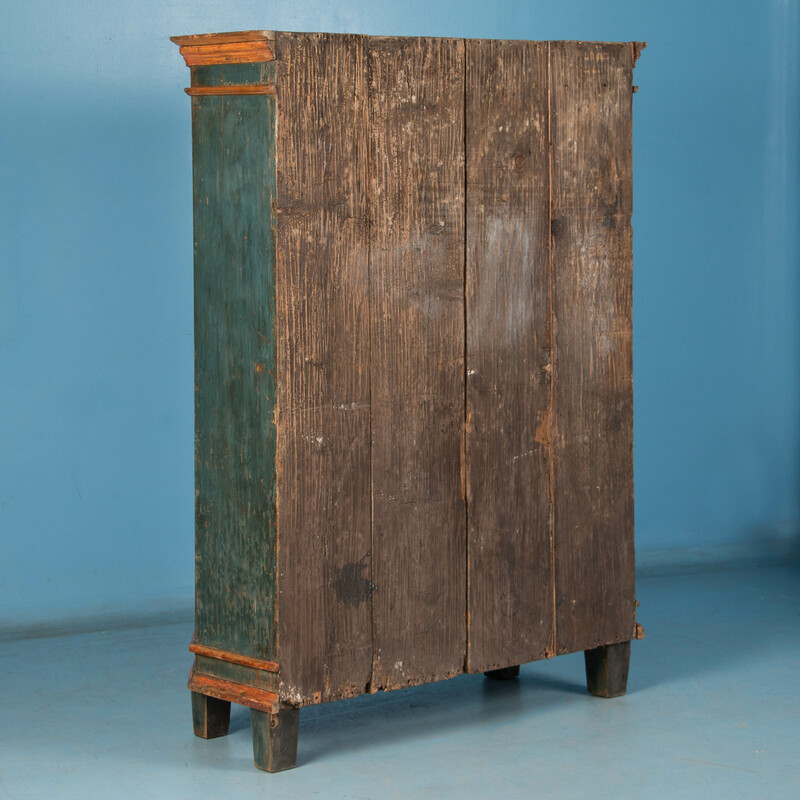 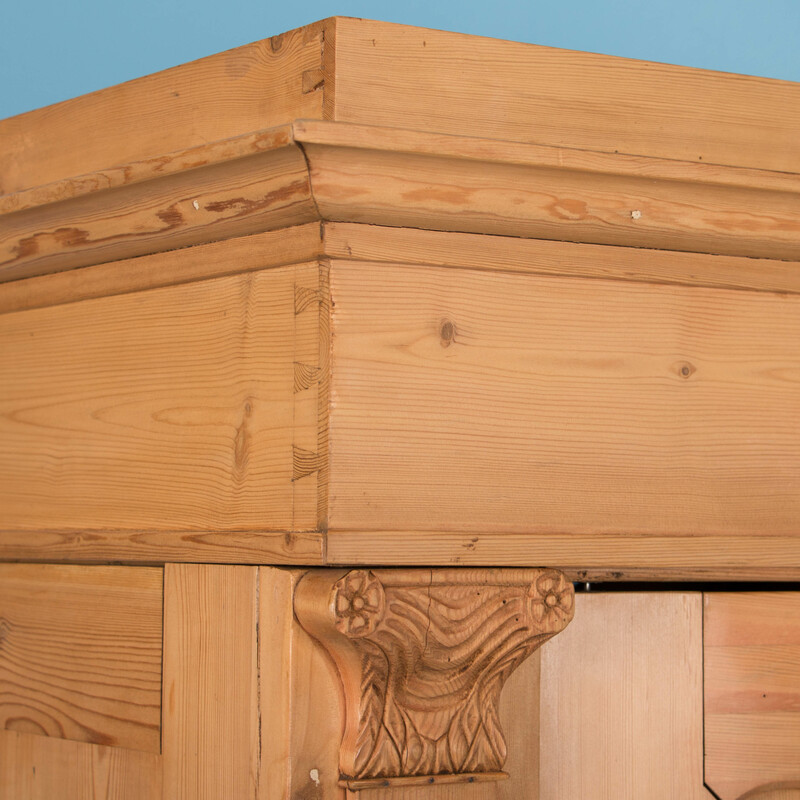 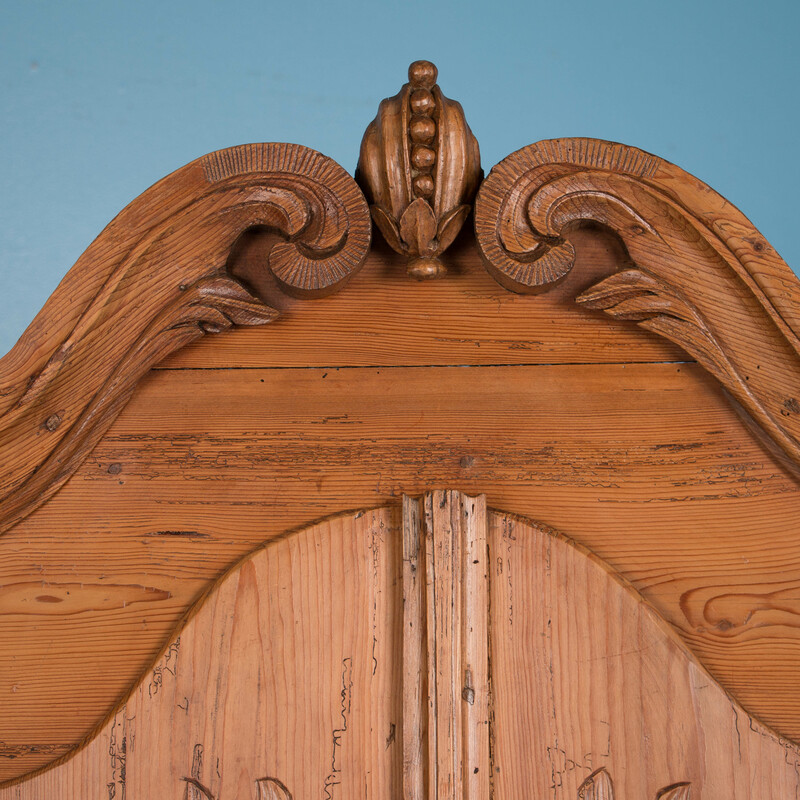 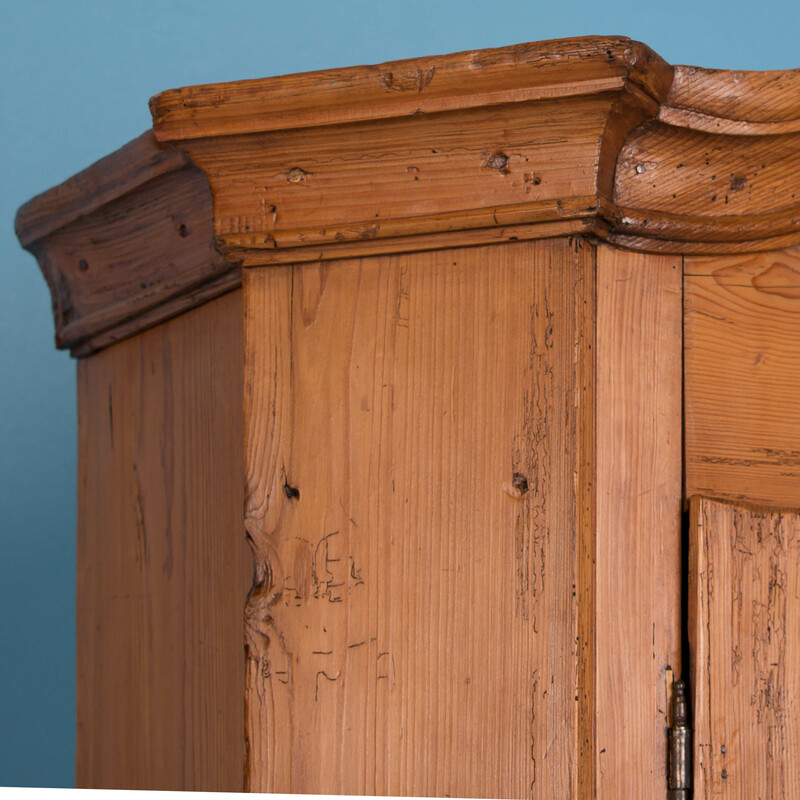 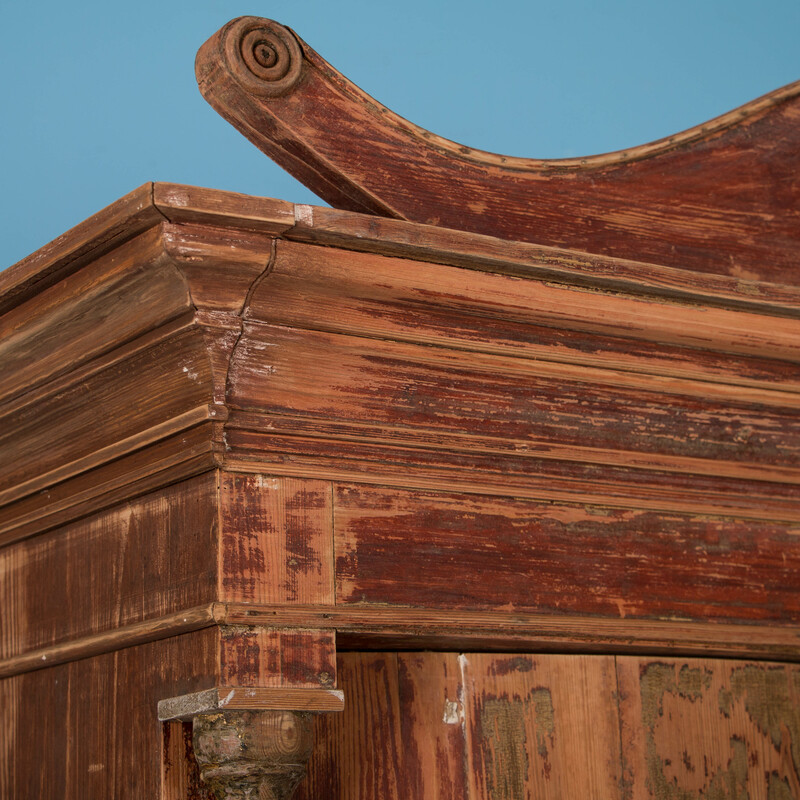 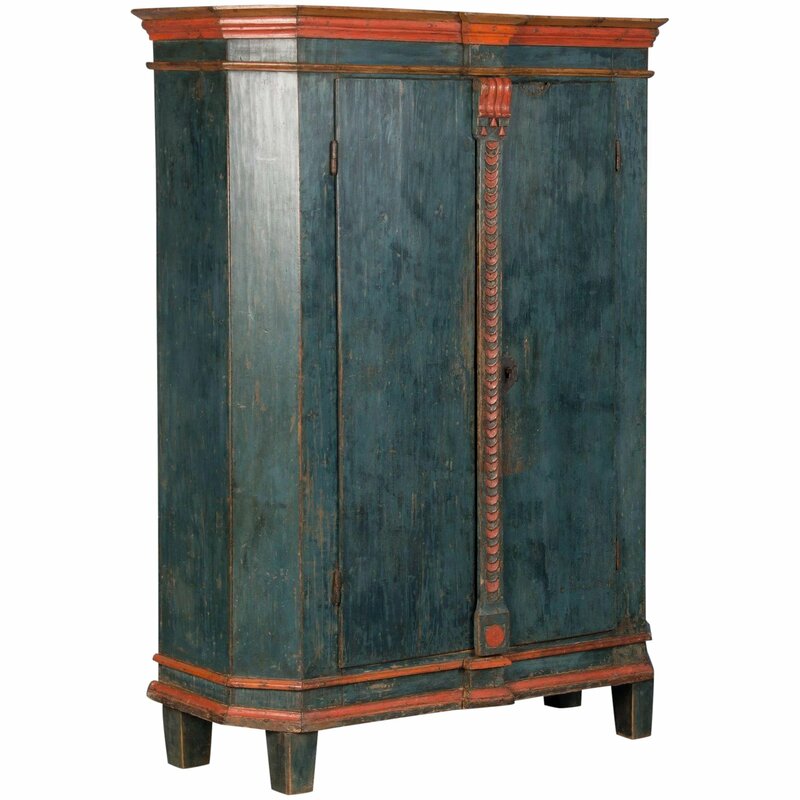 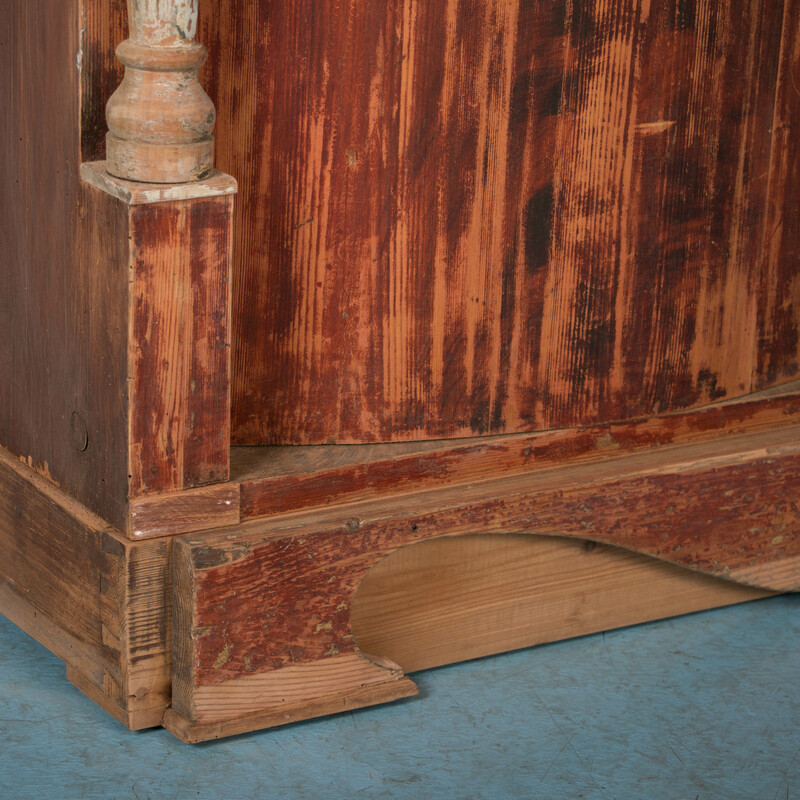 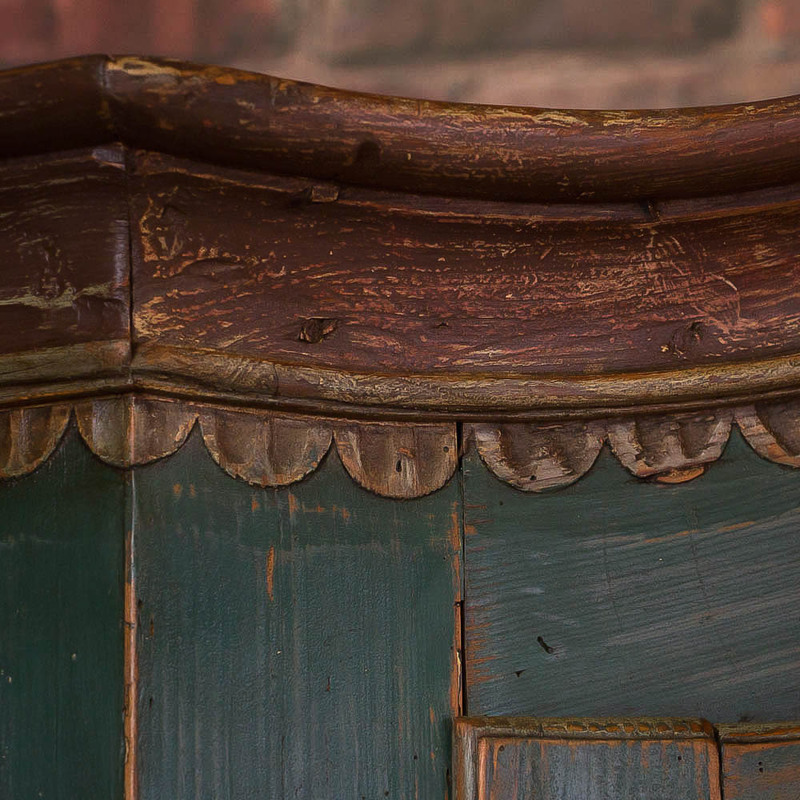 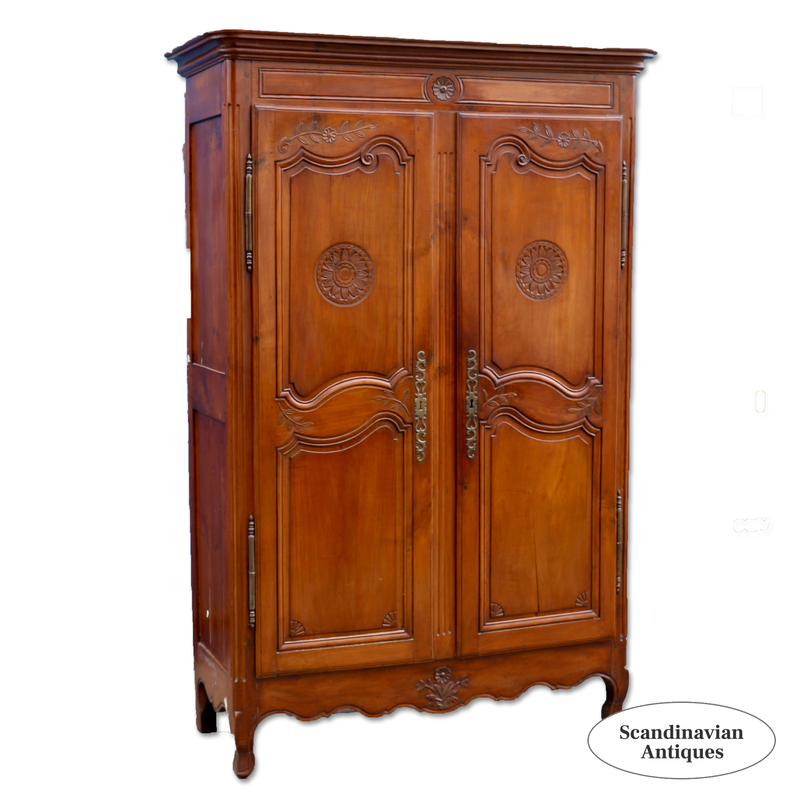 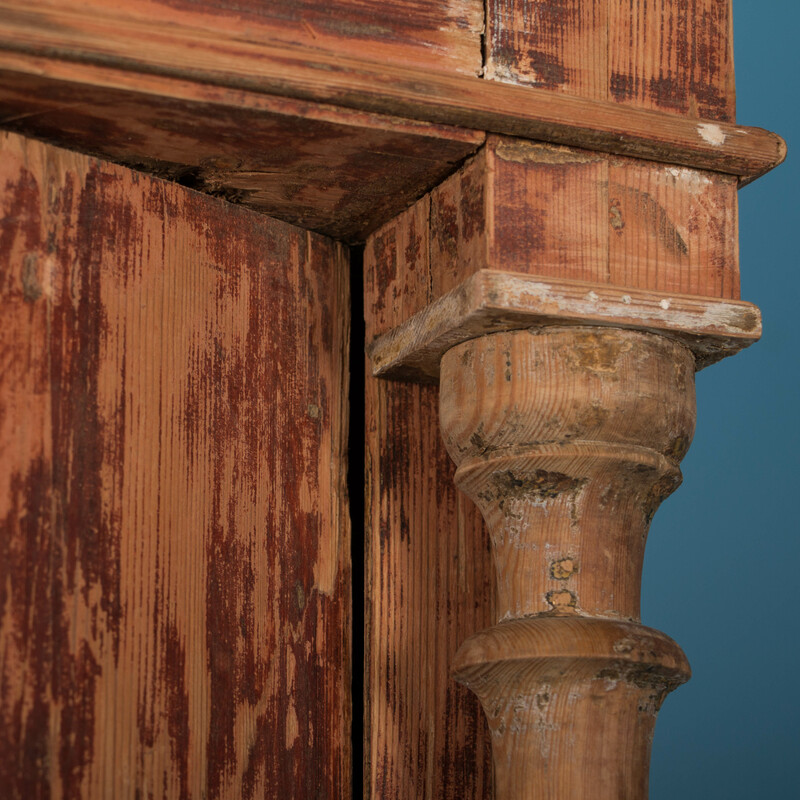 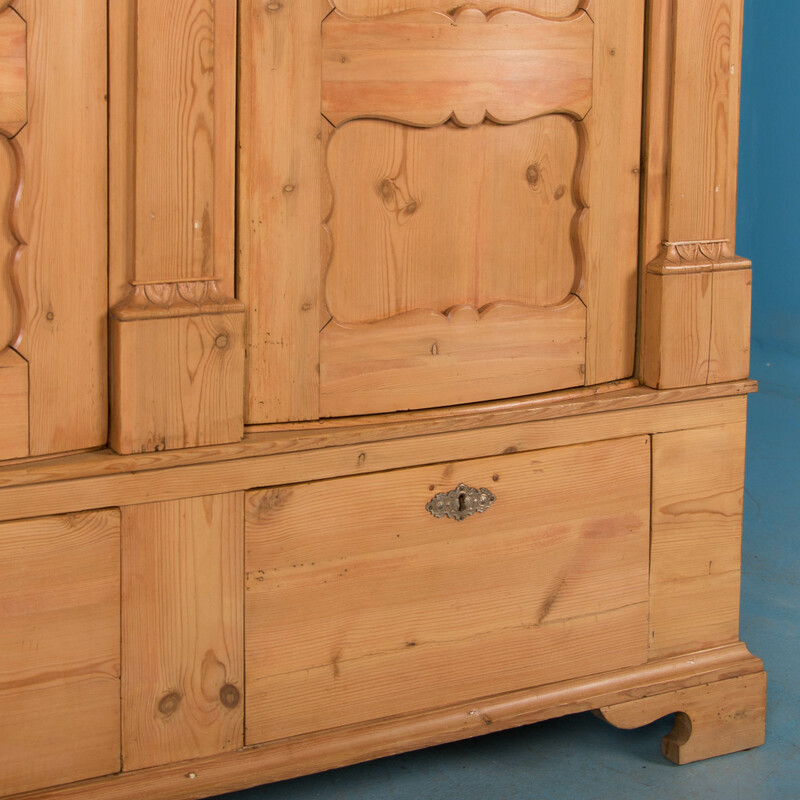 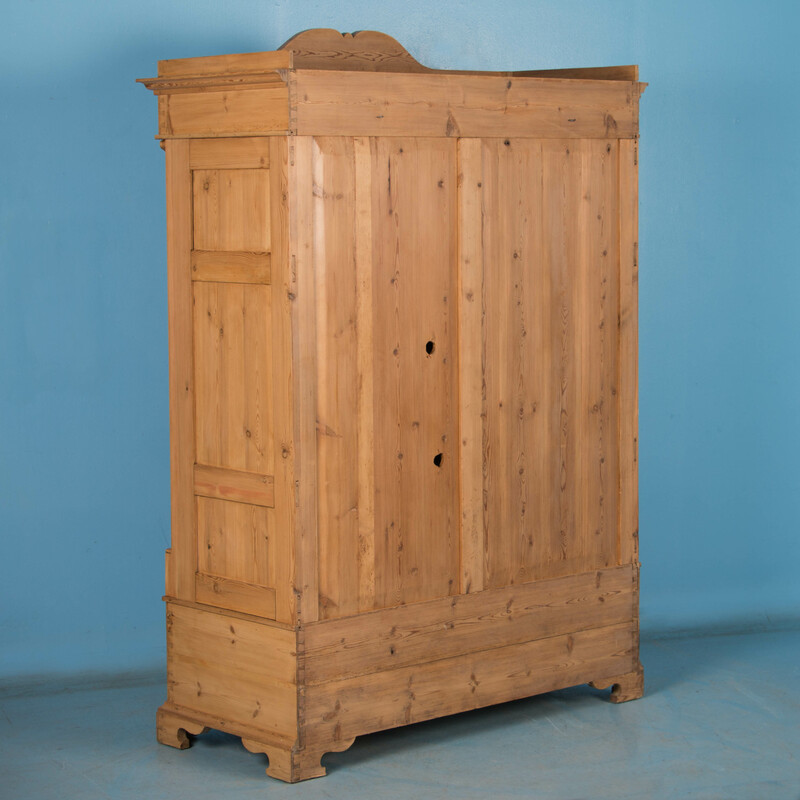 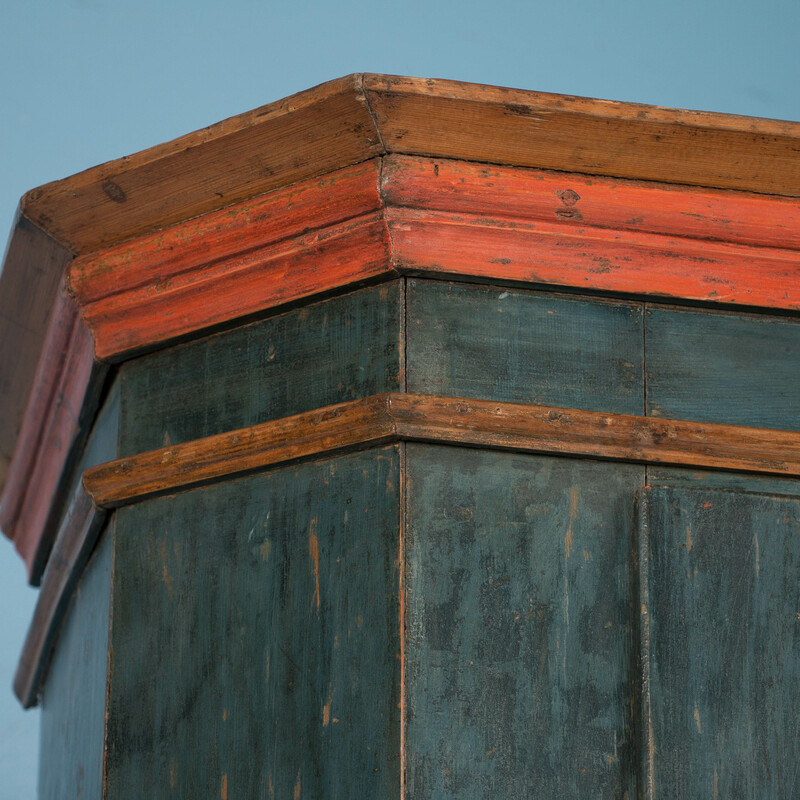 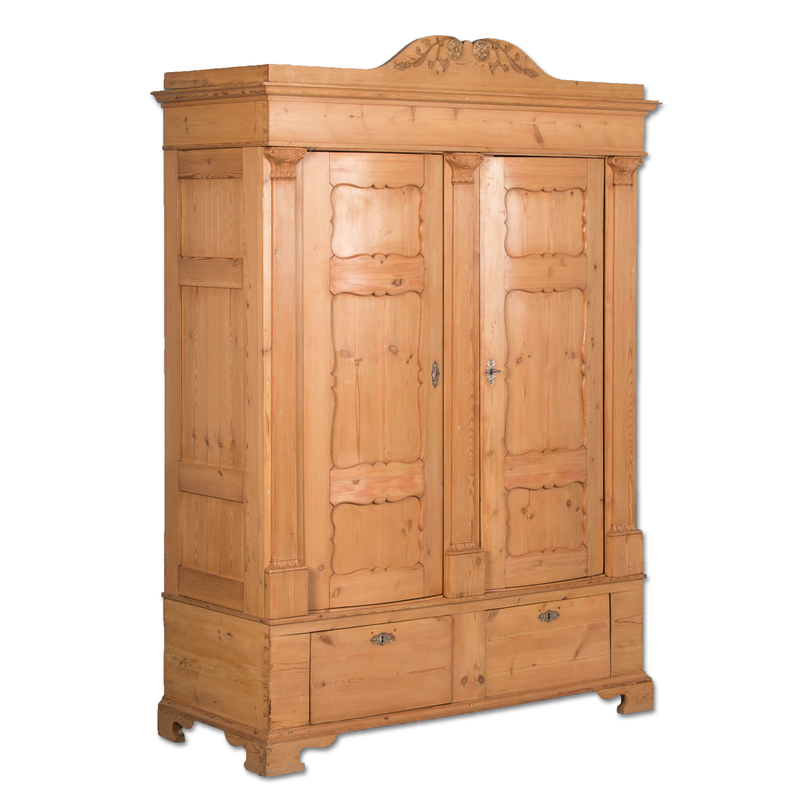 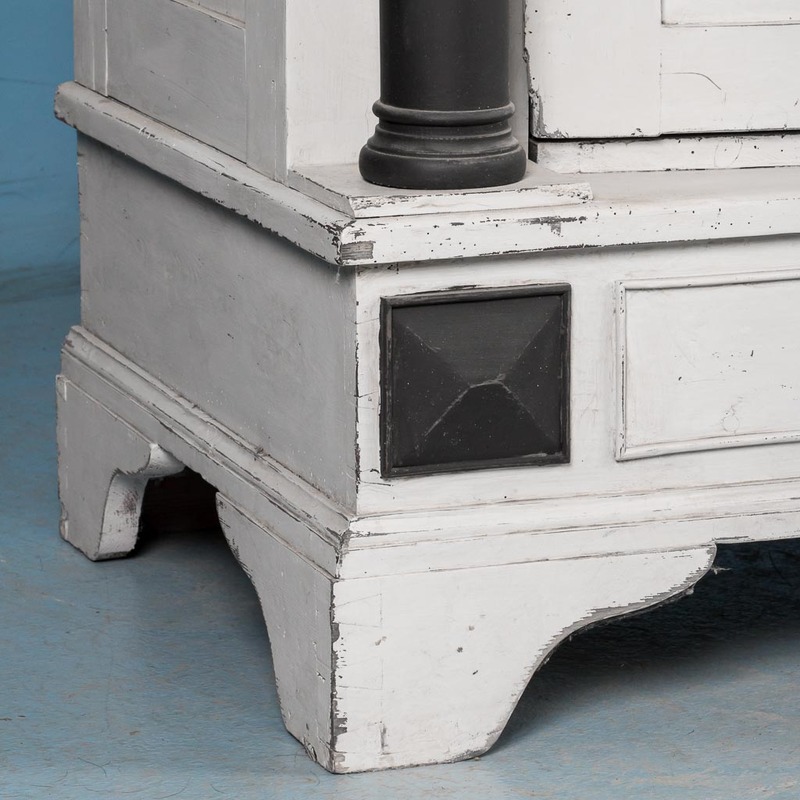 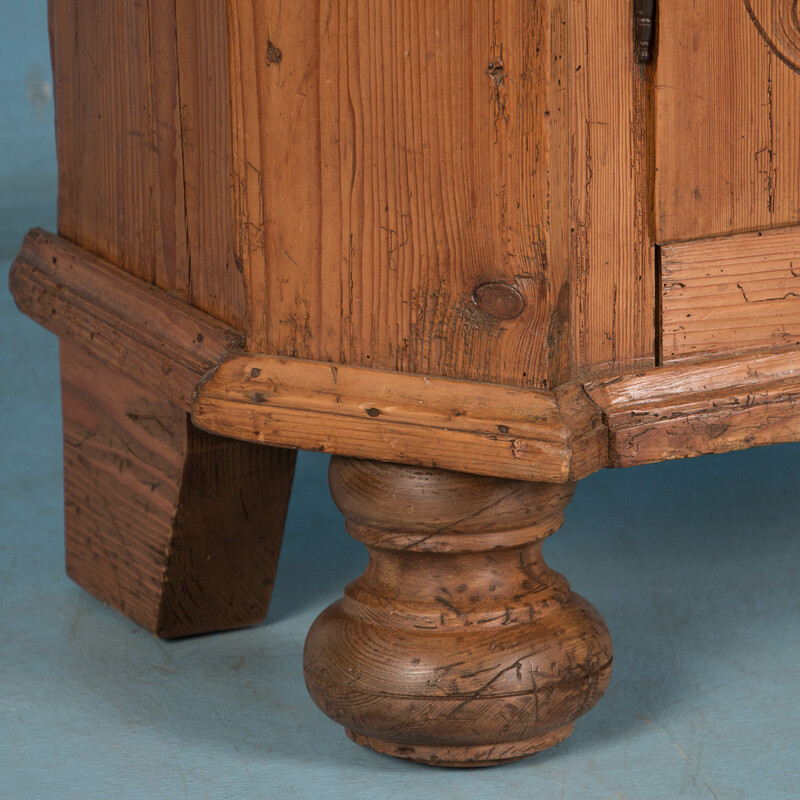 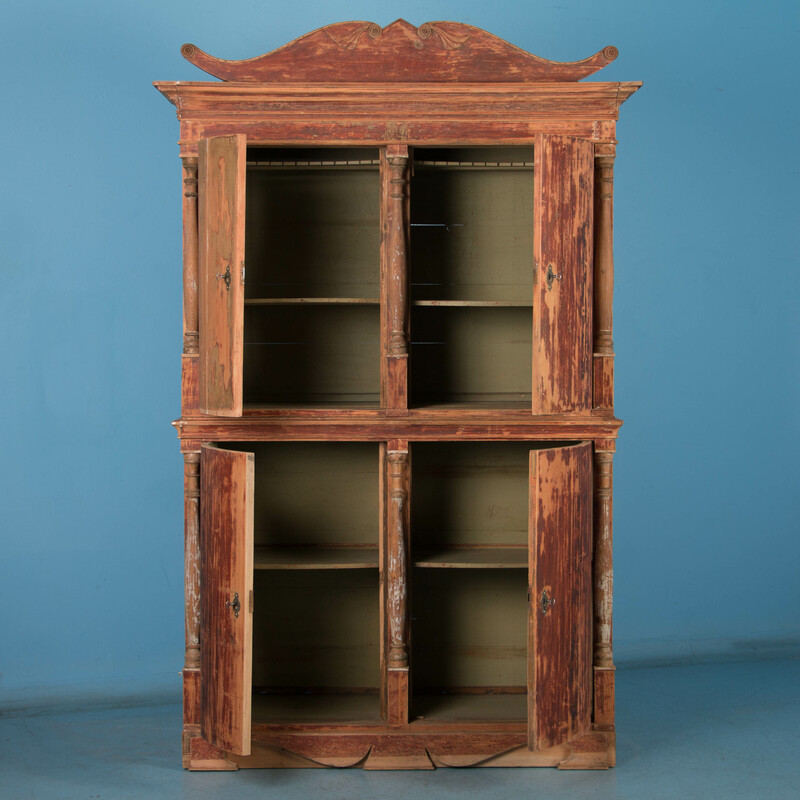 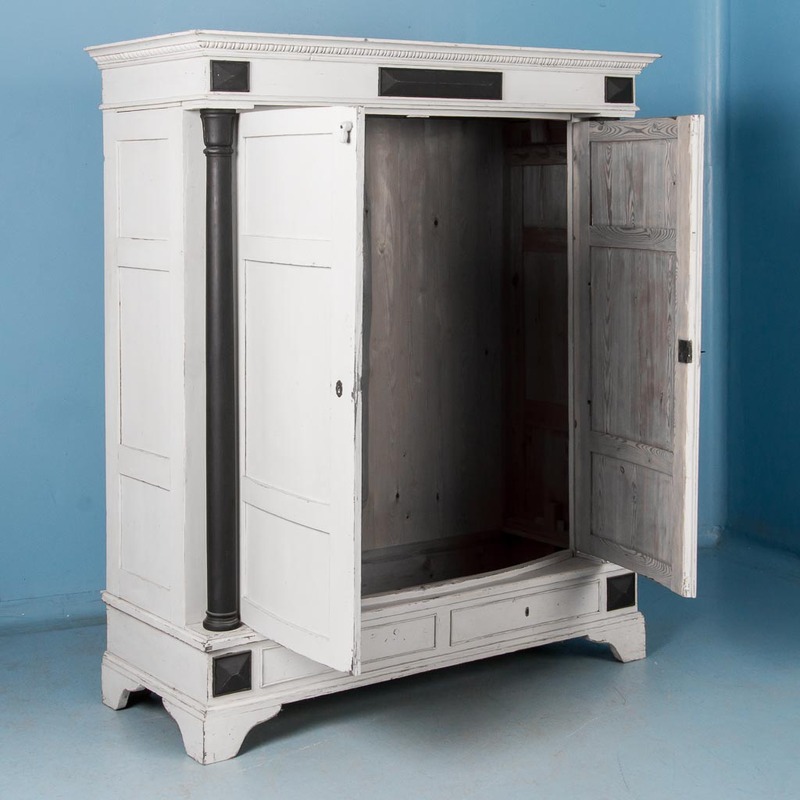 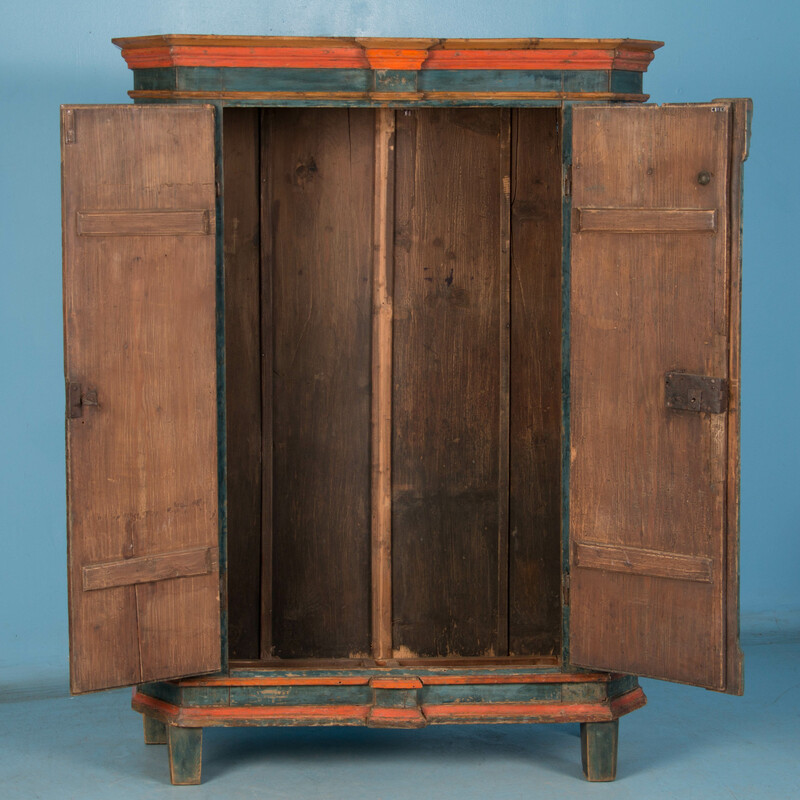 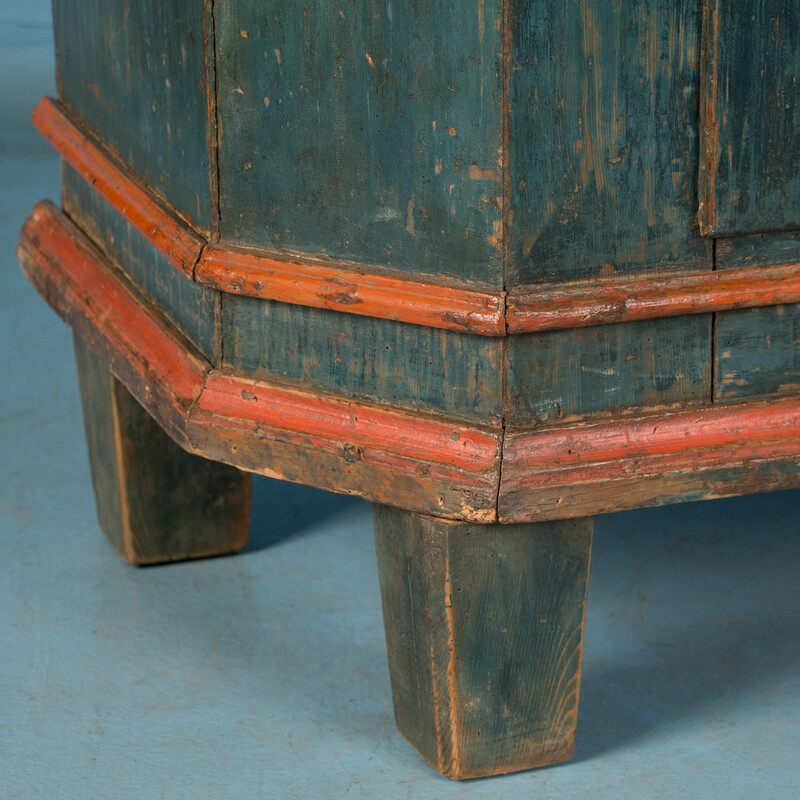 The wonderful blue and red painted trim are all original on this beautiful pine armoire from Sweden. 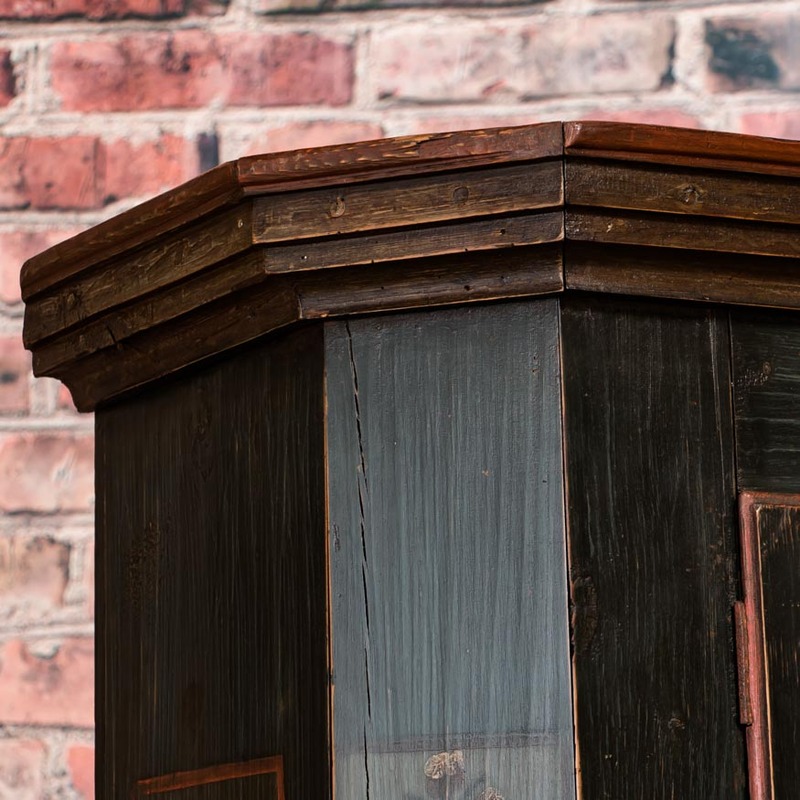 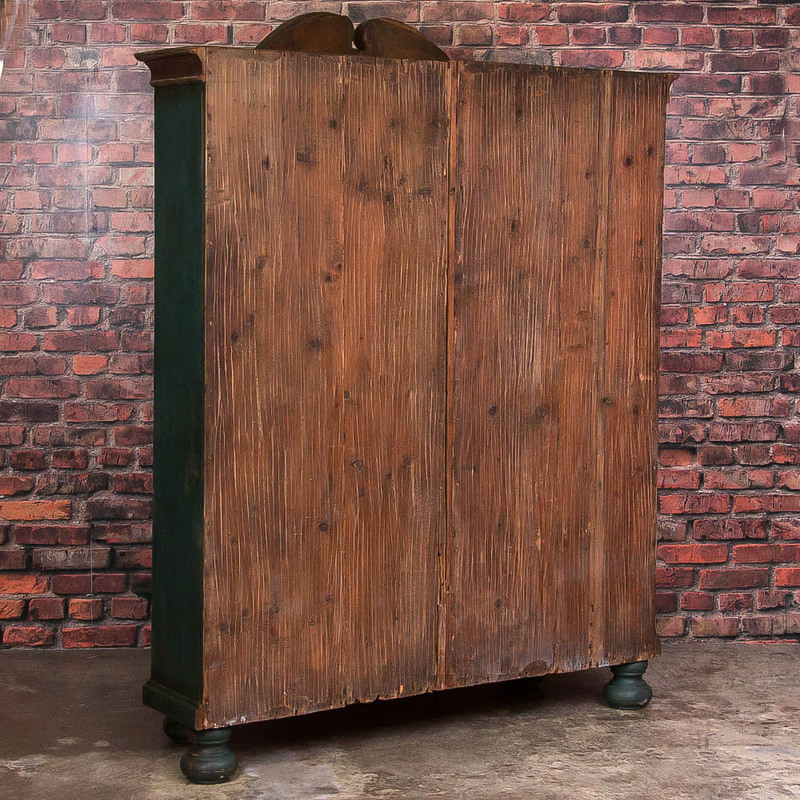 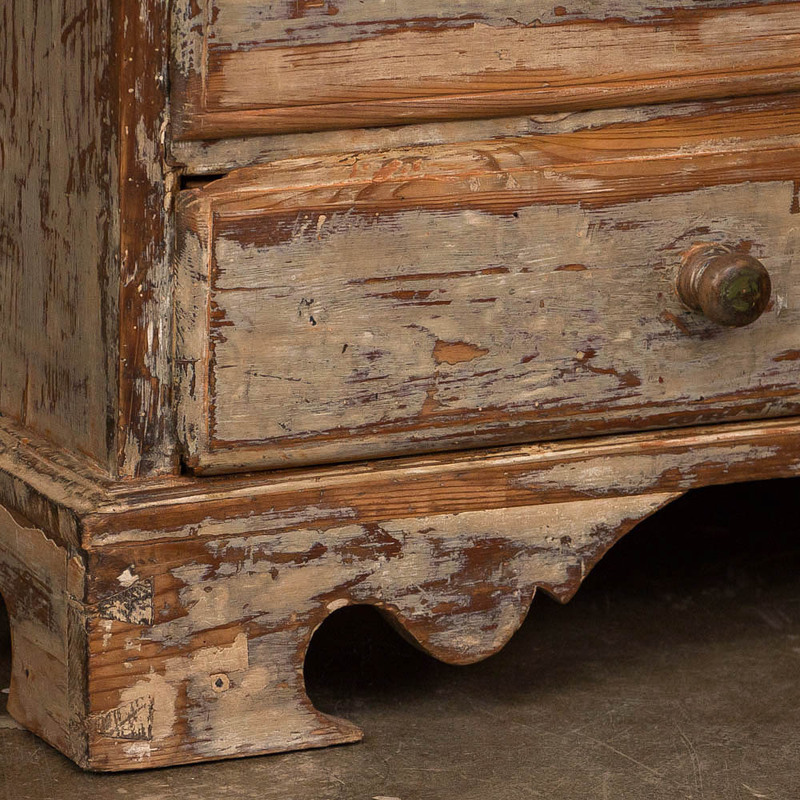 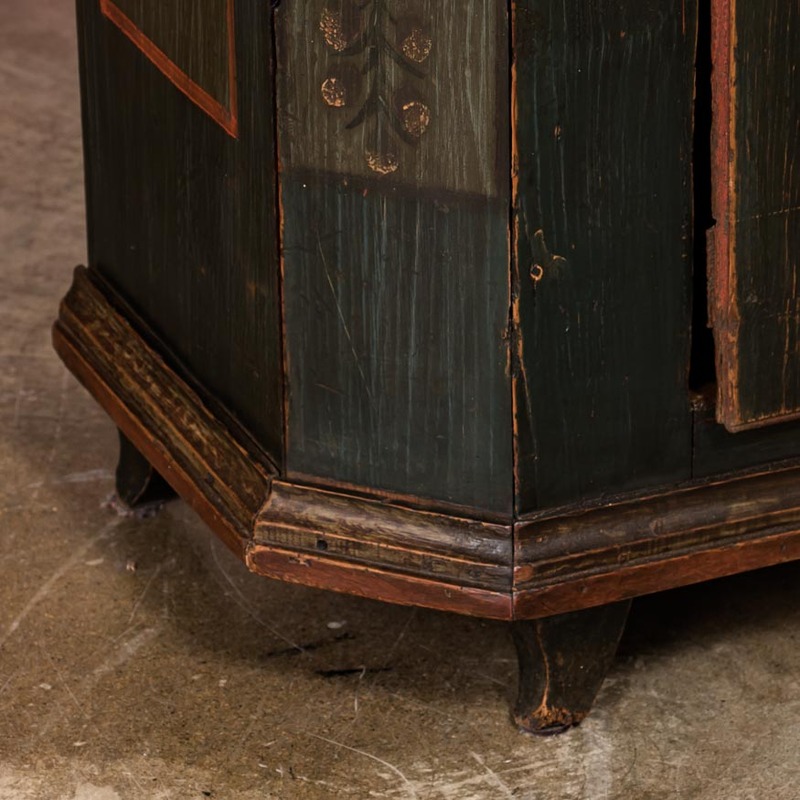 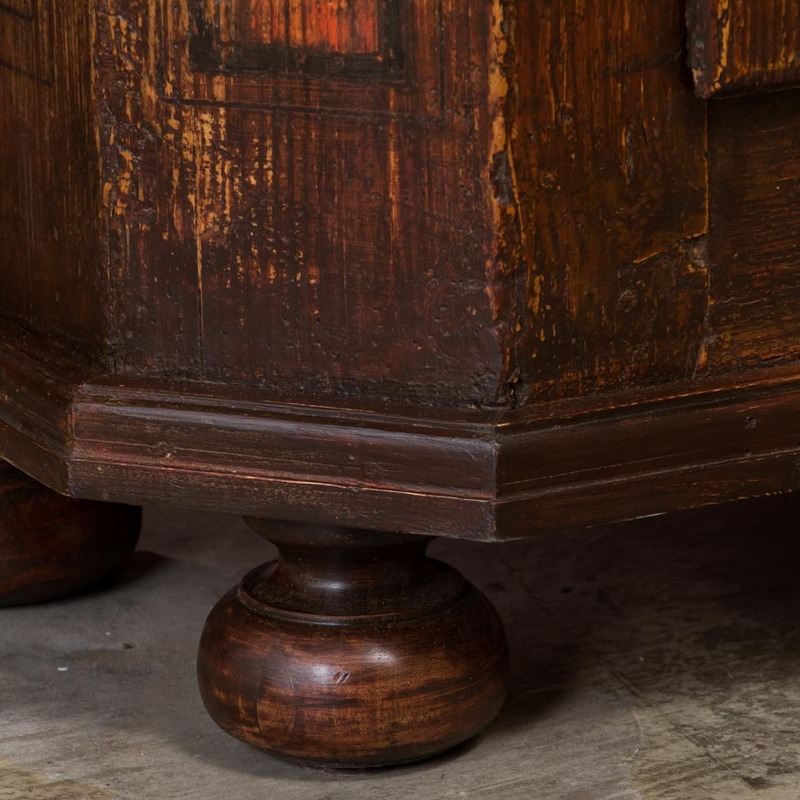 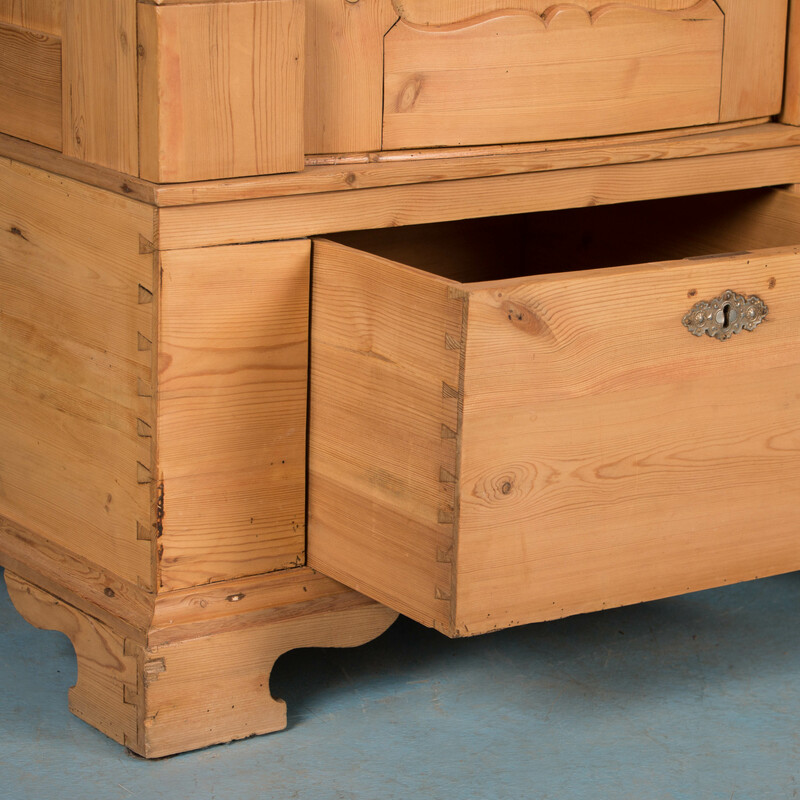 The case is the original wood grain paint with lighter contrasting panels, featuring original hardware with two locking doors and a single drawer. 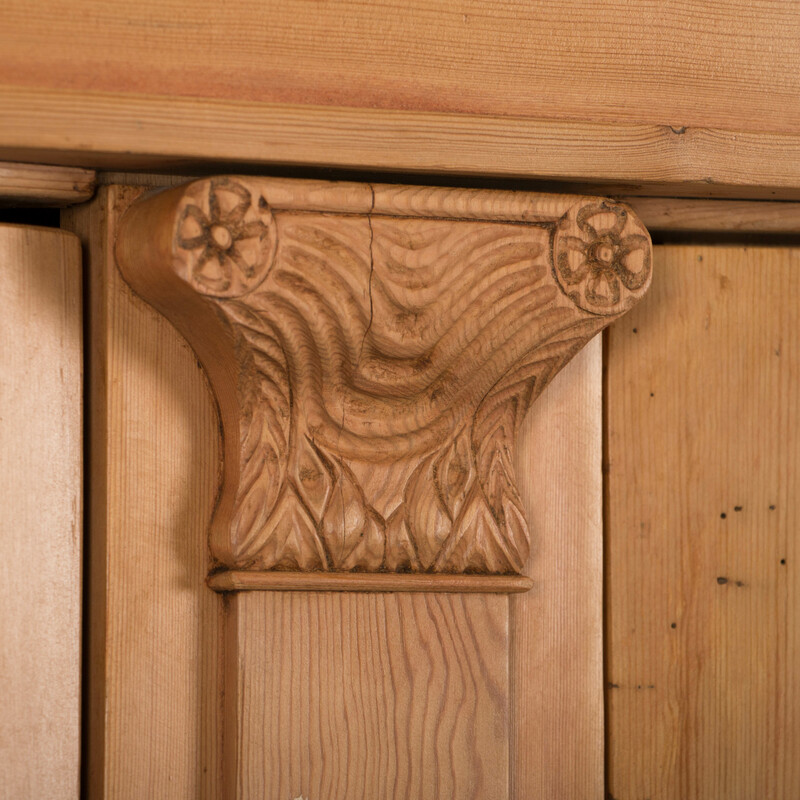 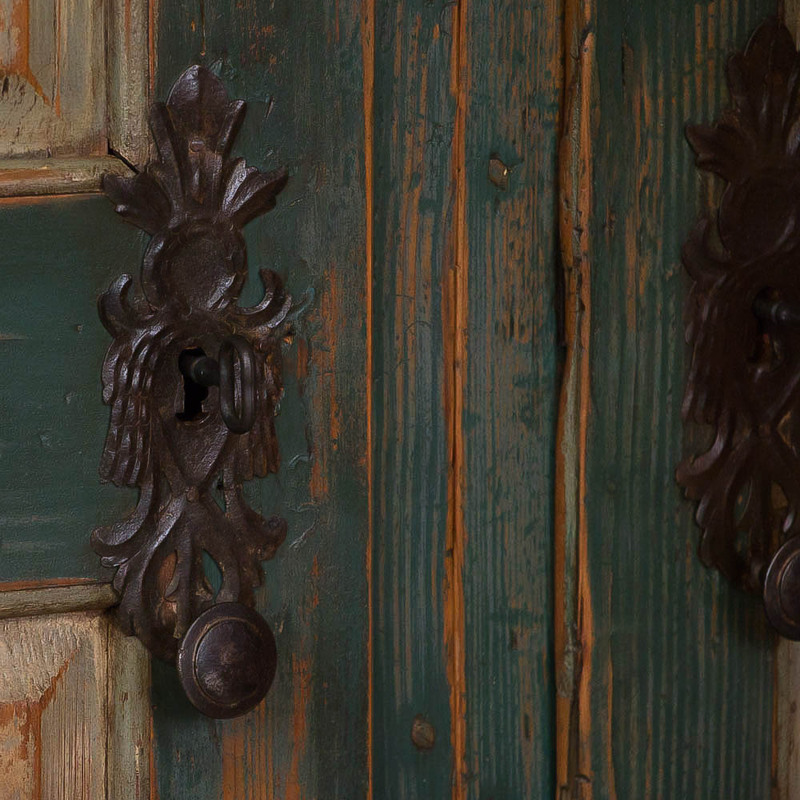 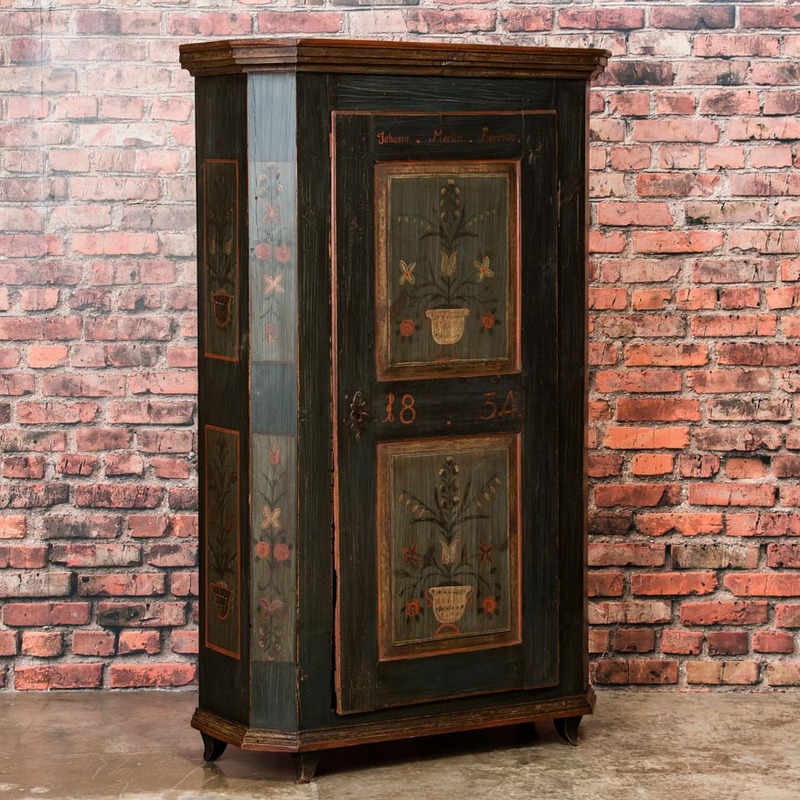 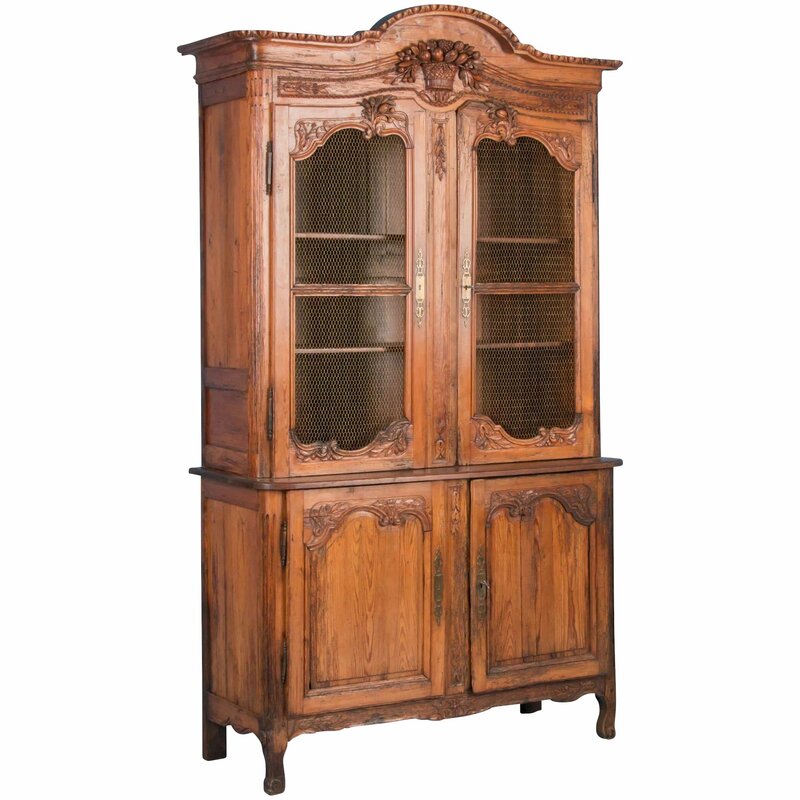 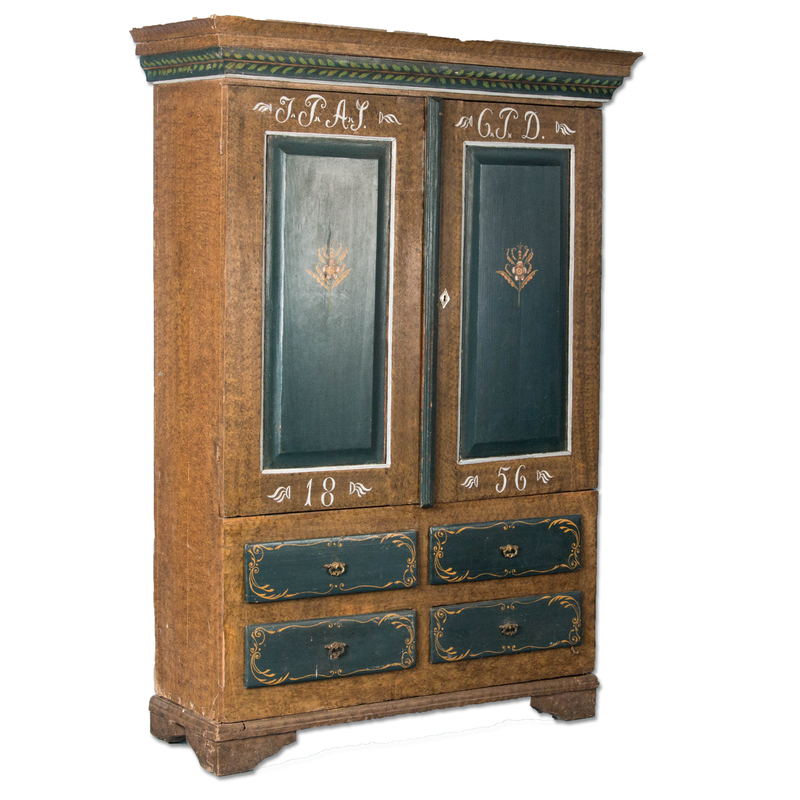 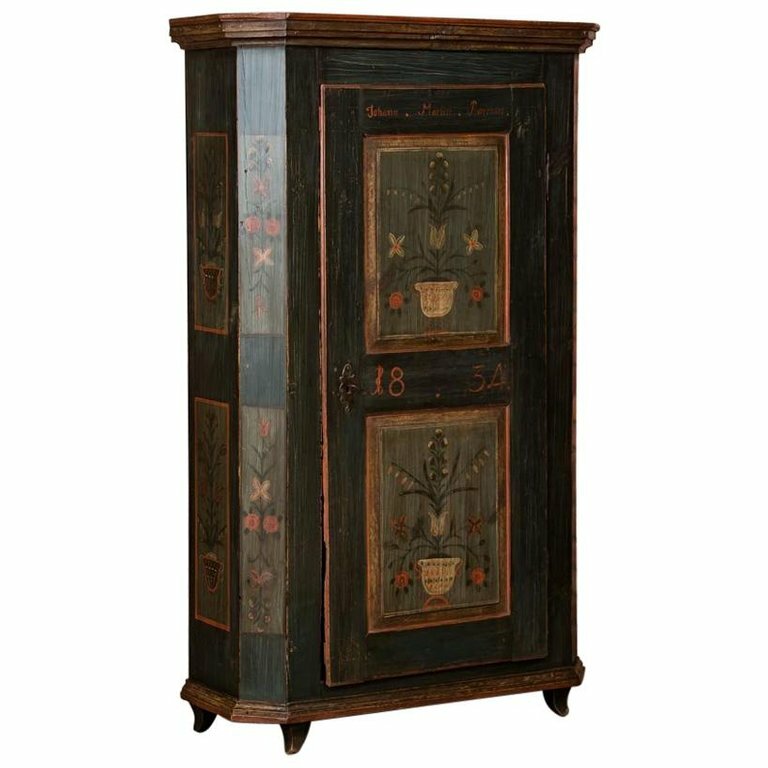 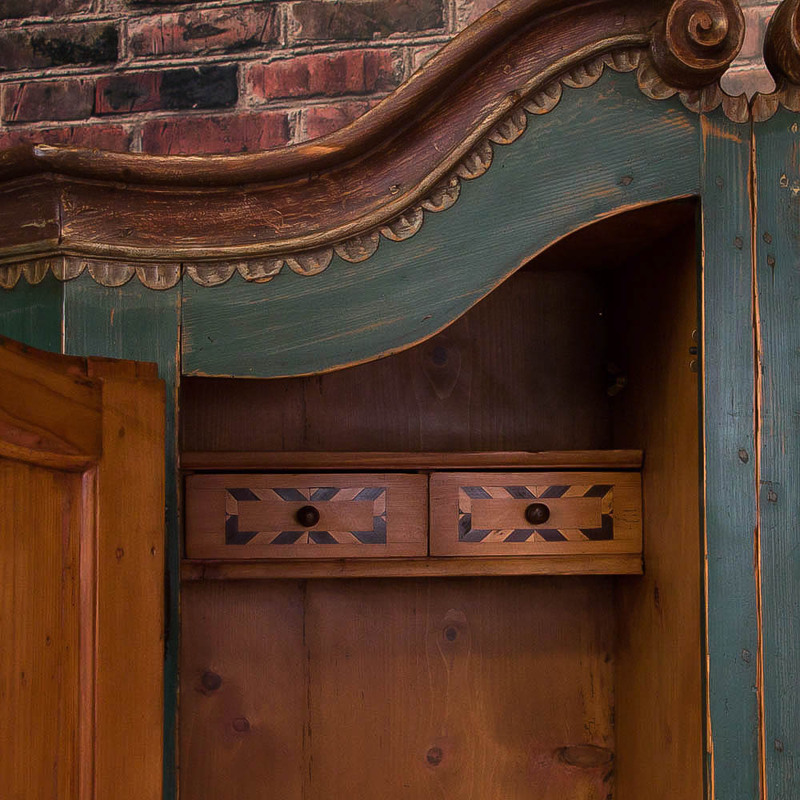 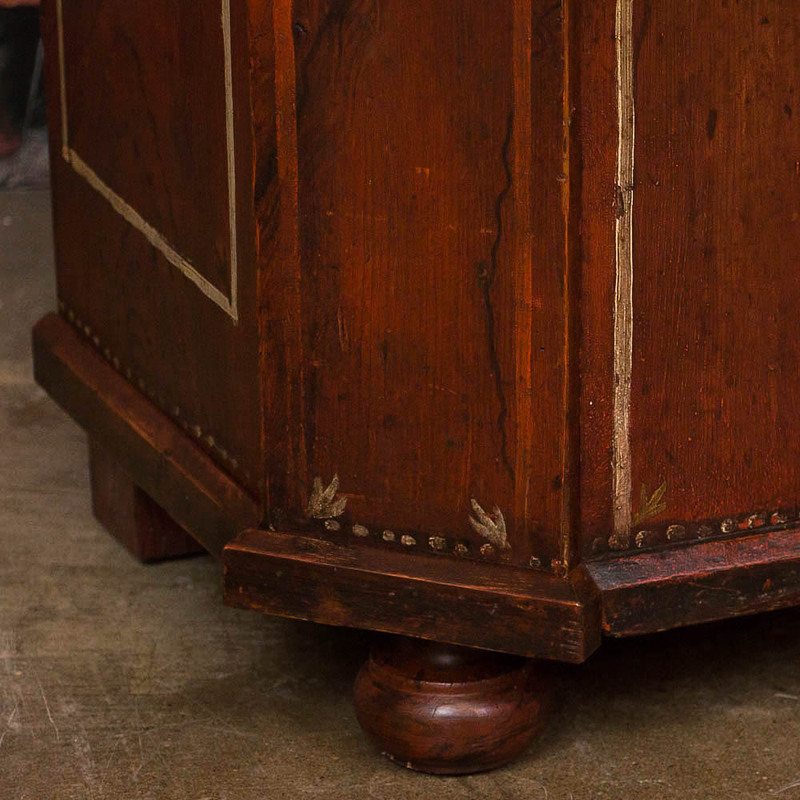 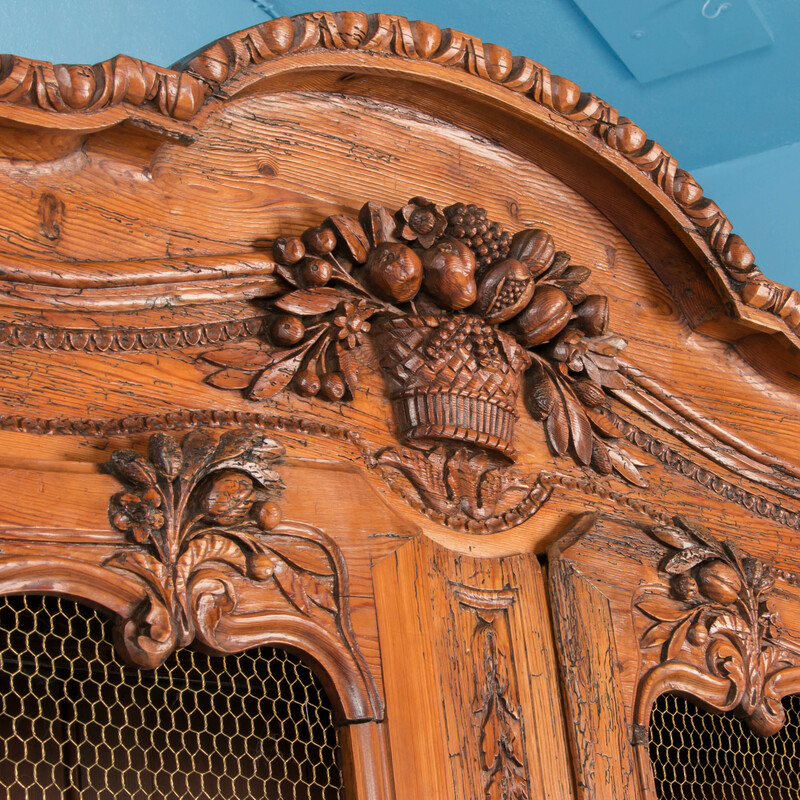 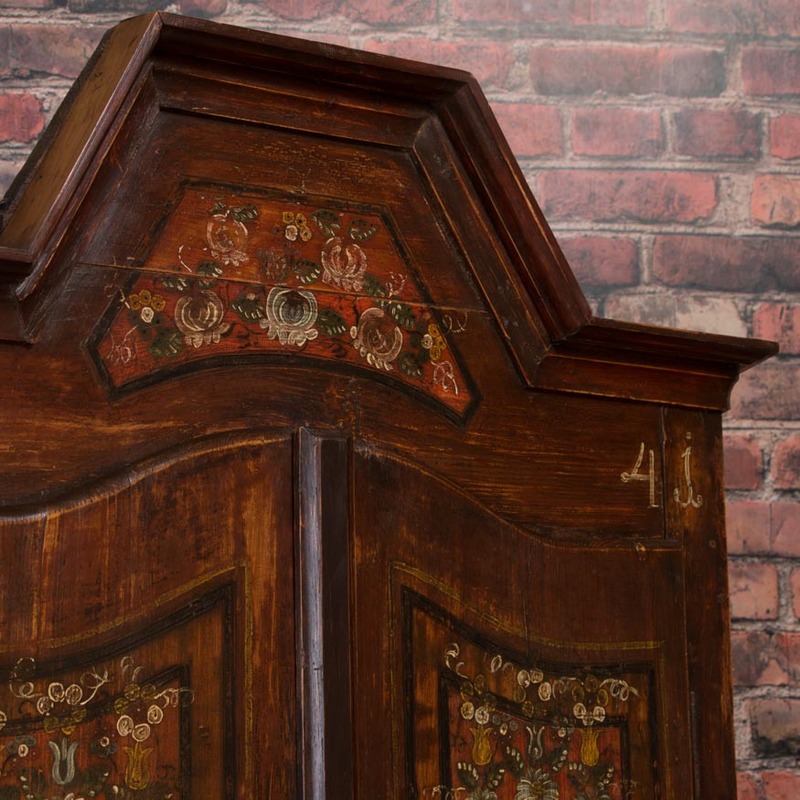 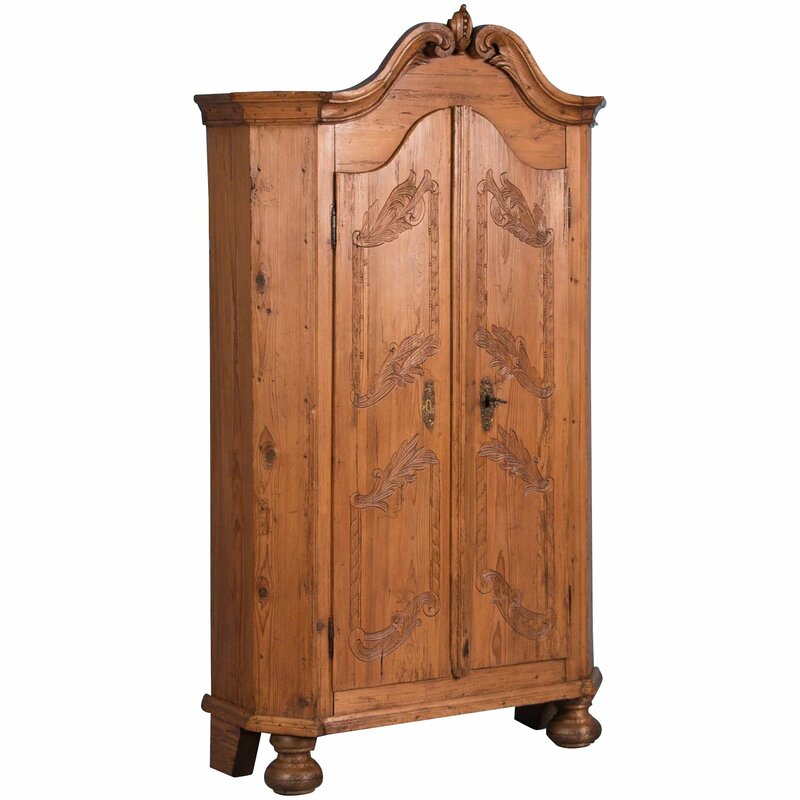 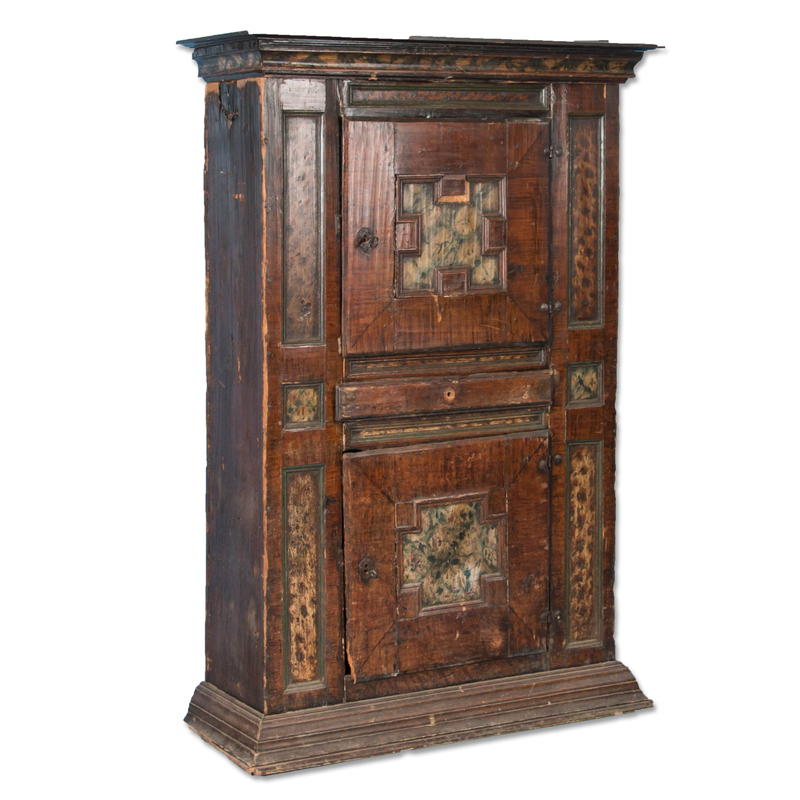 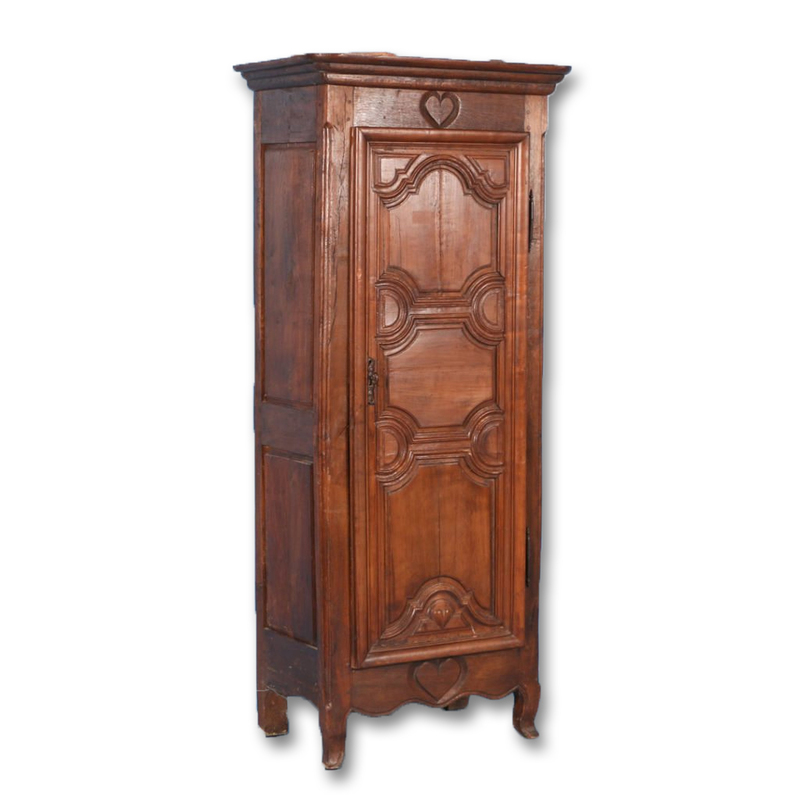 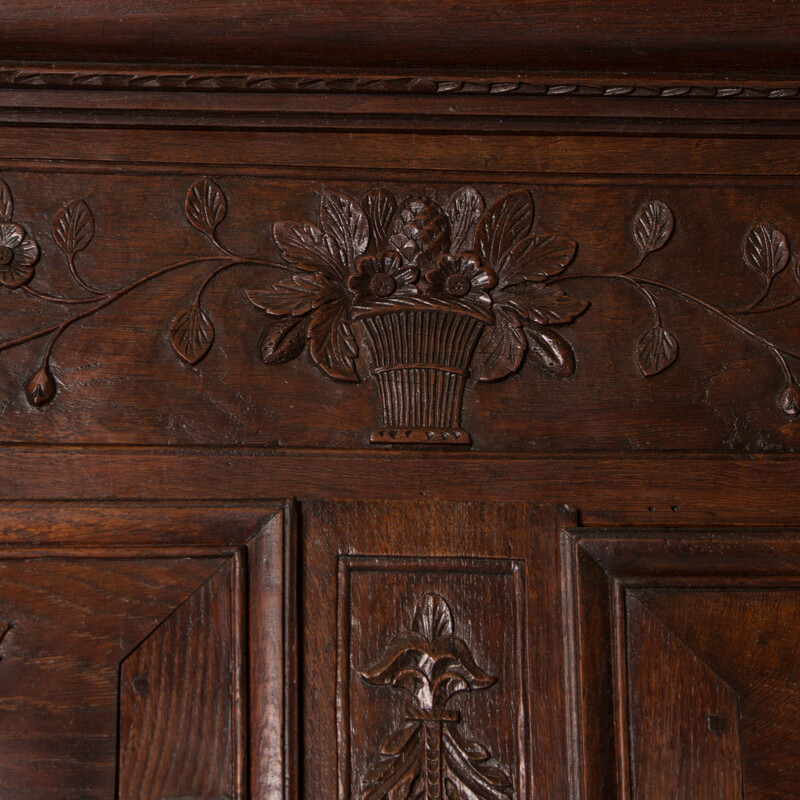 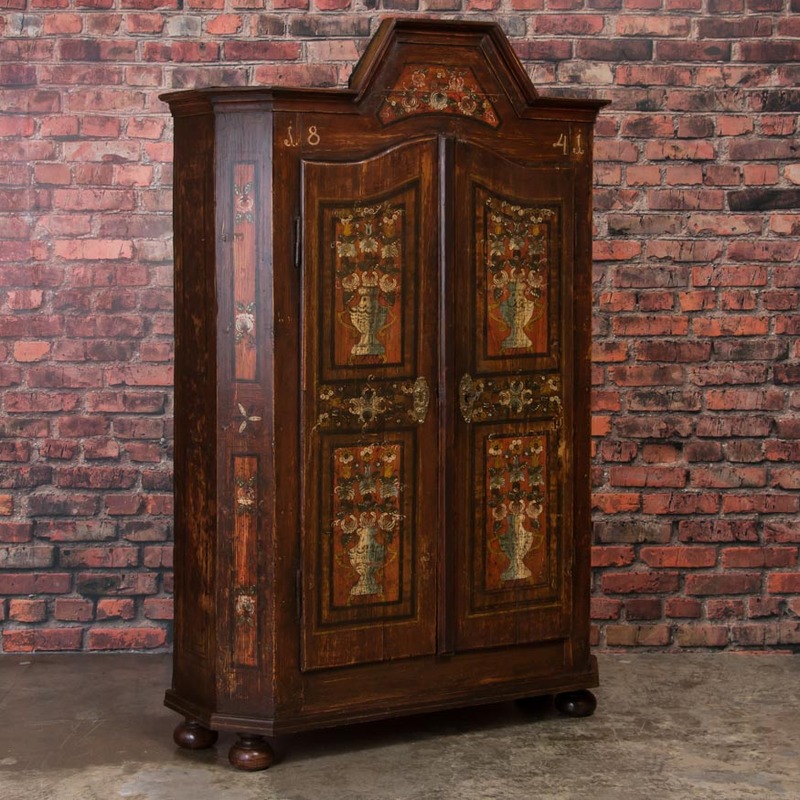 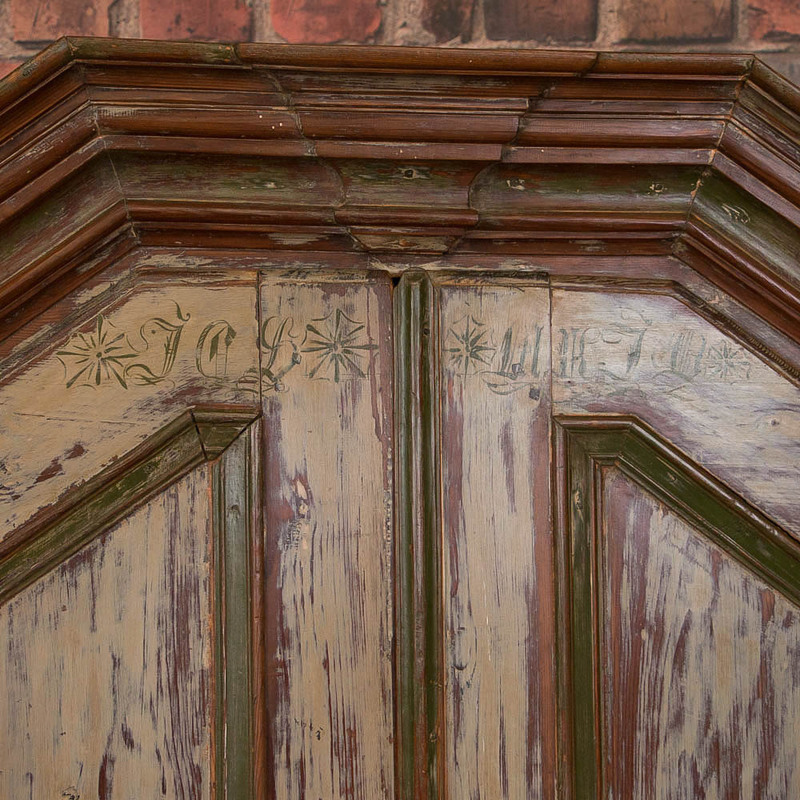 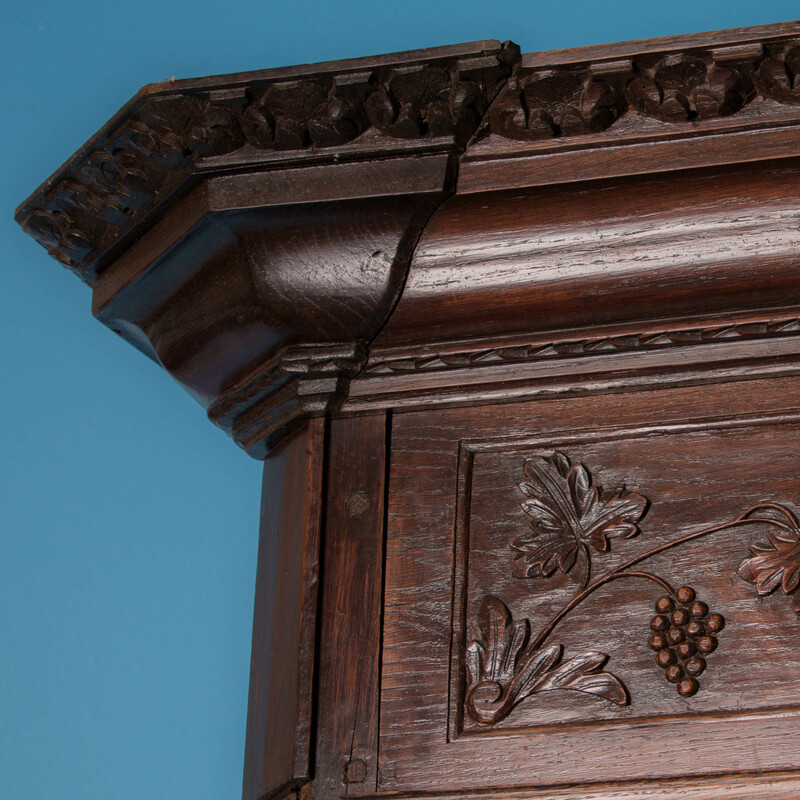 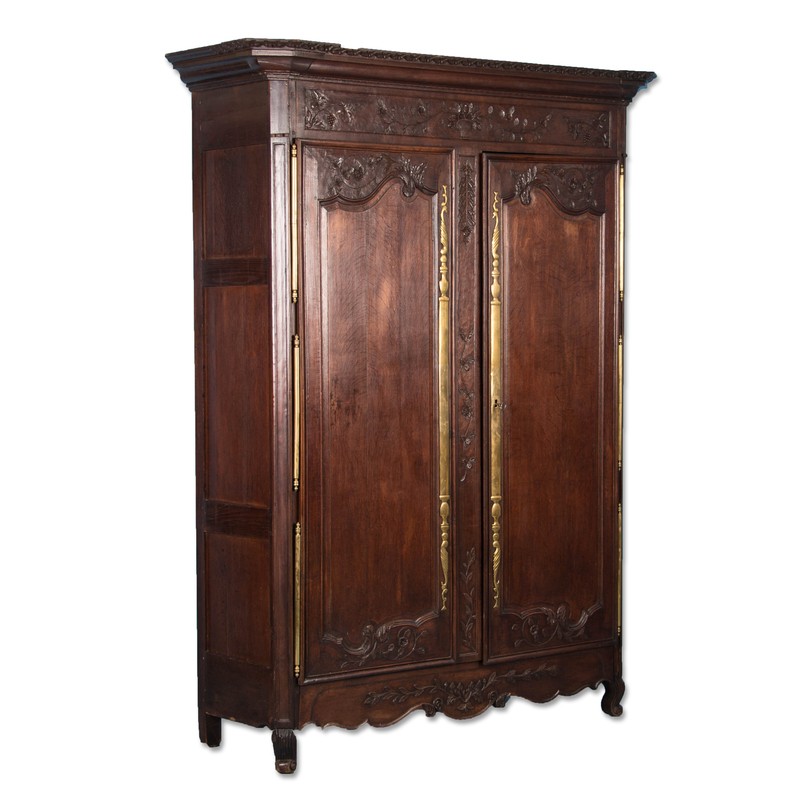 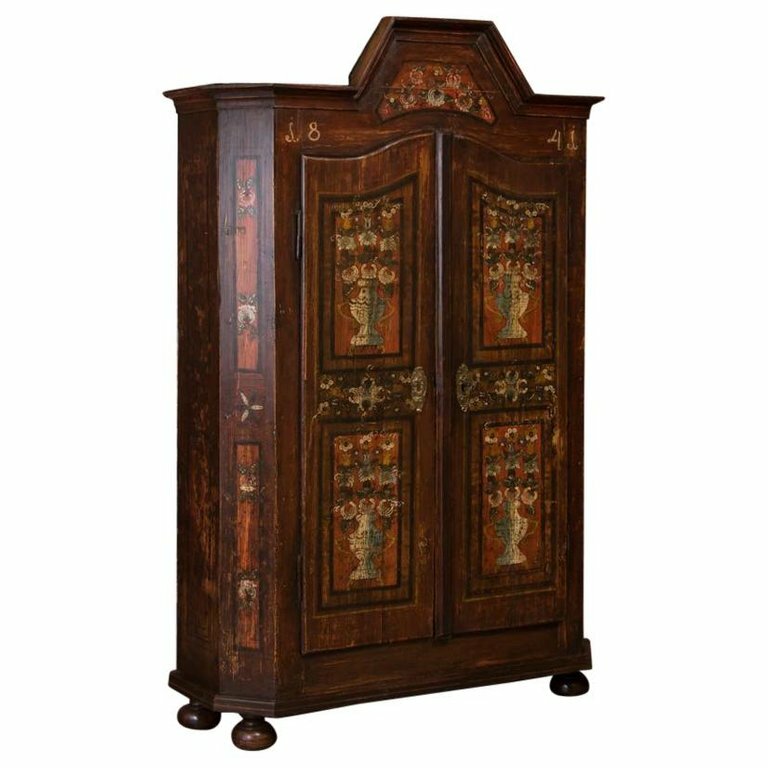 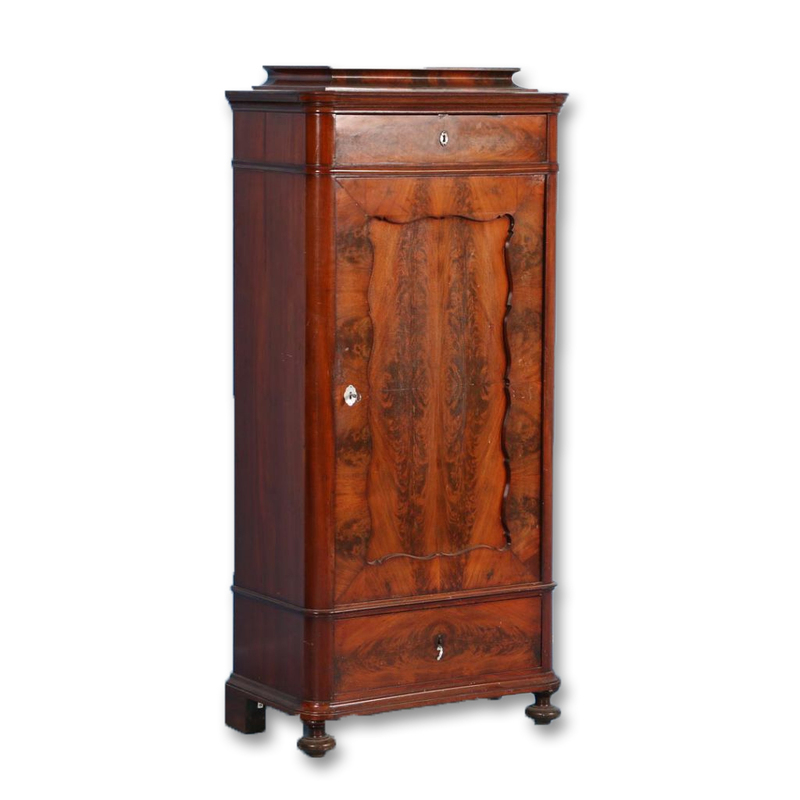 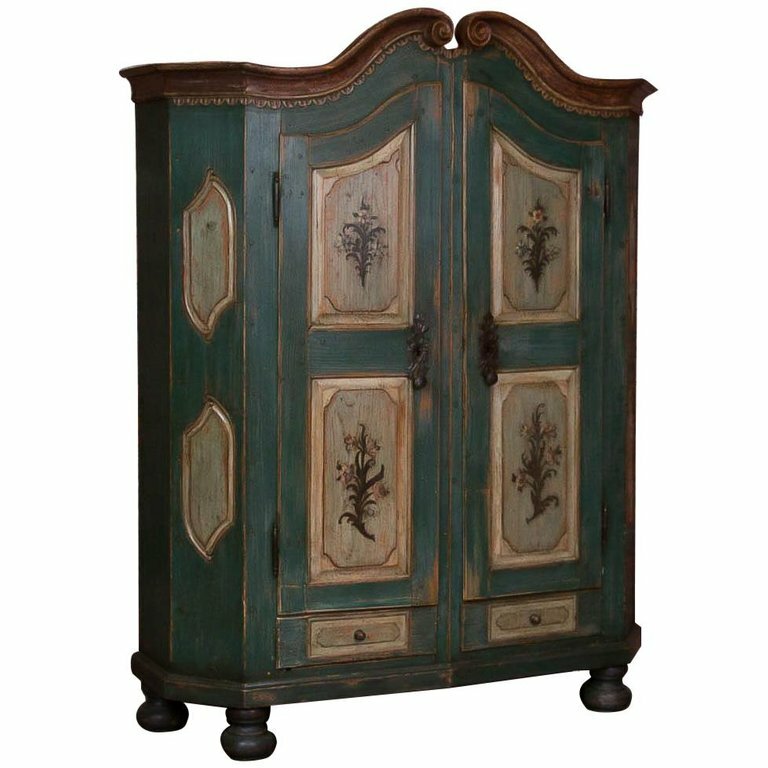 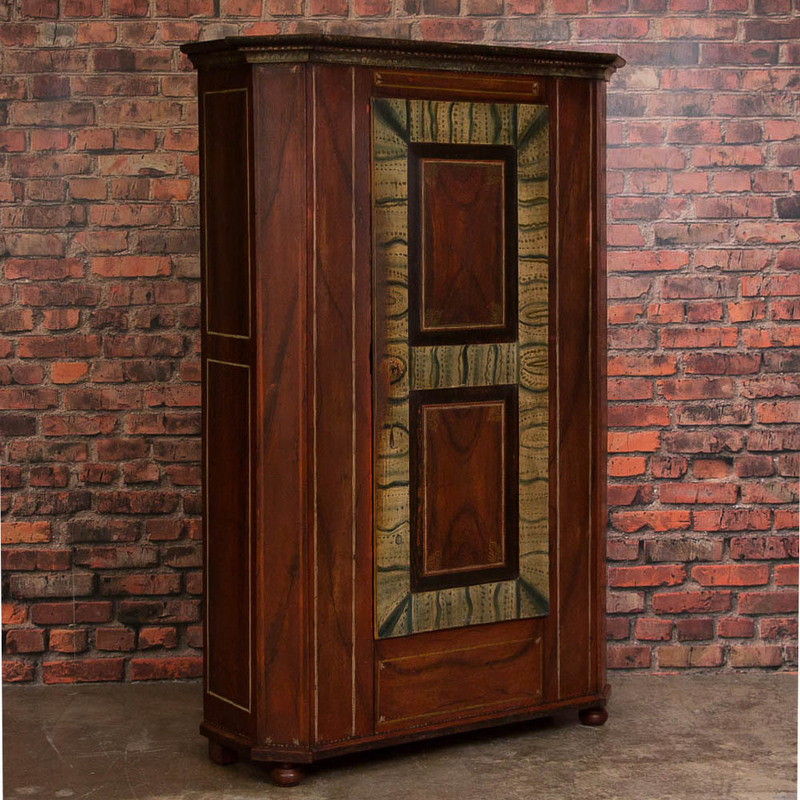 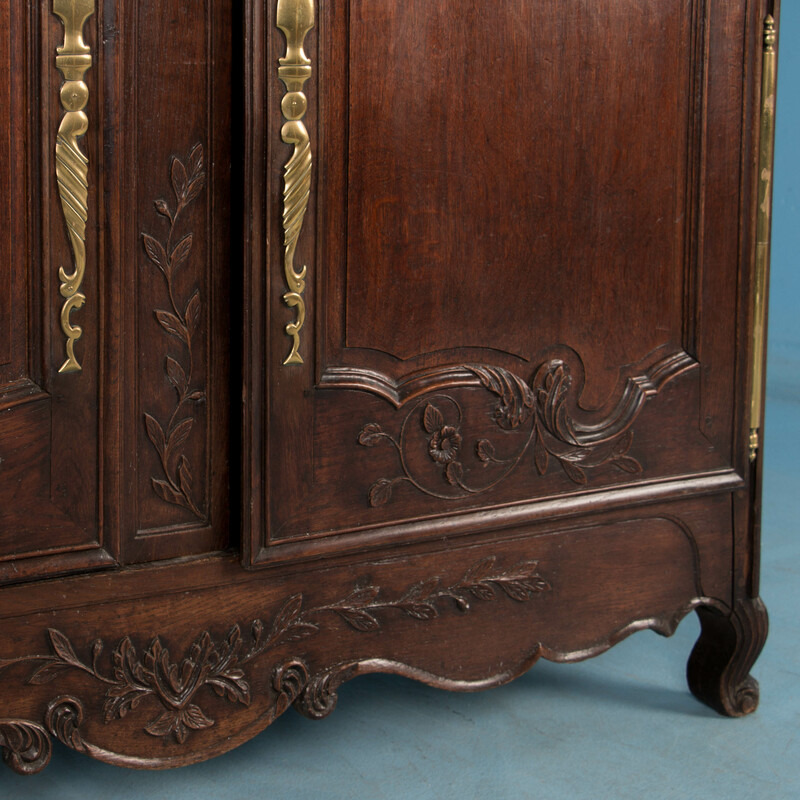 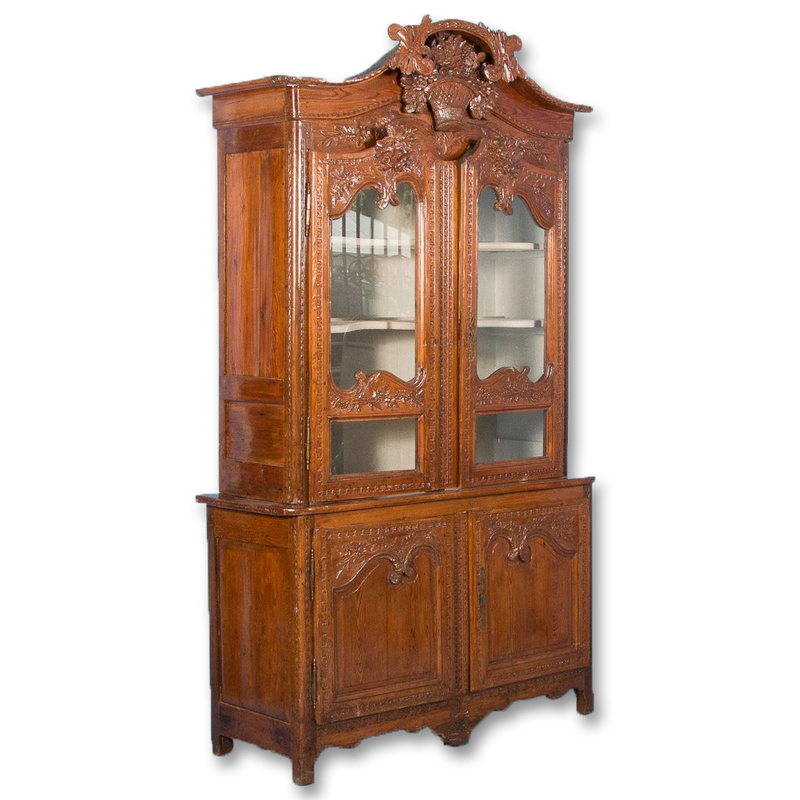 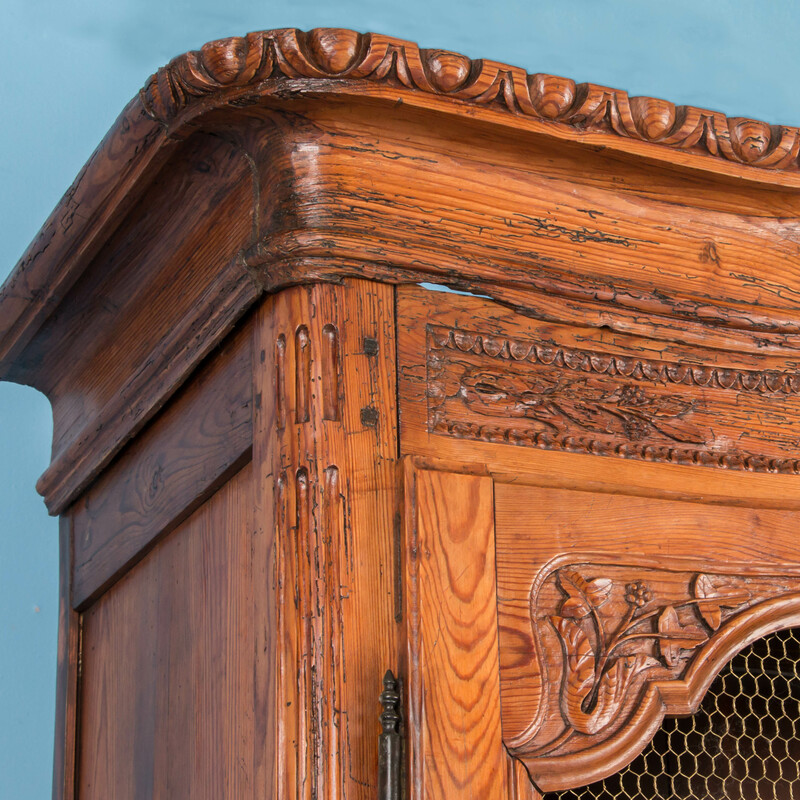 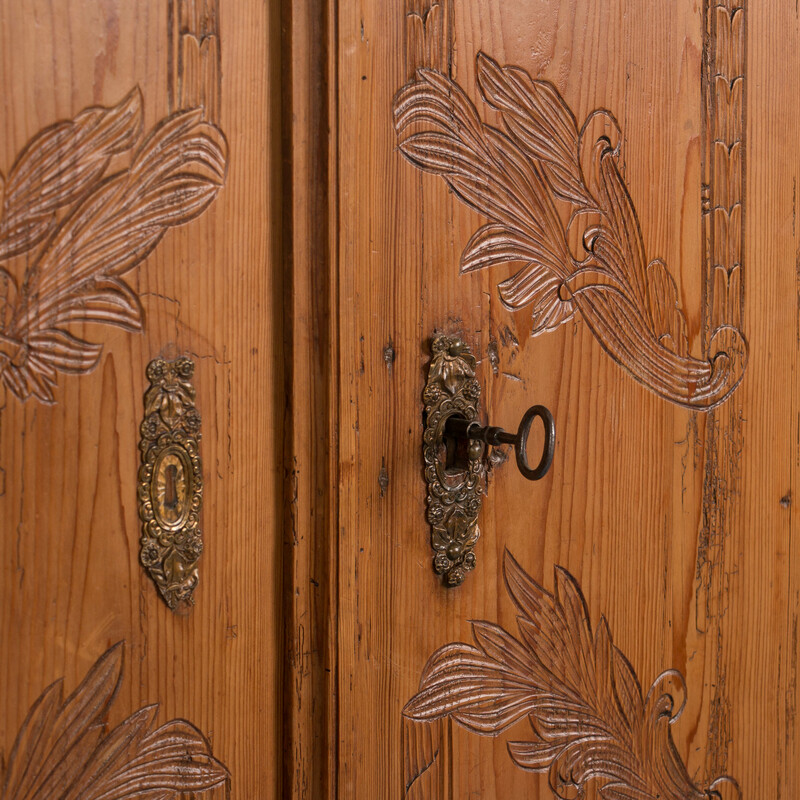 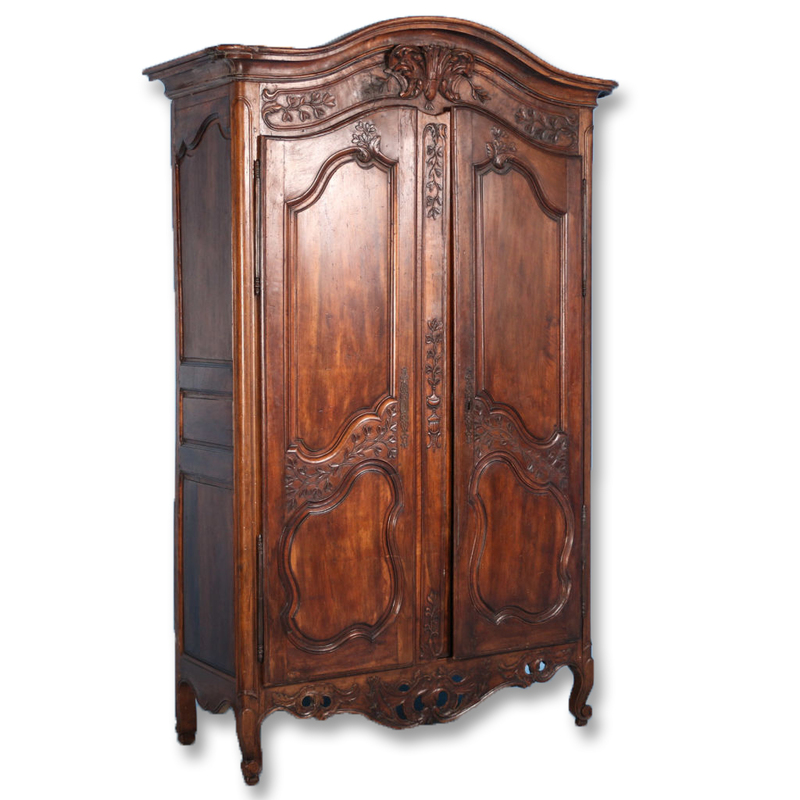 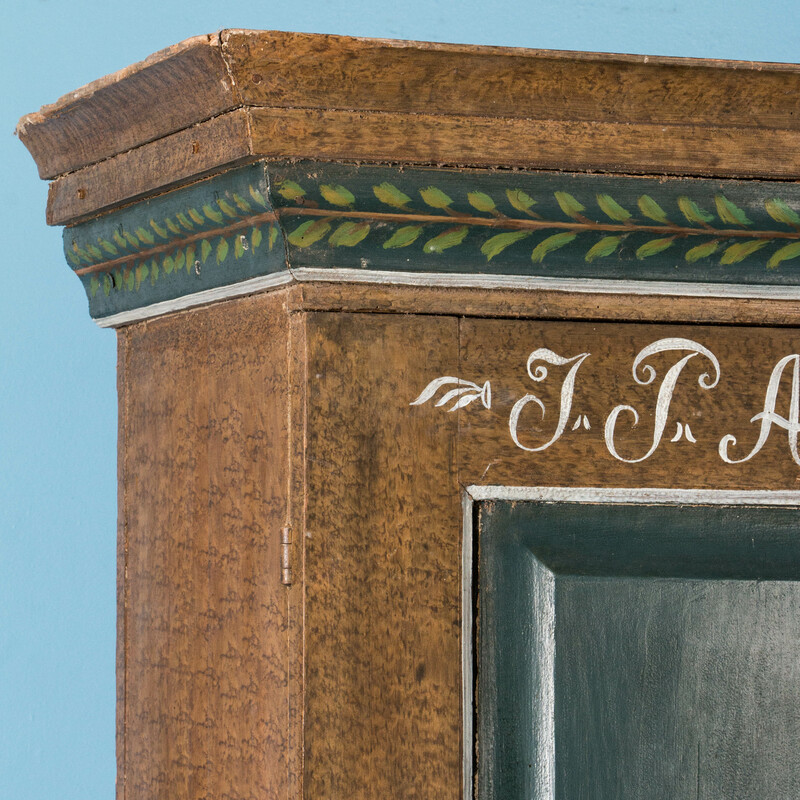 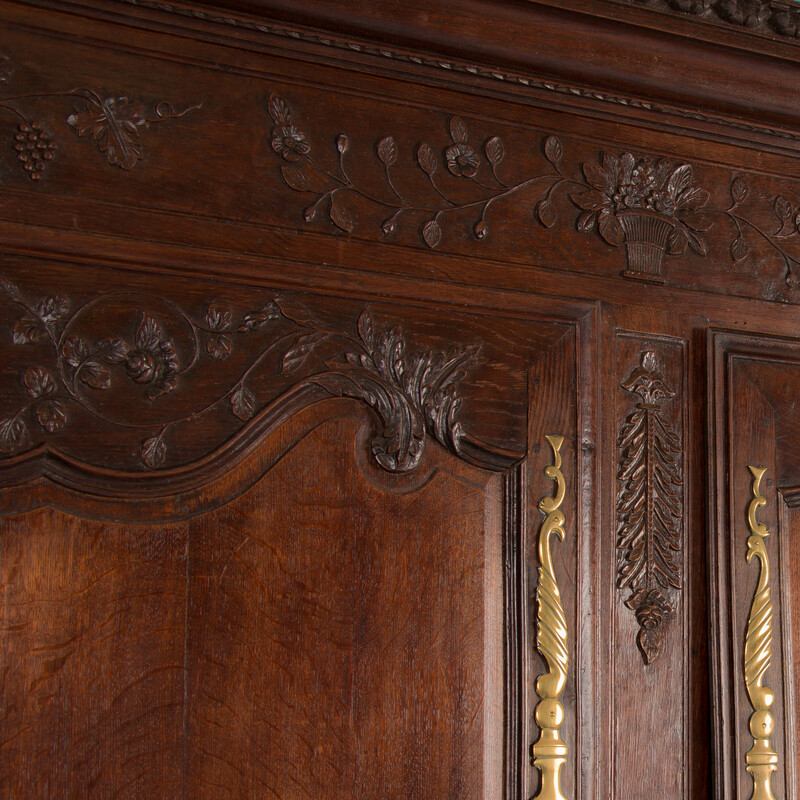 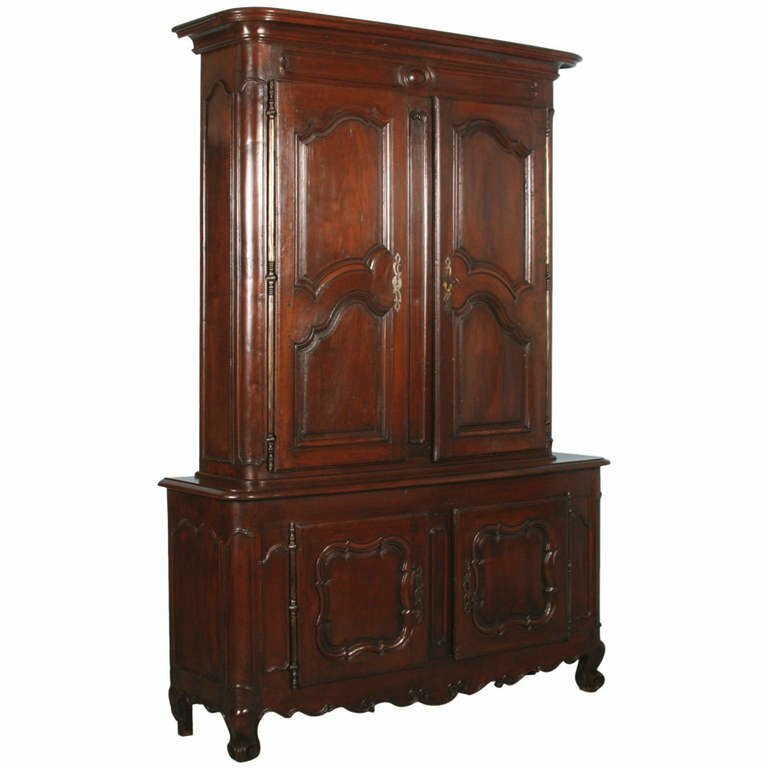 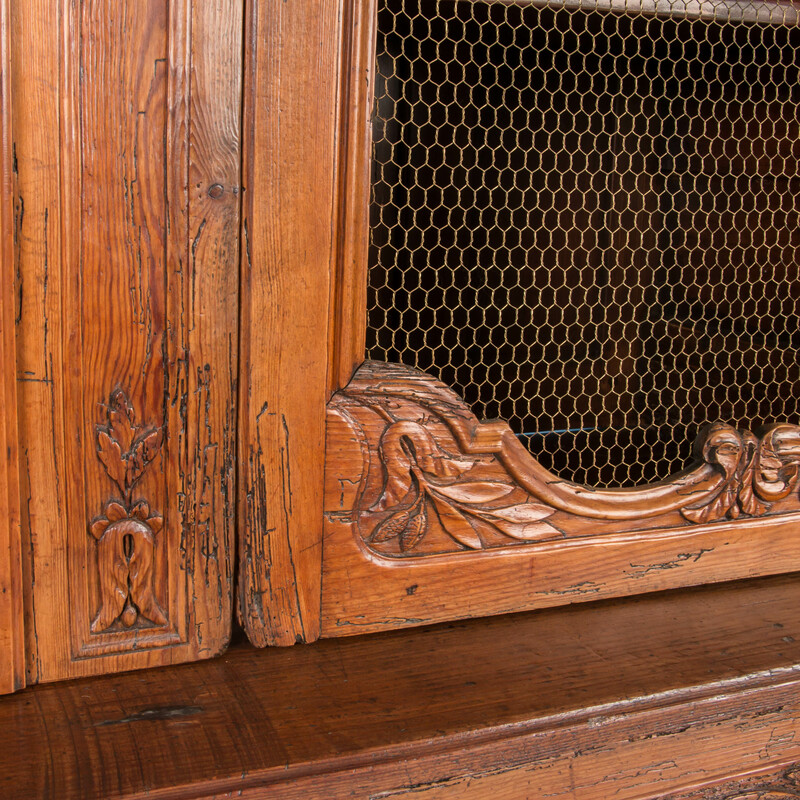 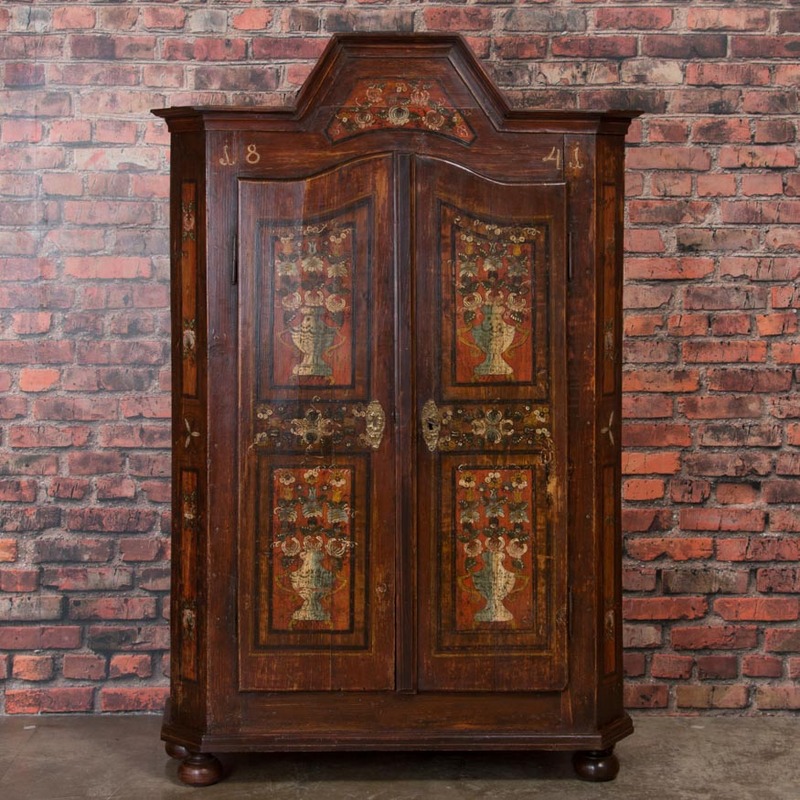 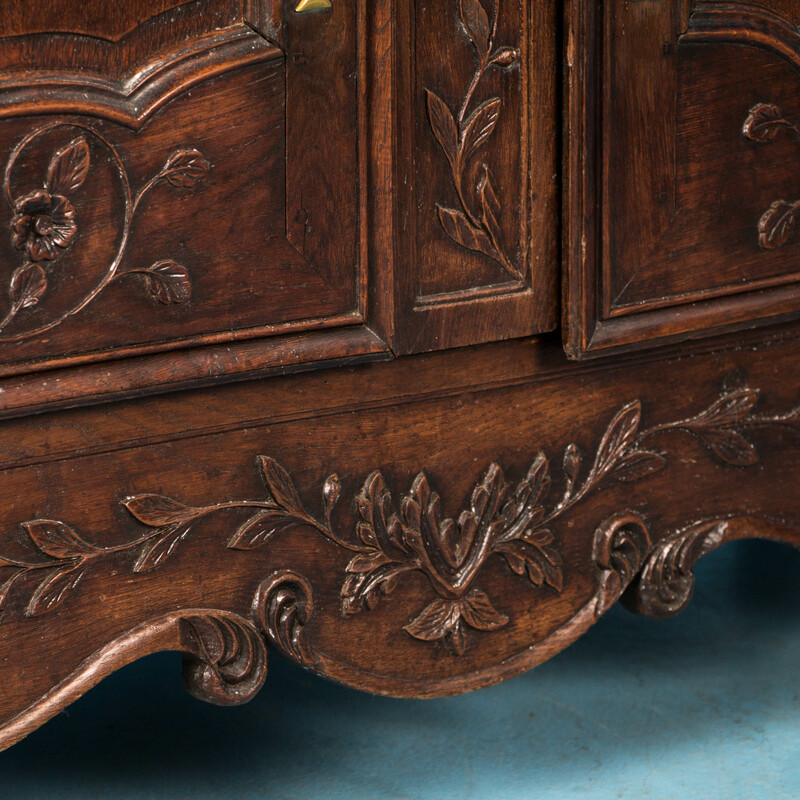 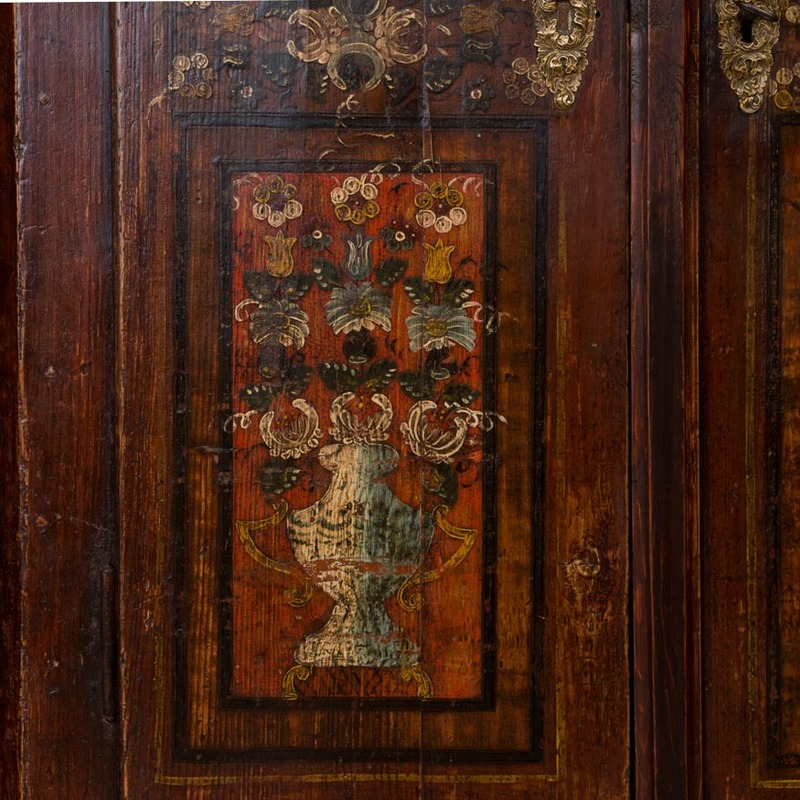 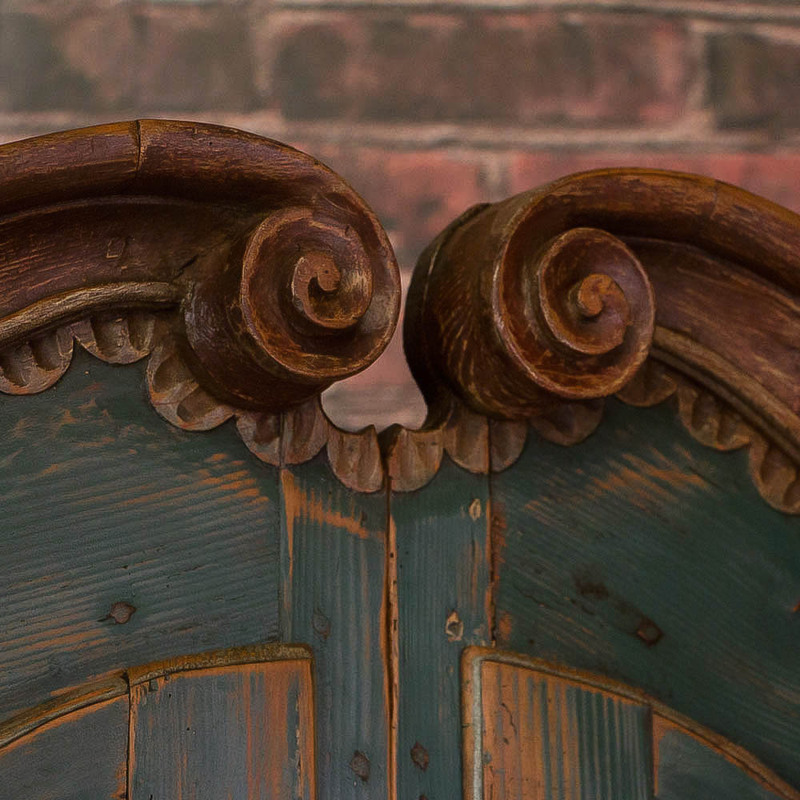 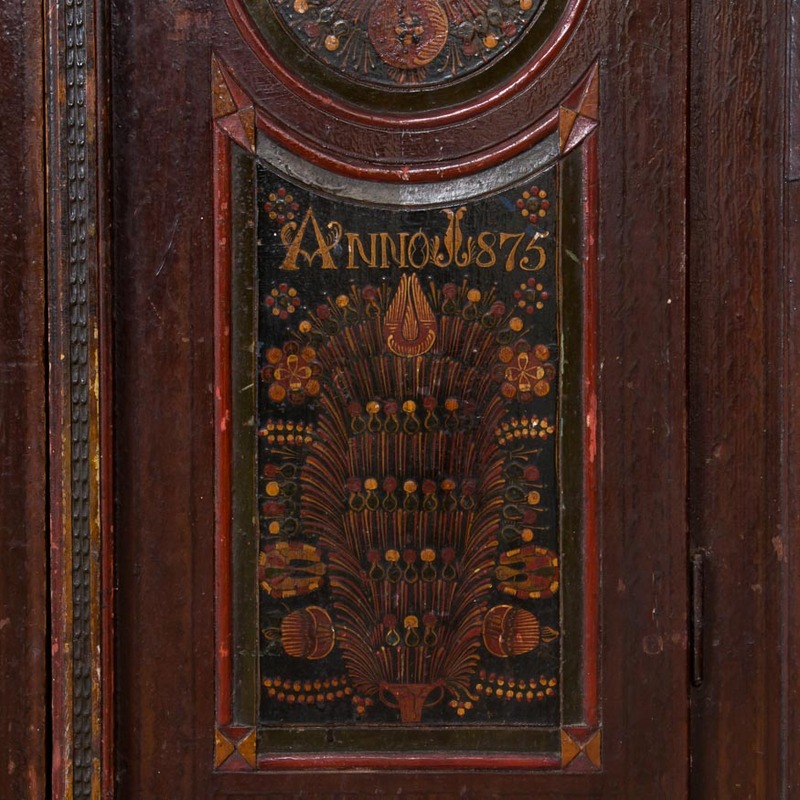 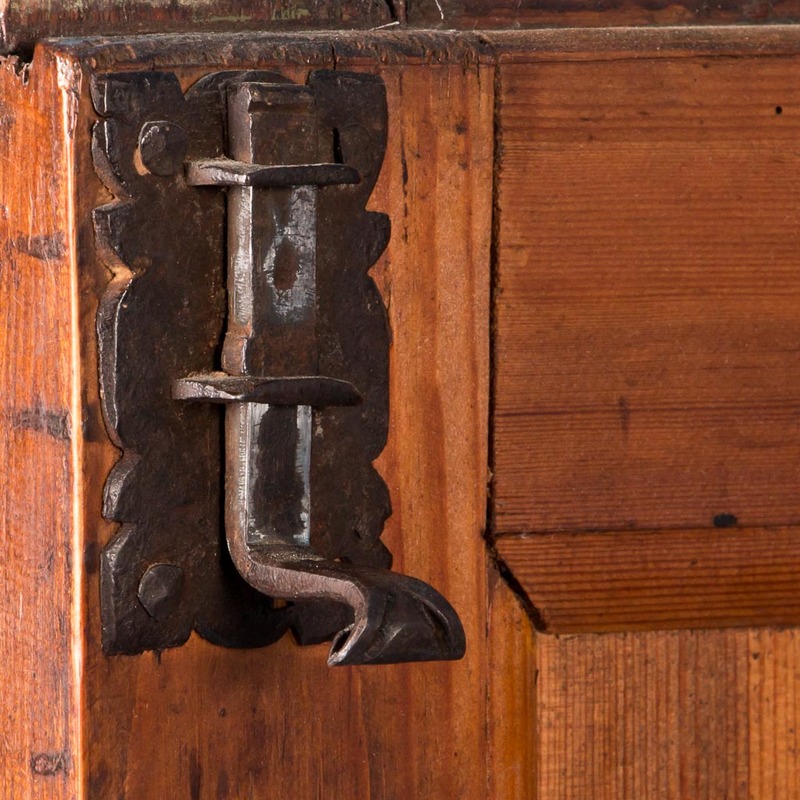 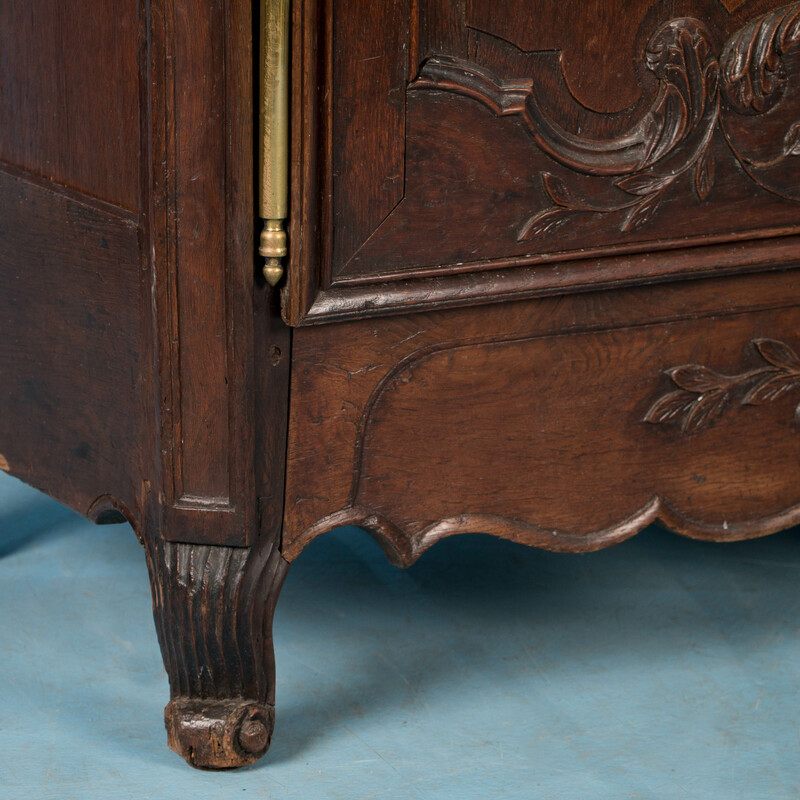 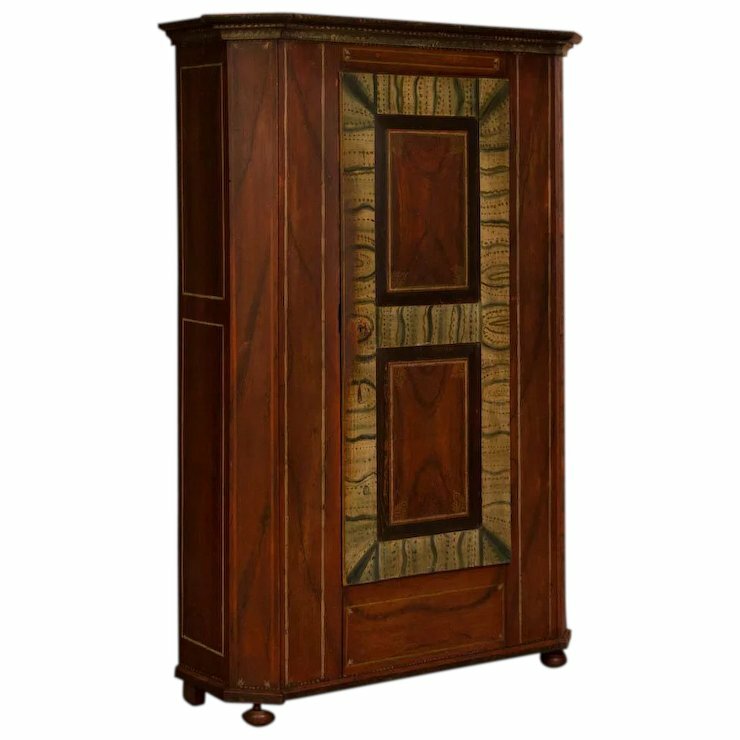 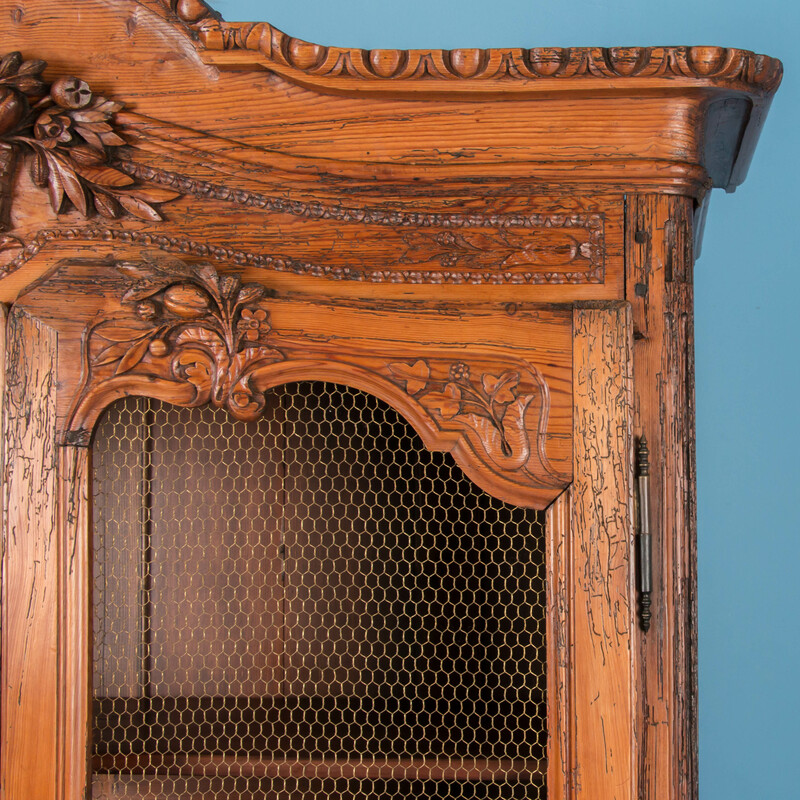 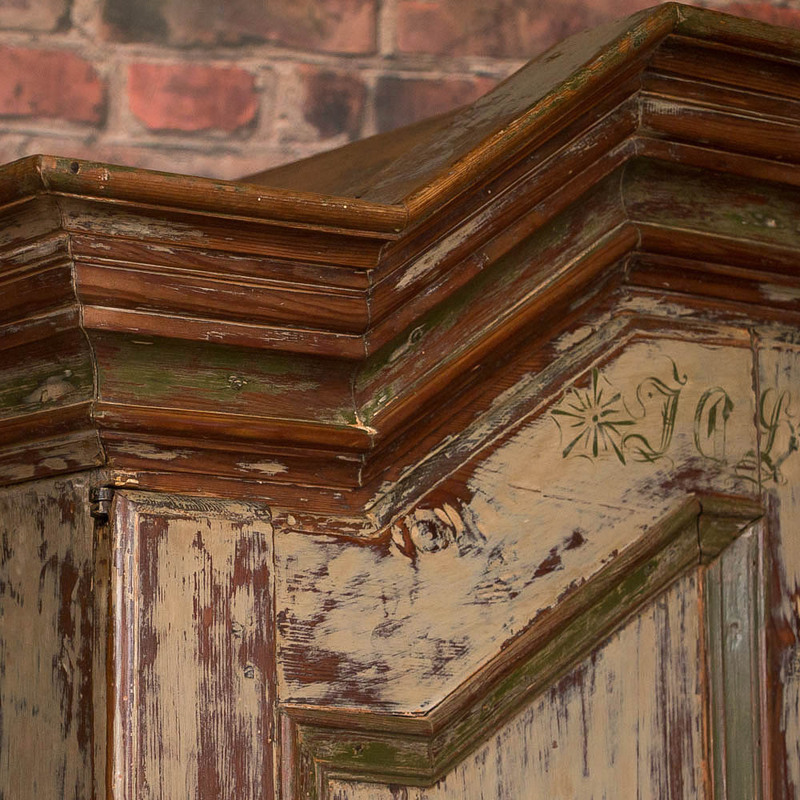 Attractive carvings of vines, leaves and flowers embellish this armoire. 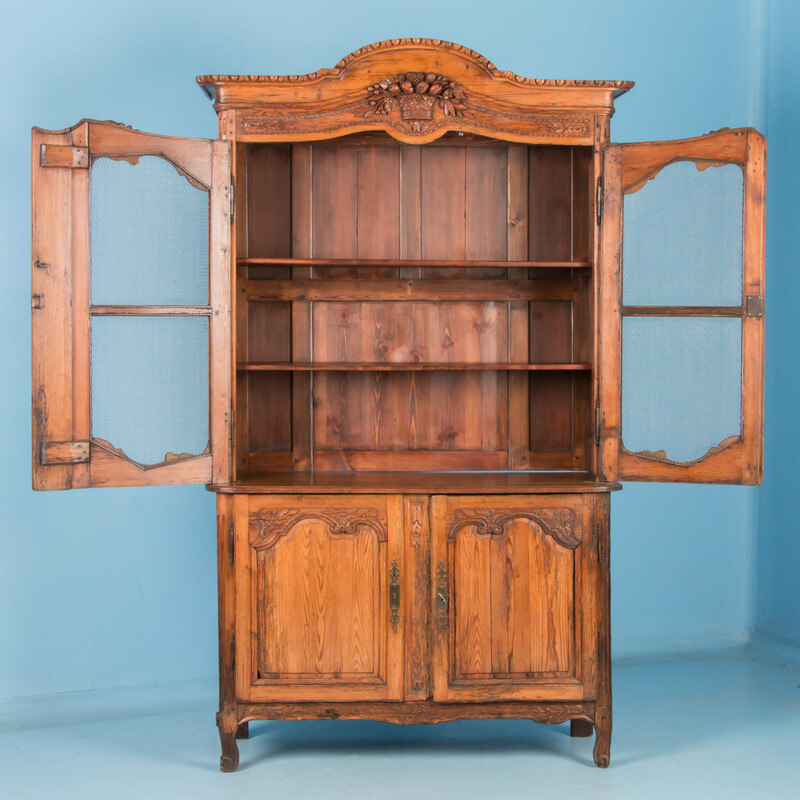 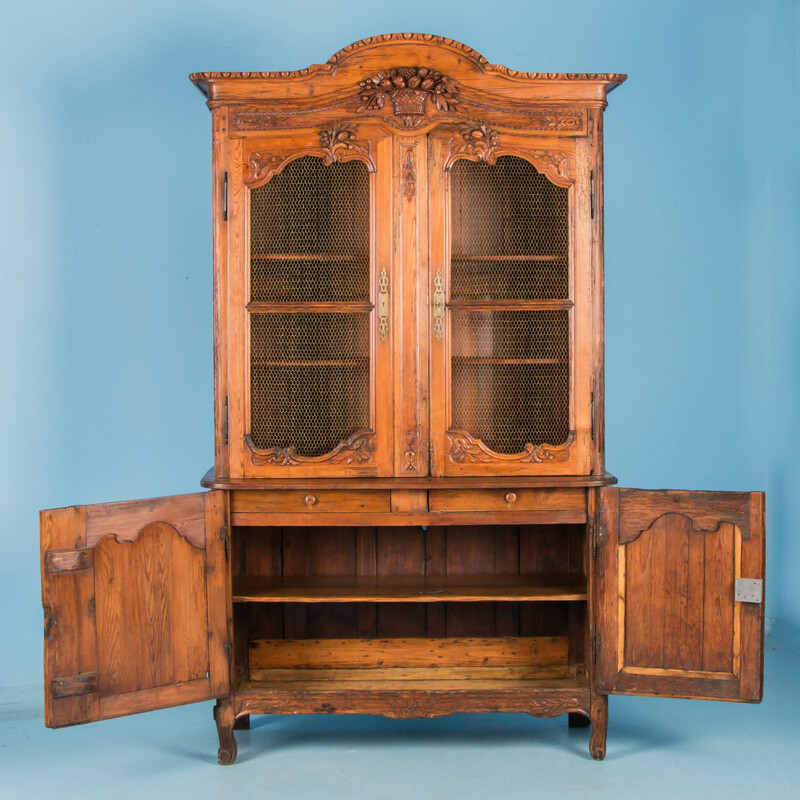 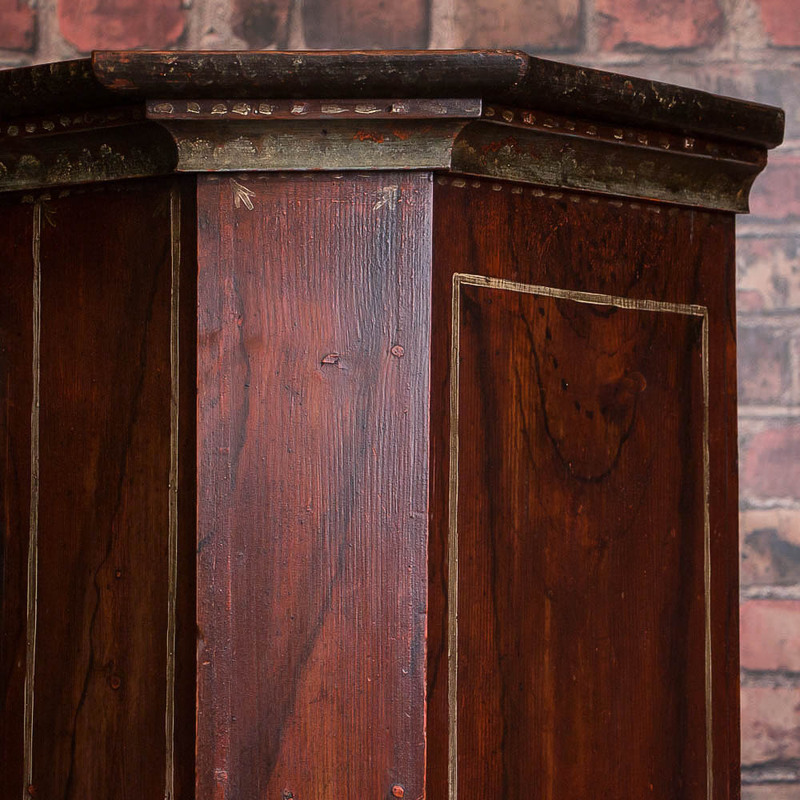 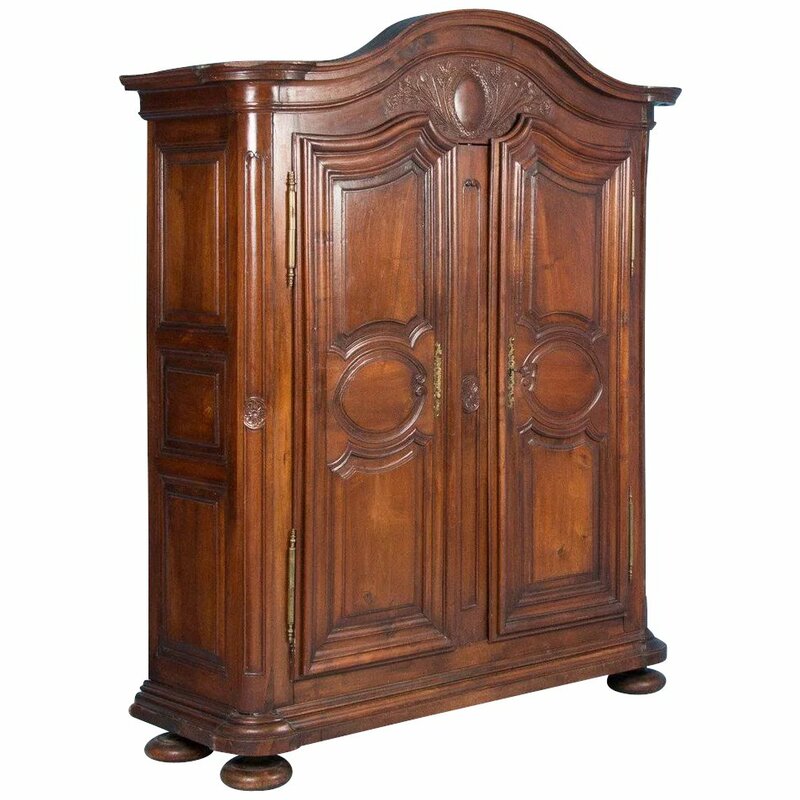 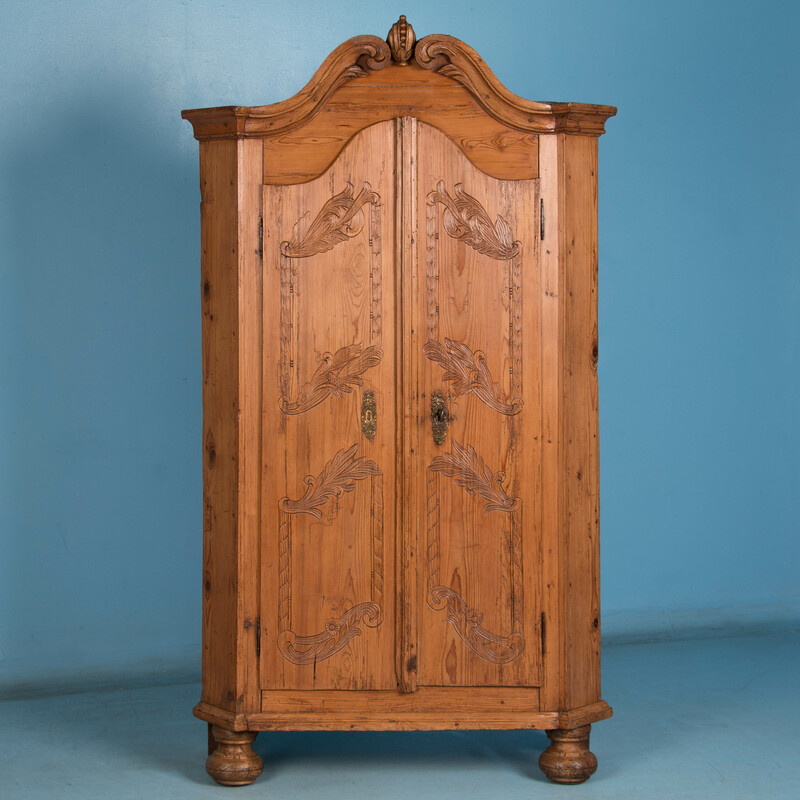 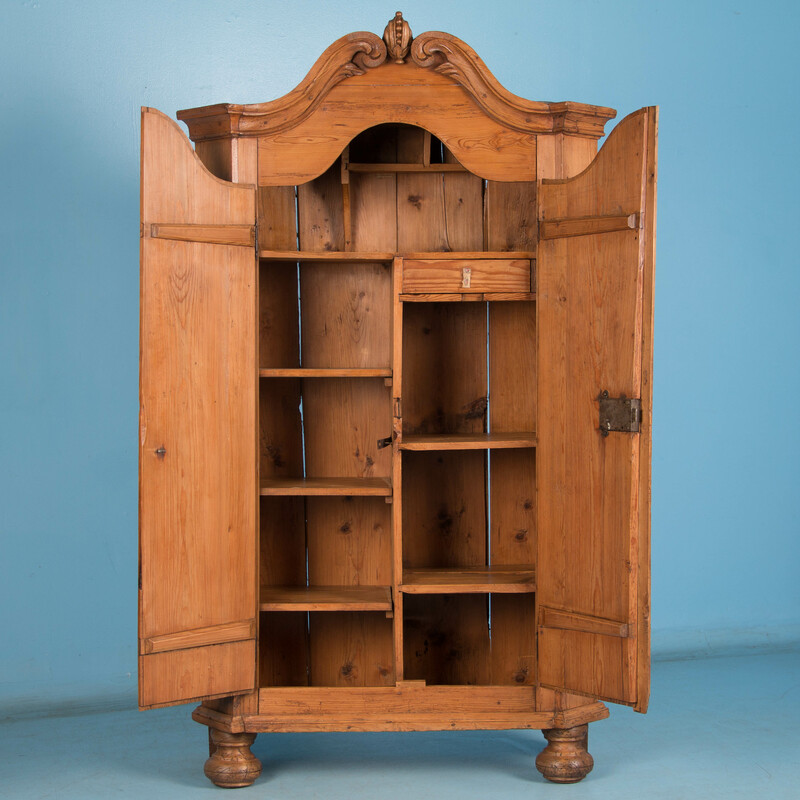 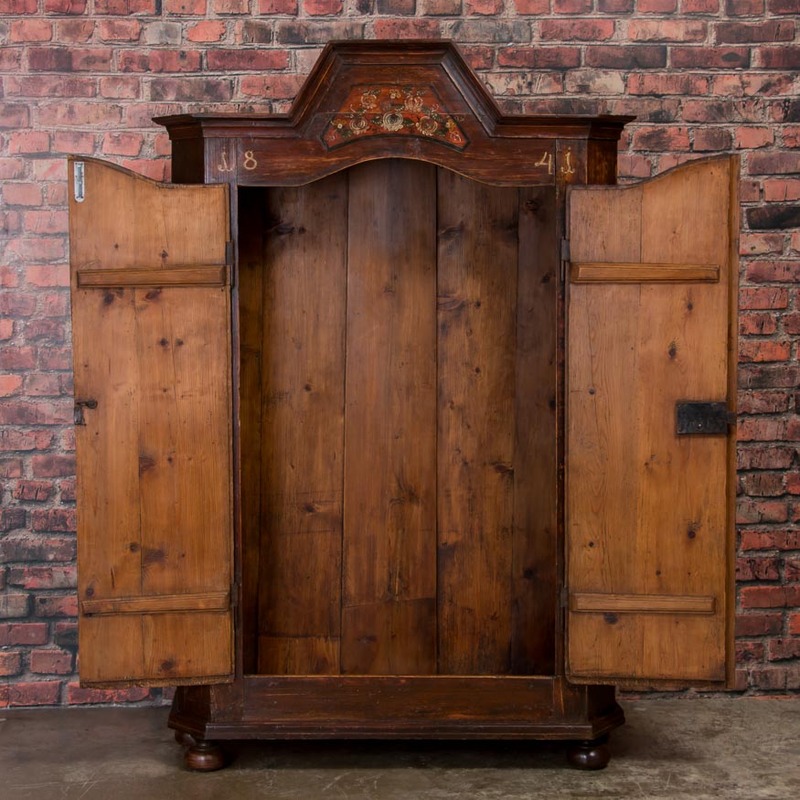 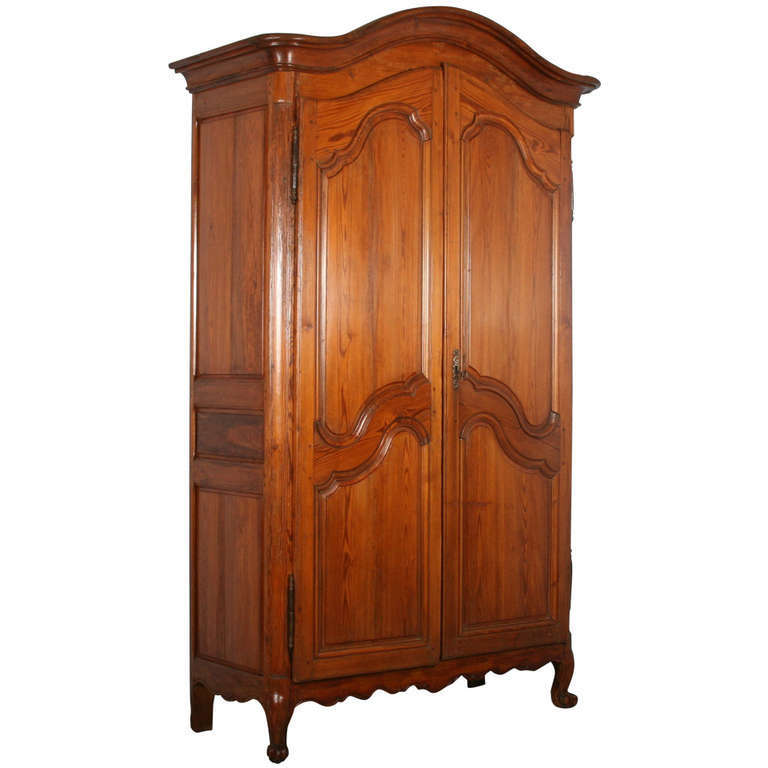 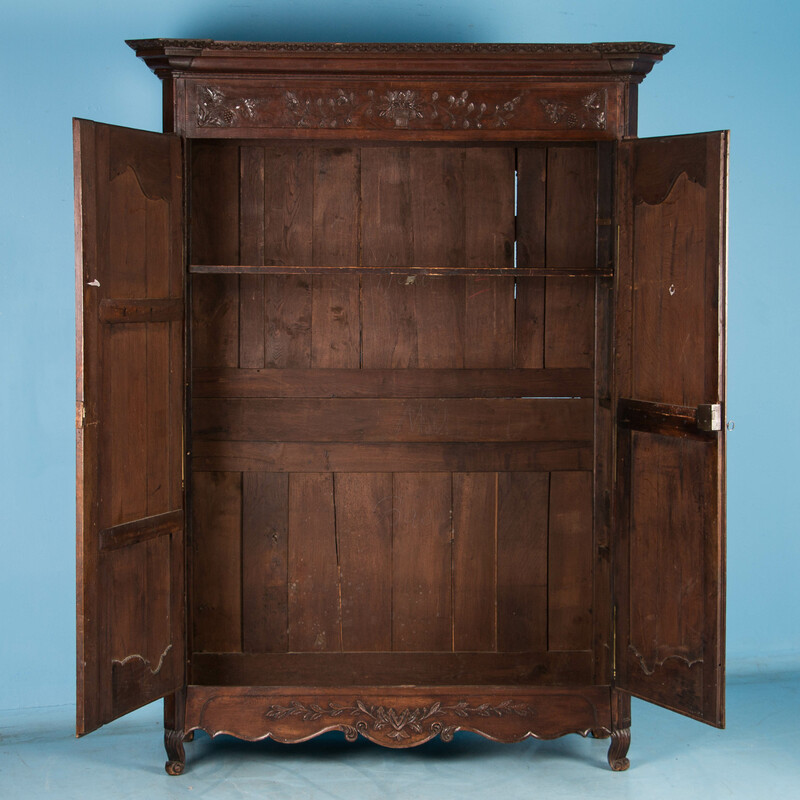 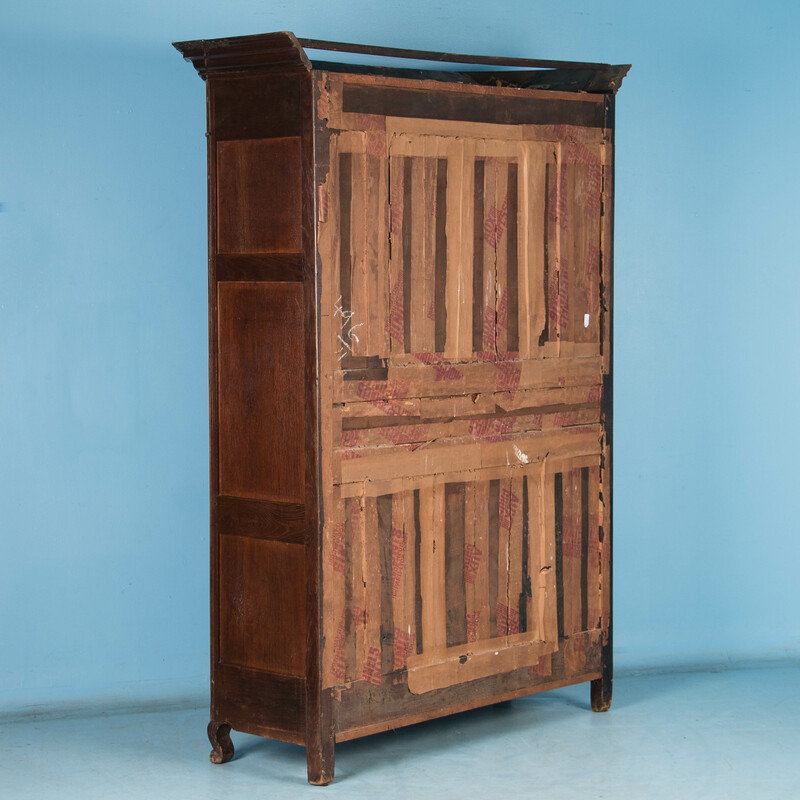 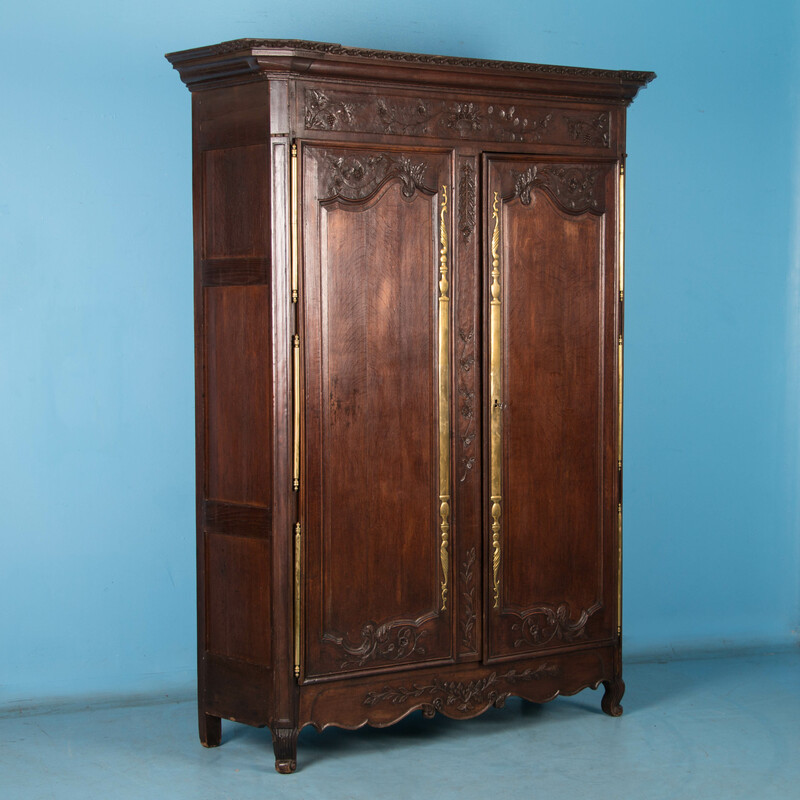 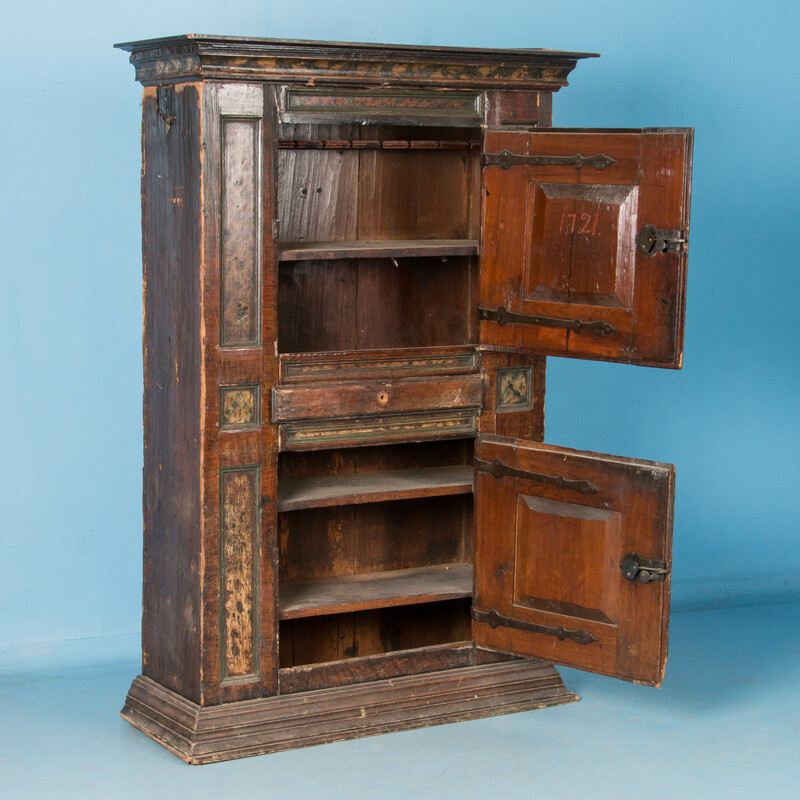 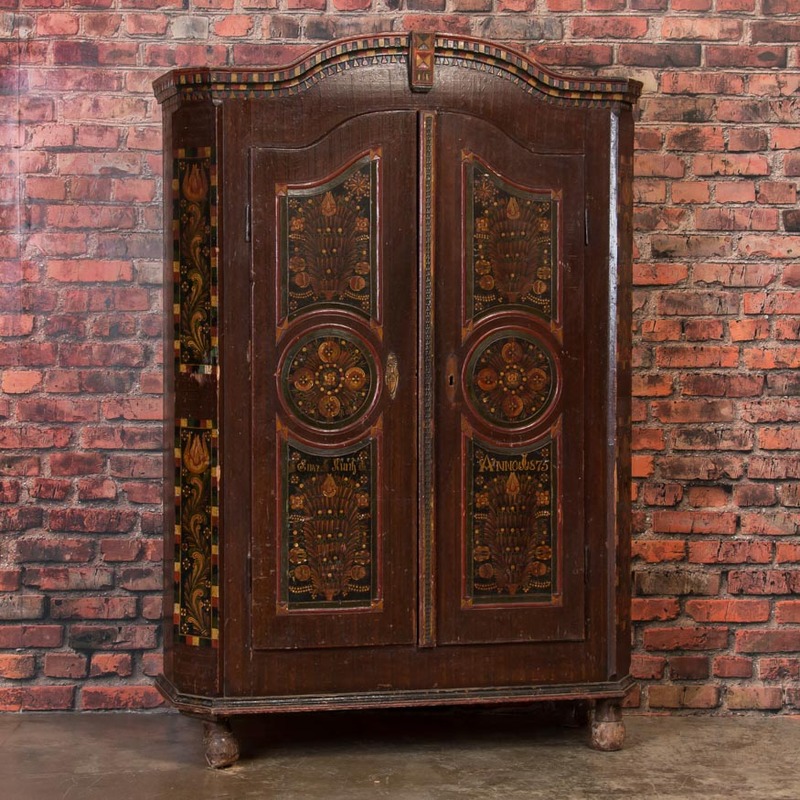 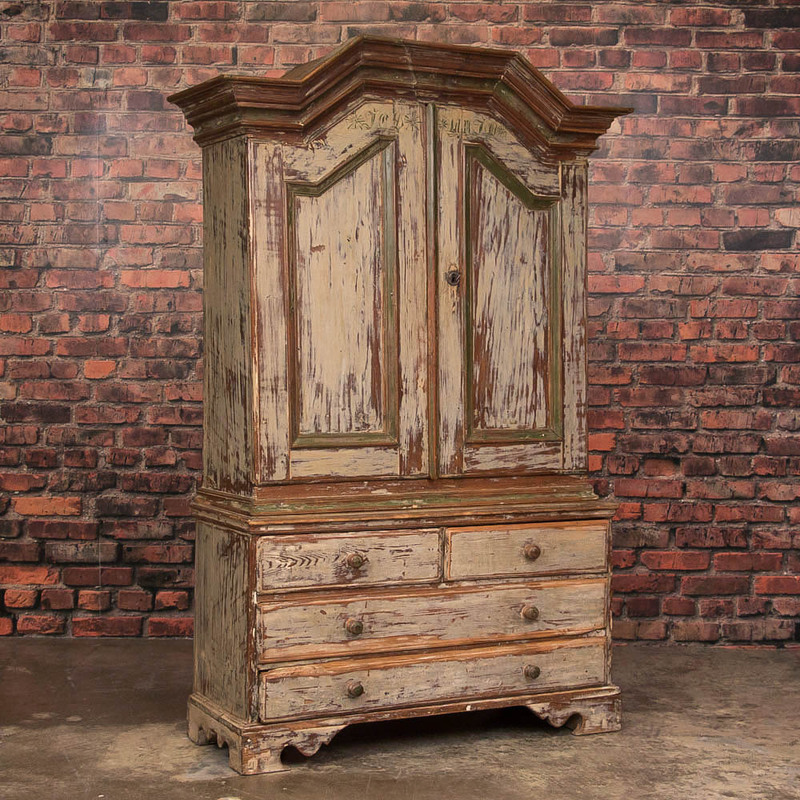 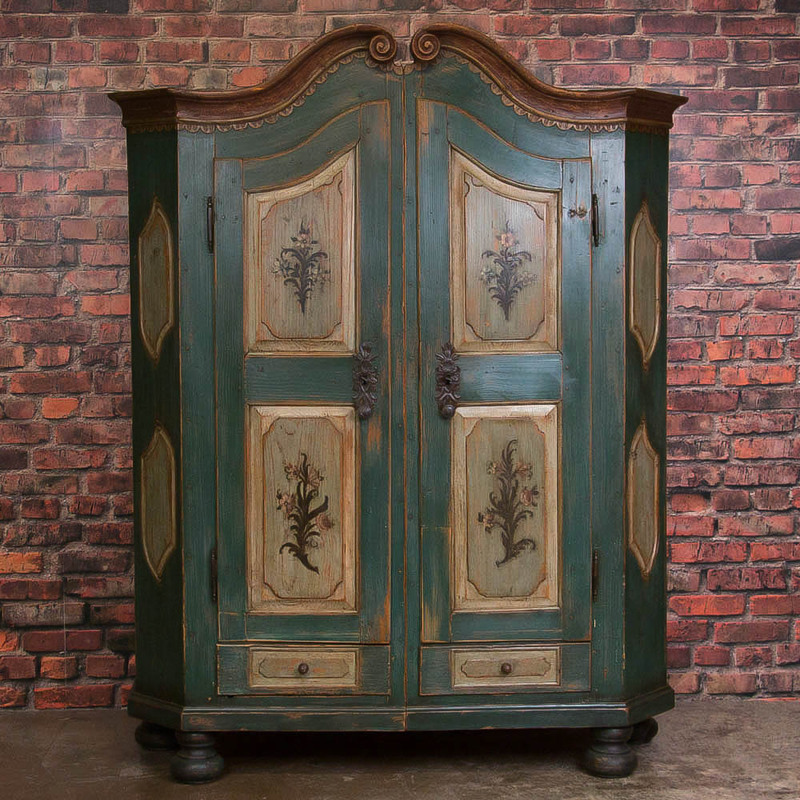 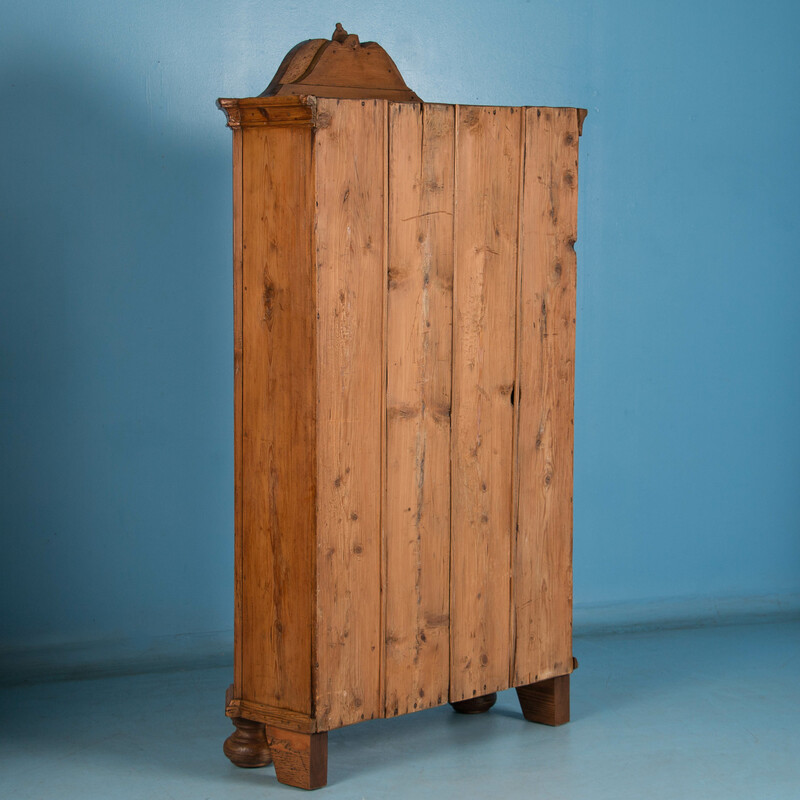 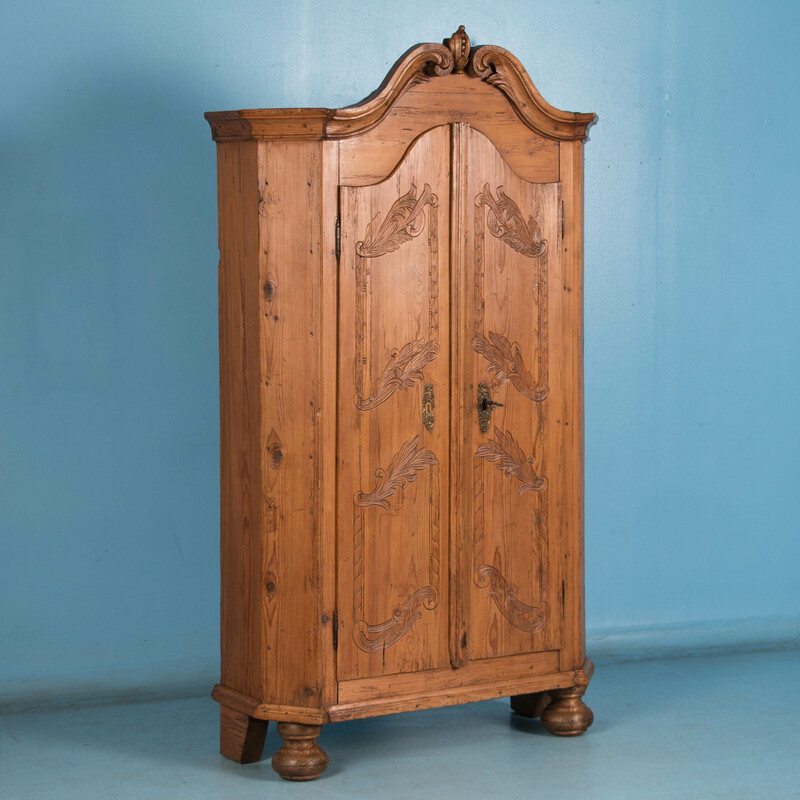 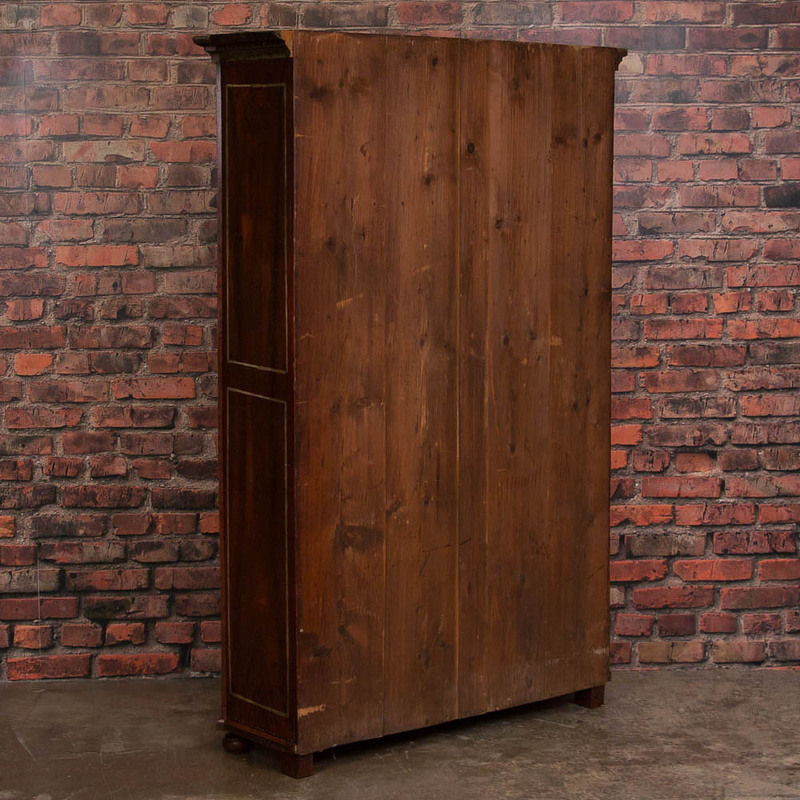 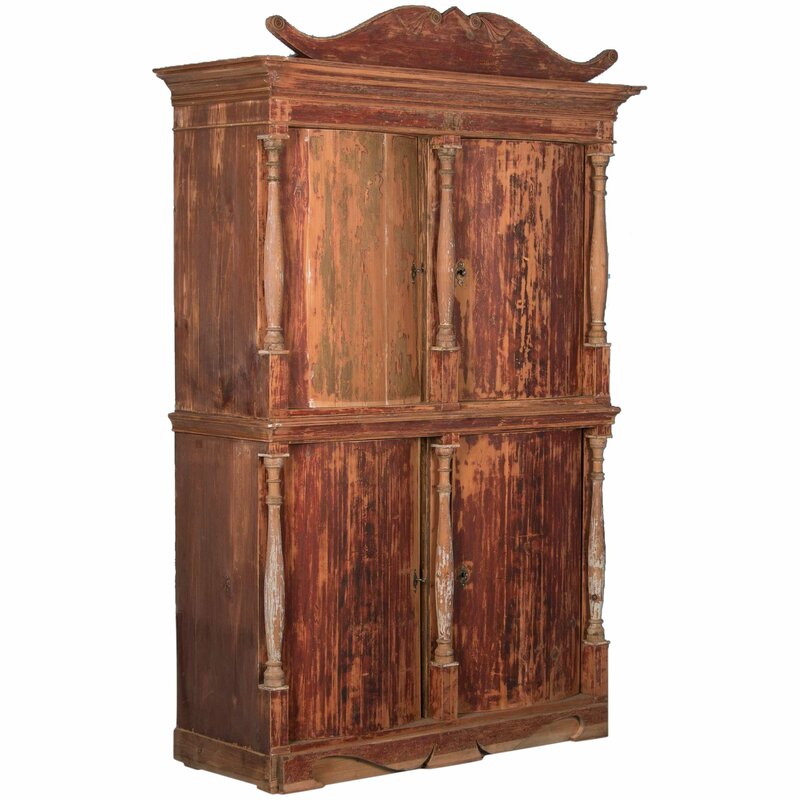 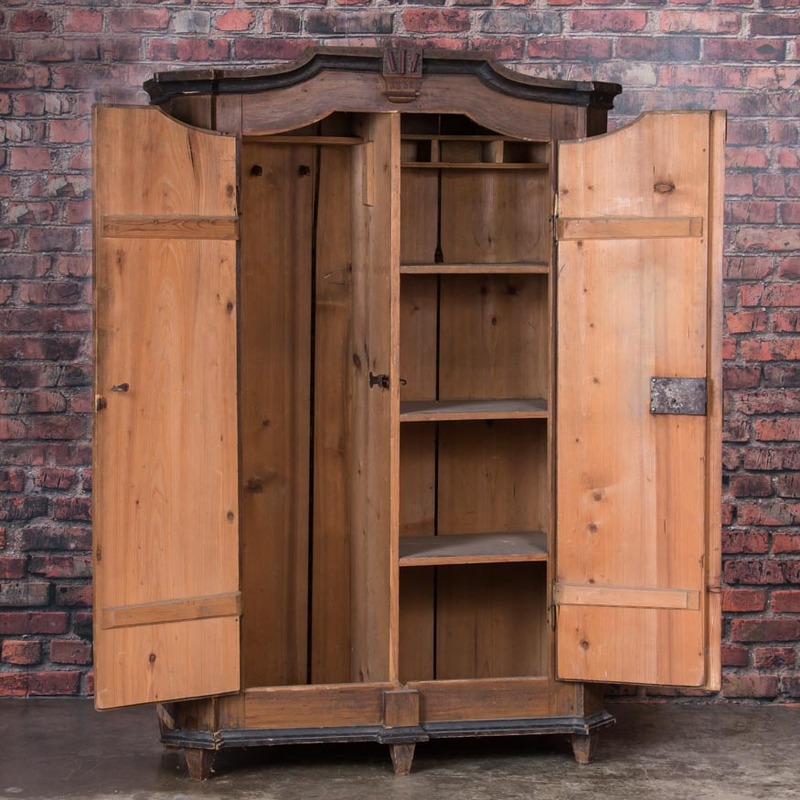 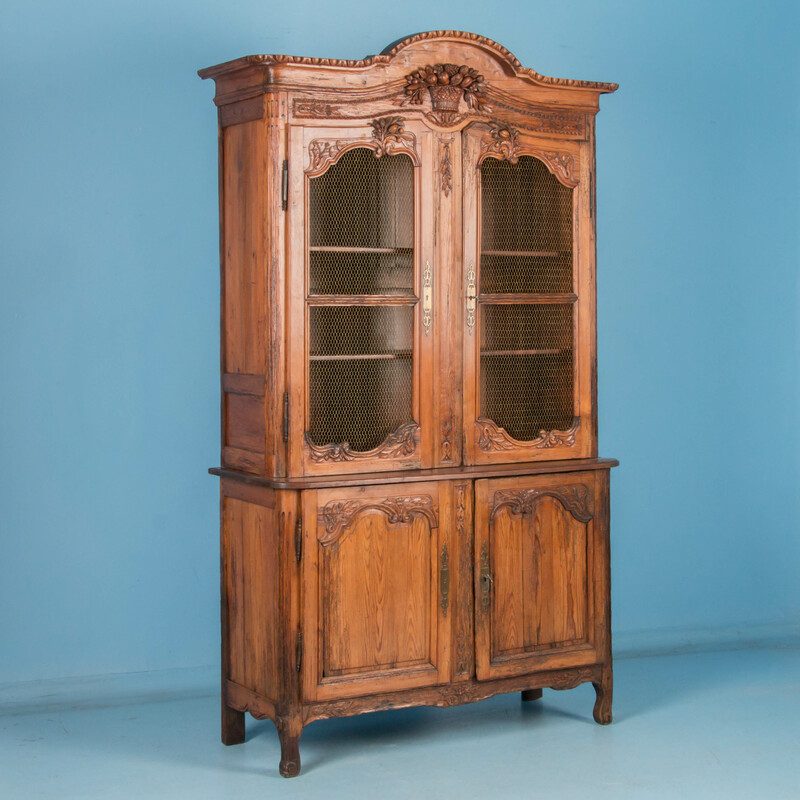 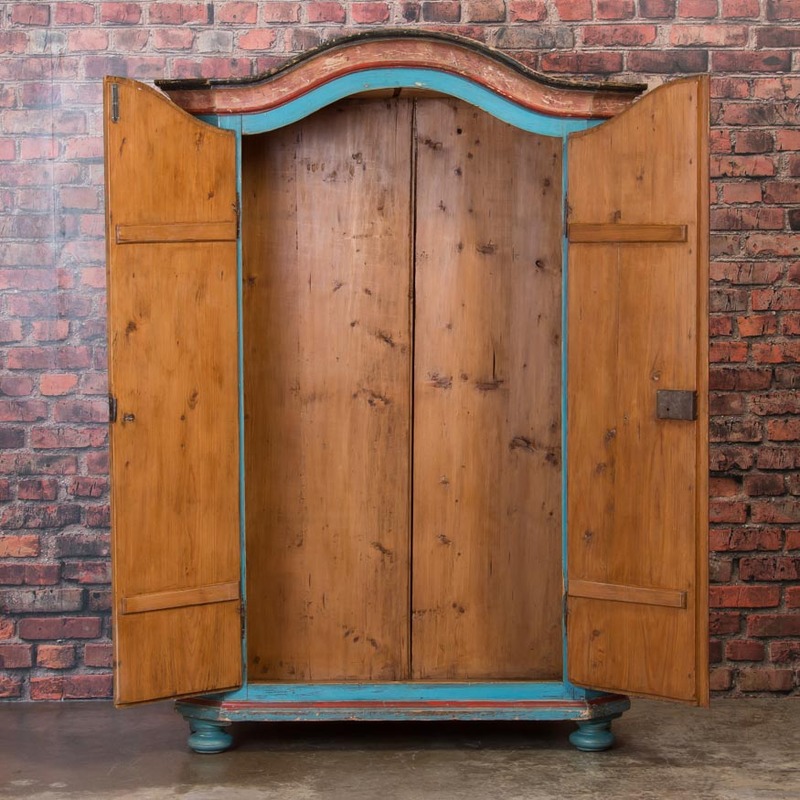 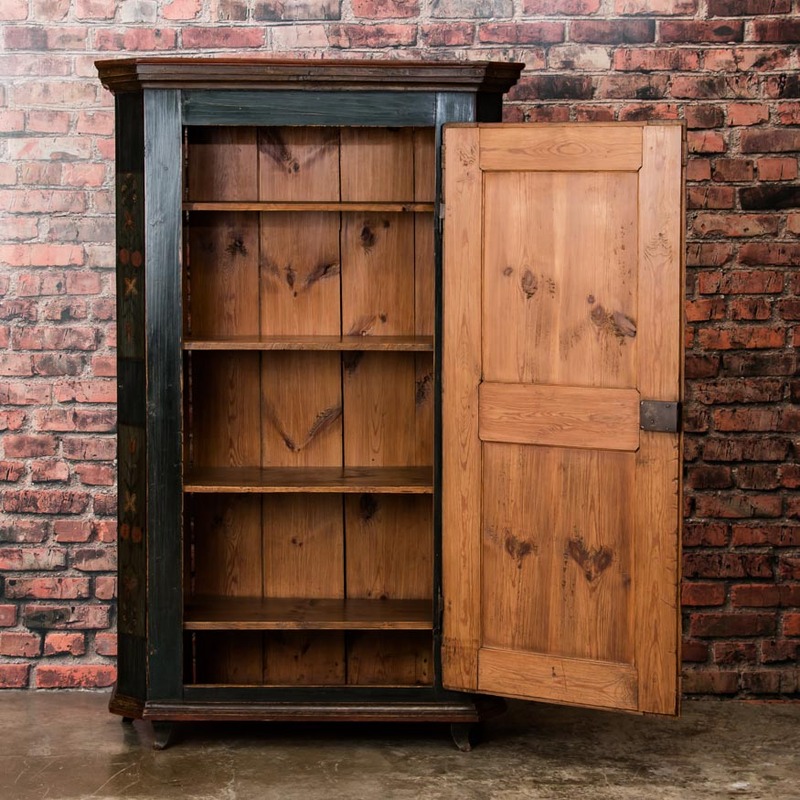 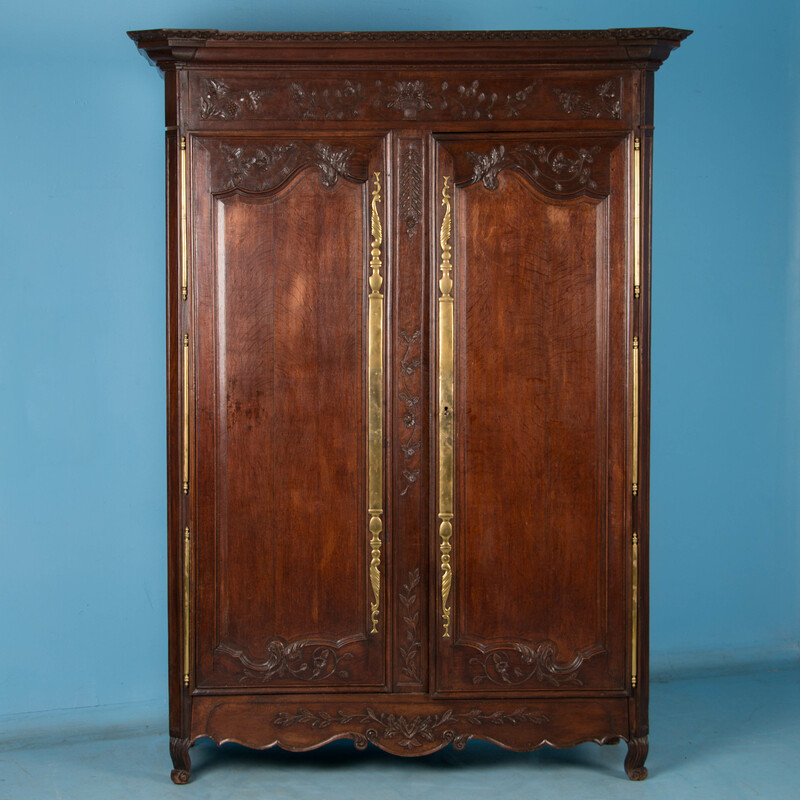 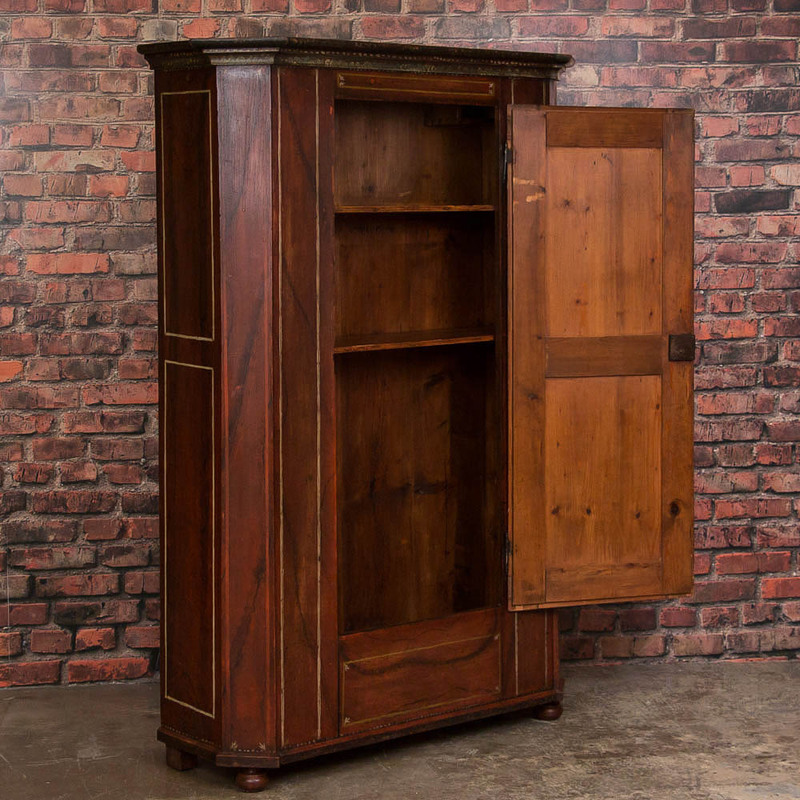 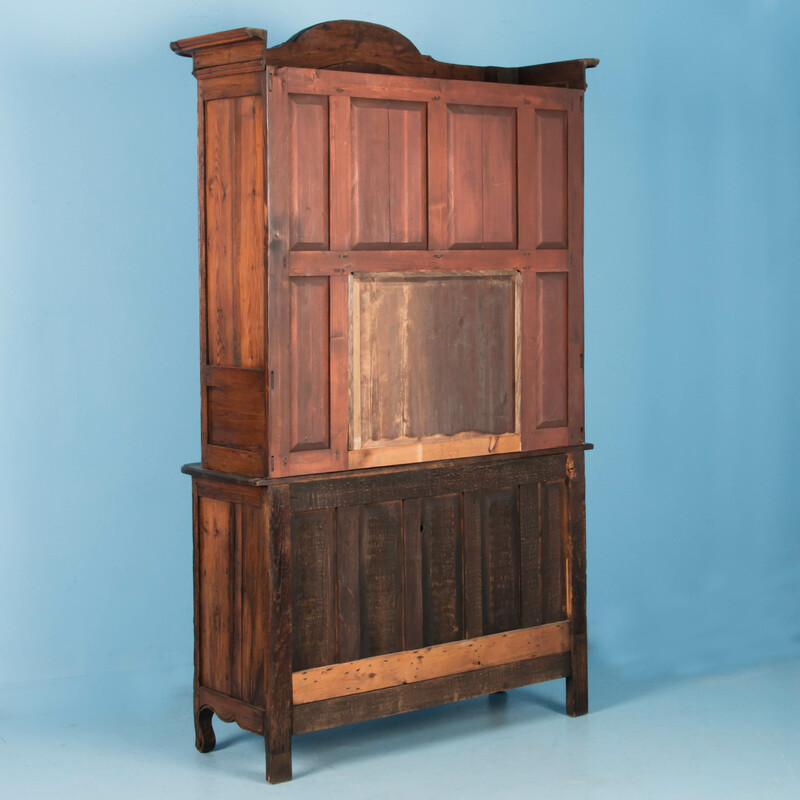 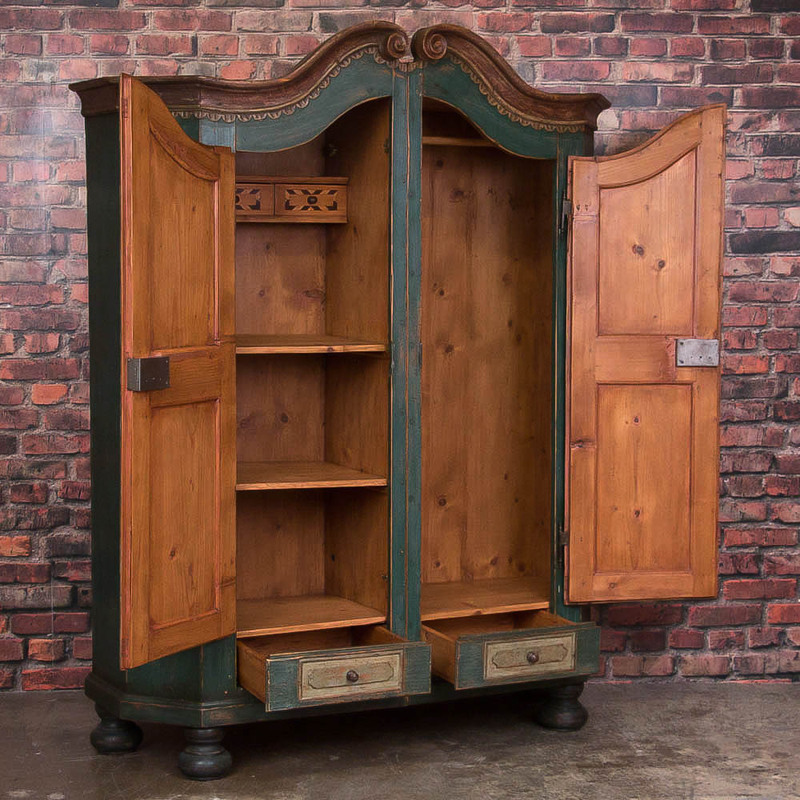 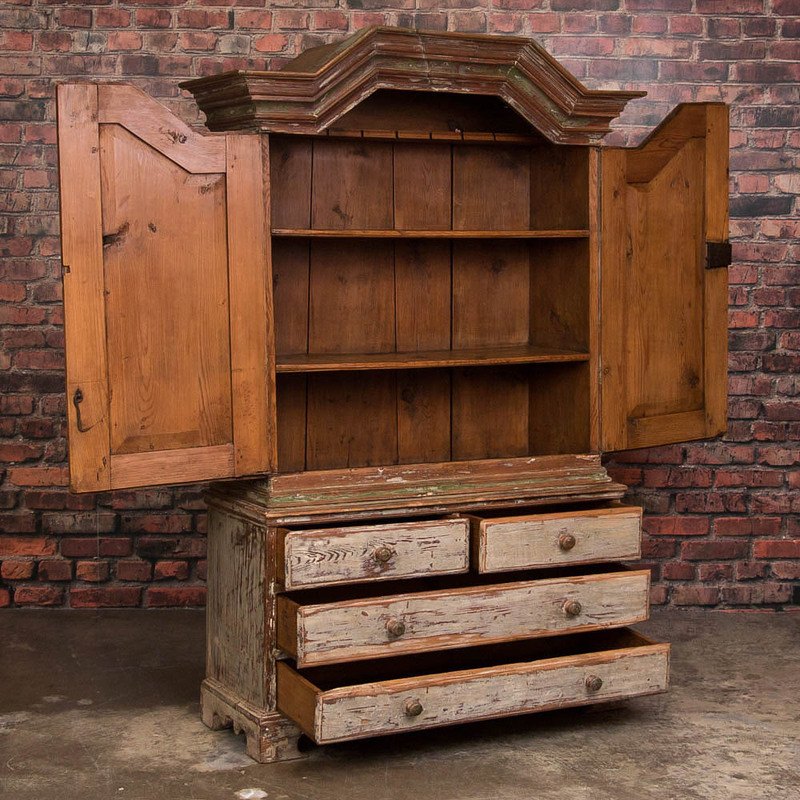 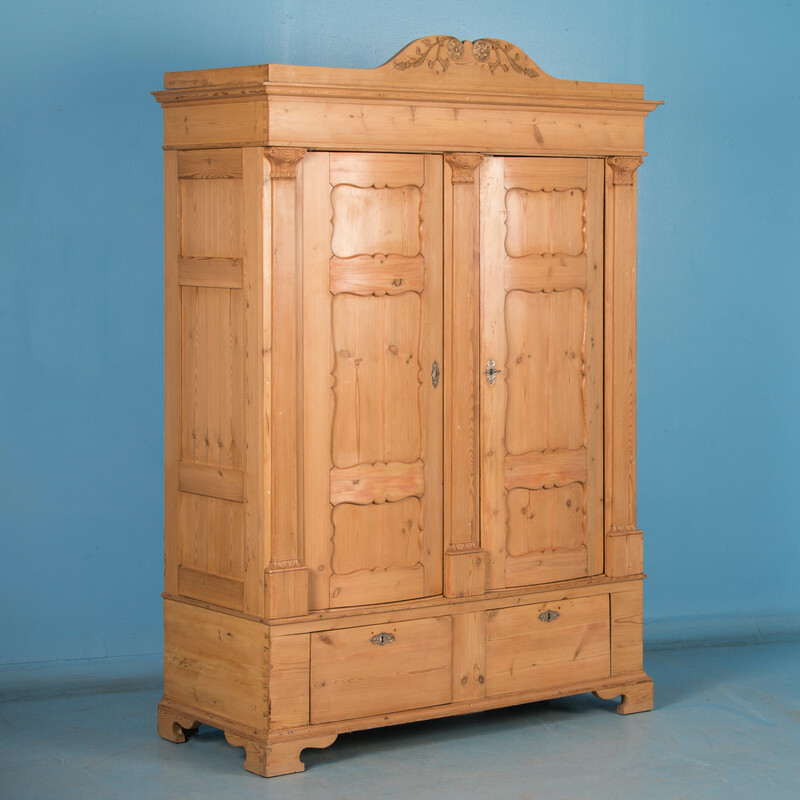 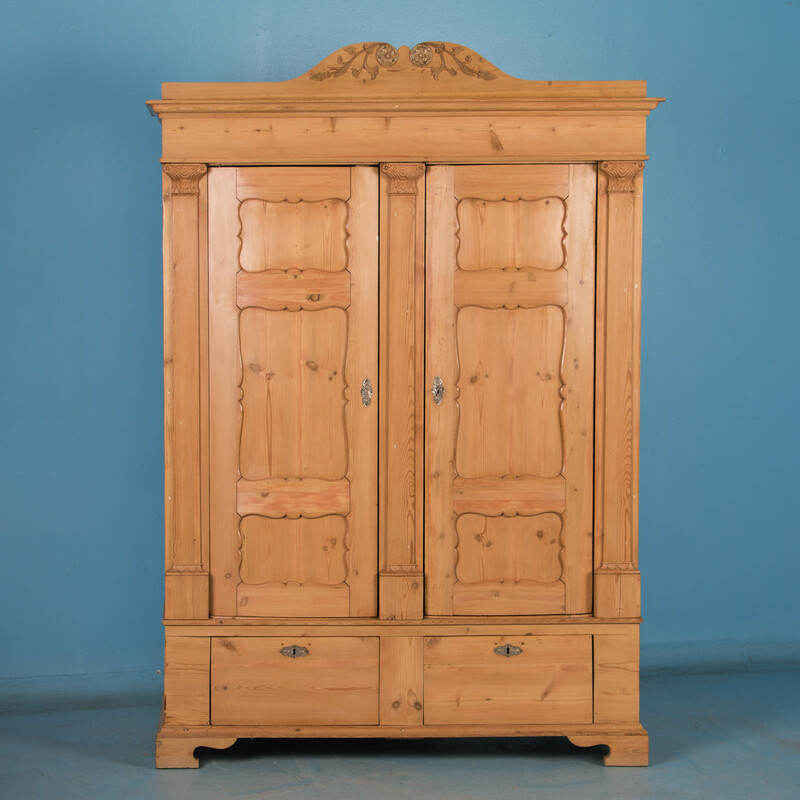 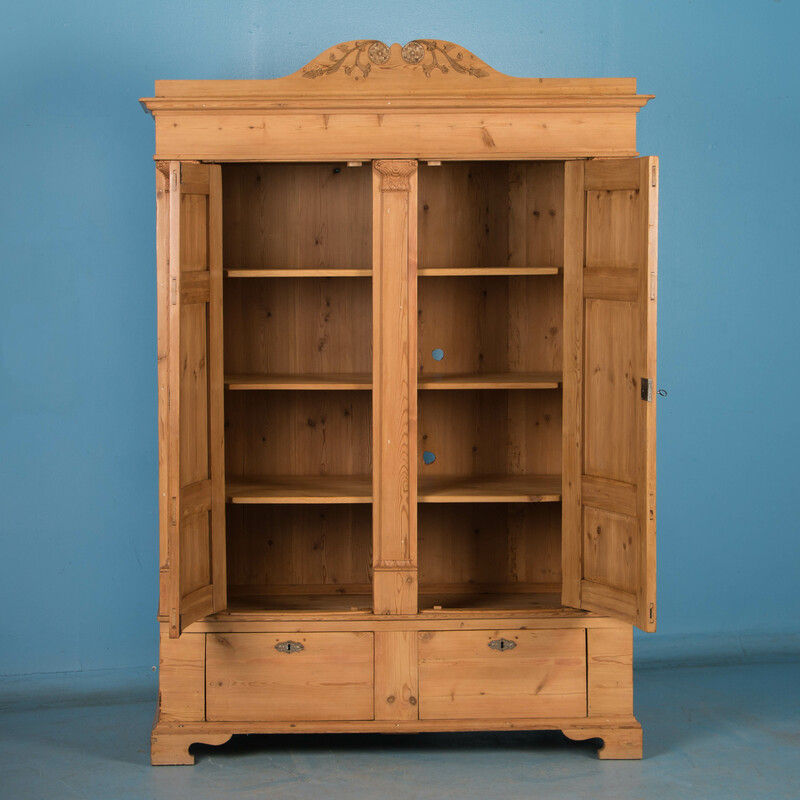 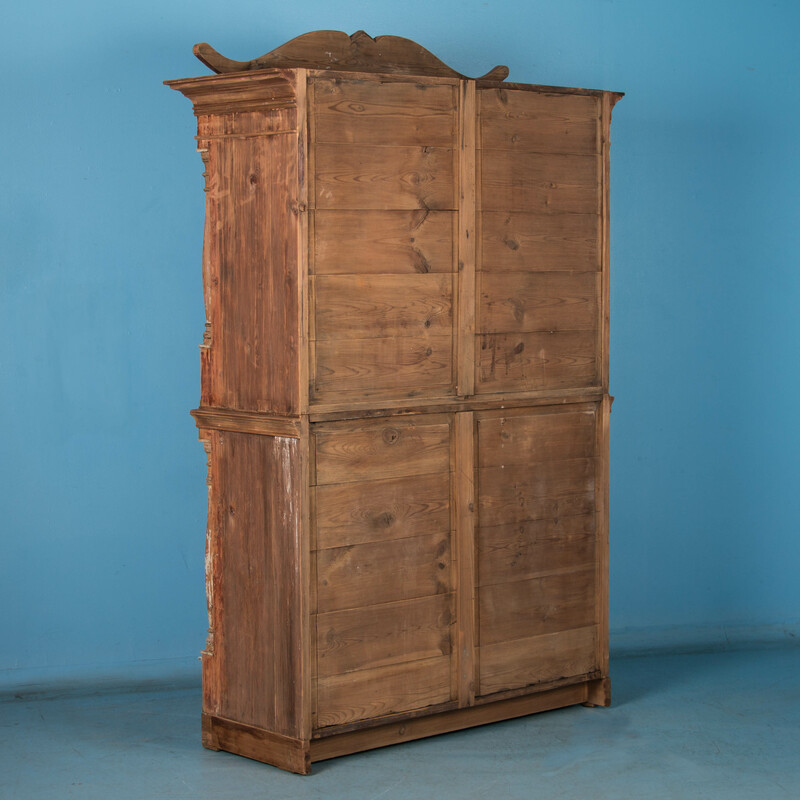 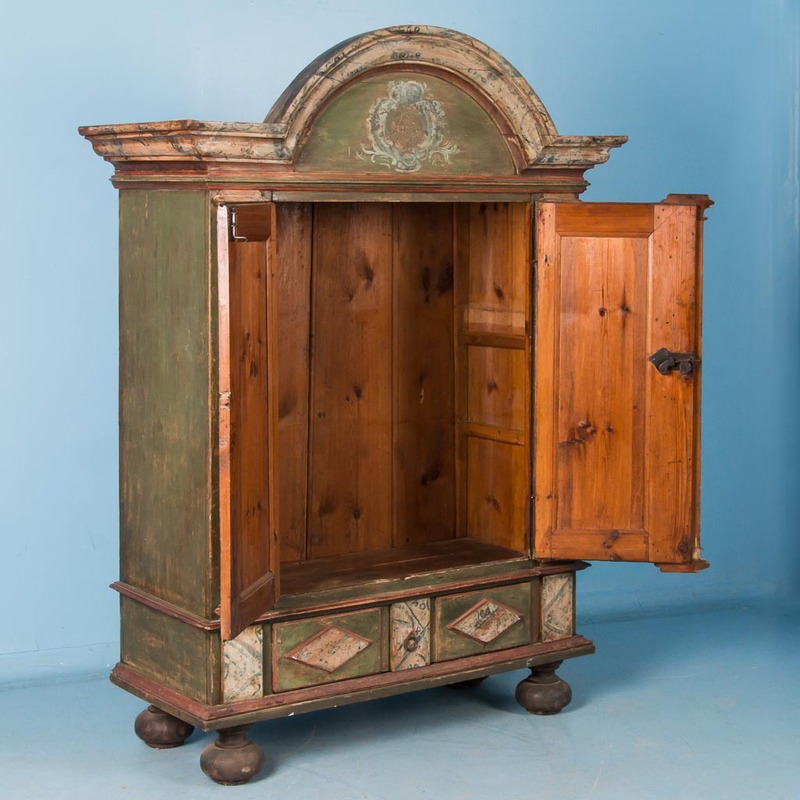 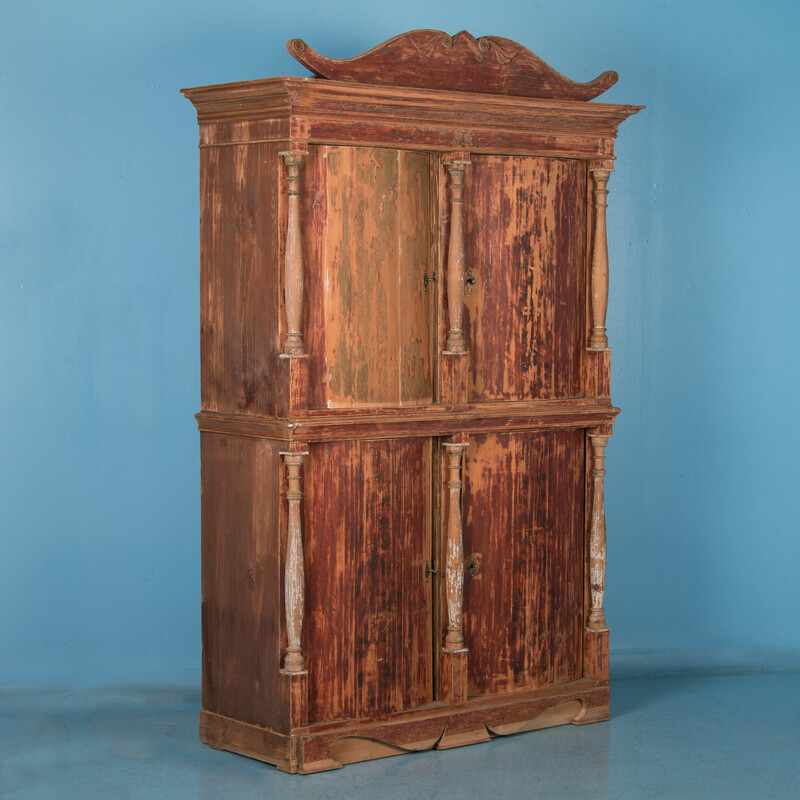 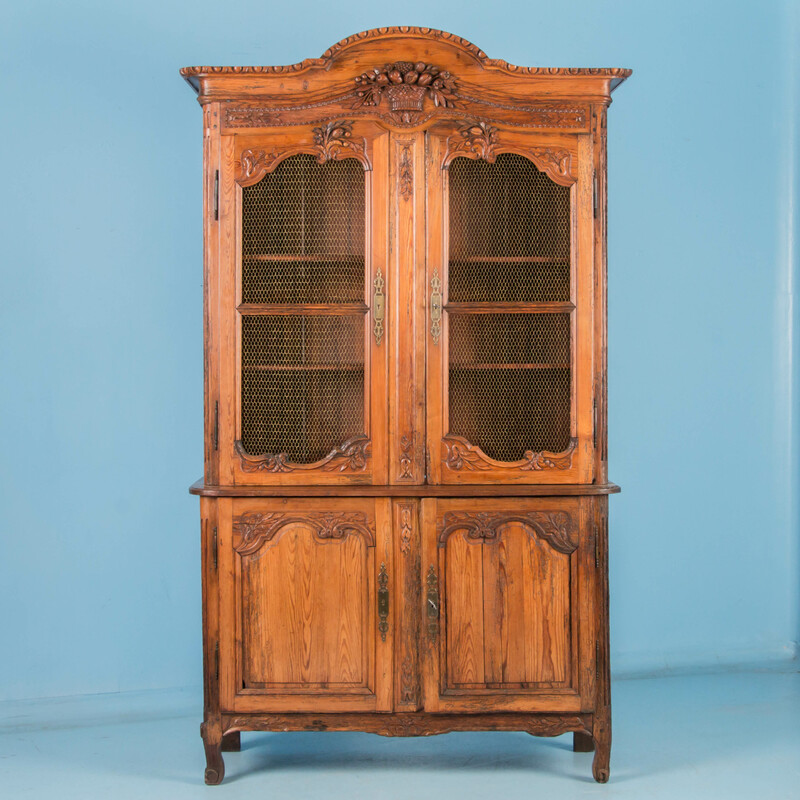 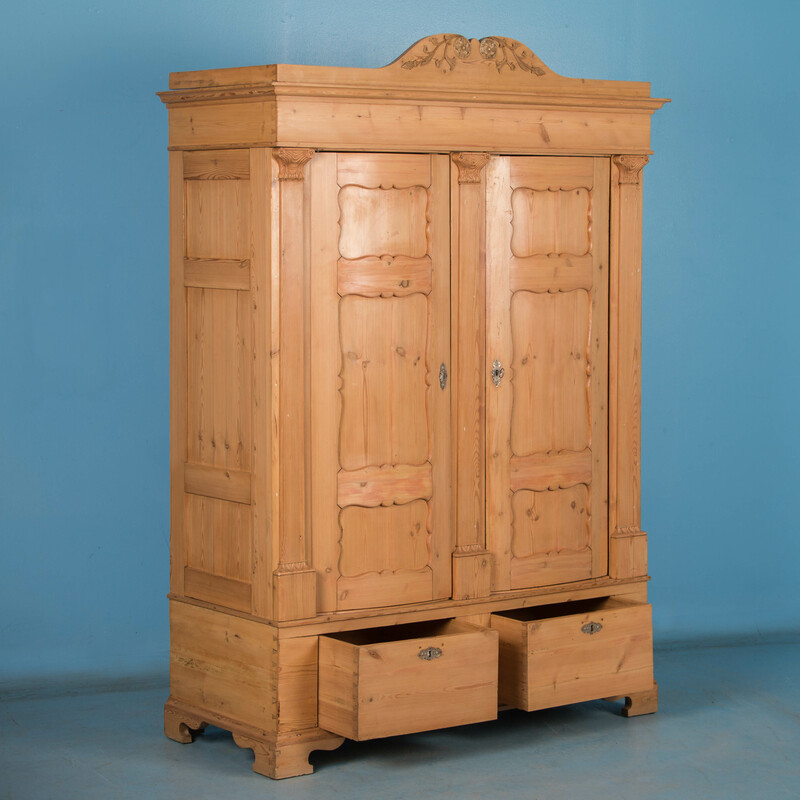 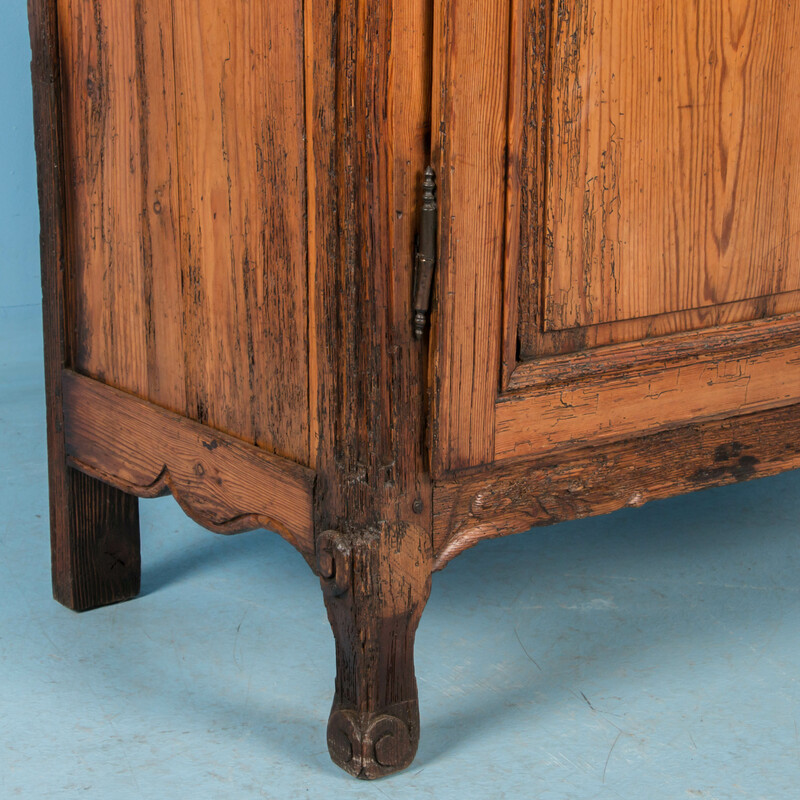 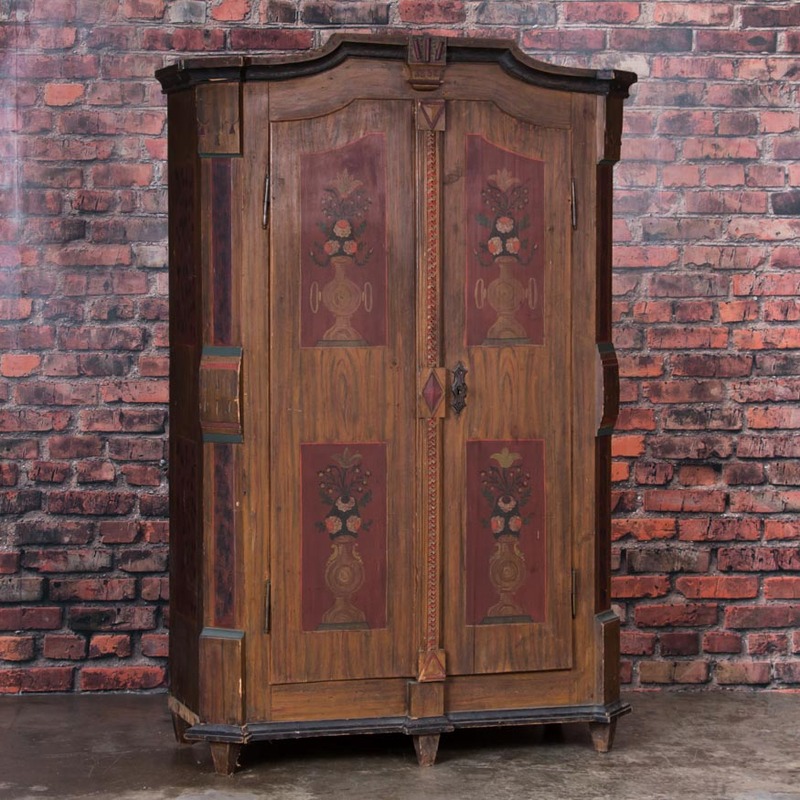 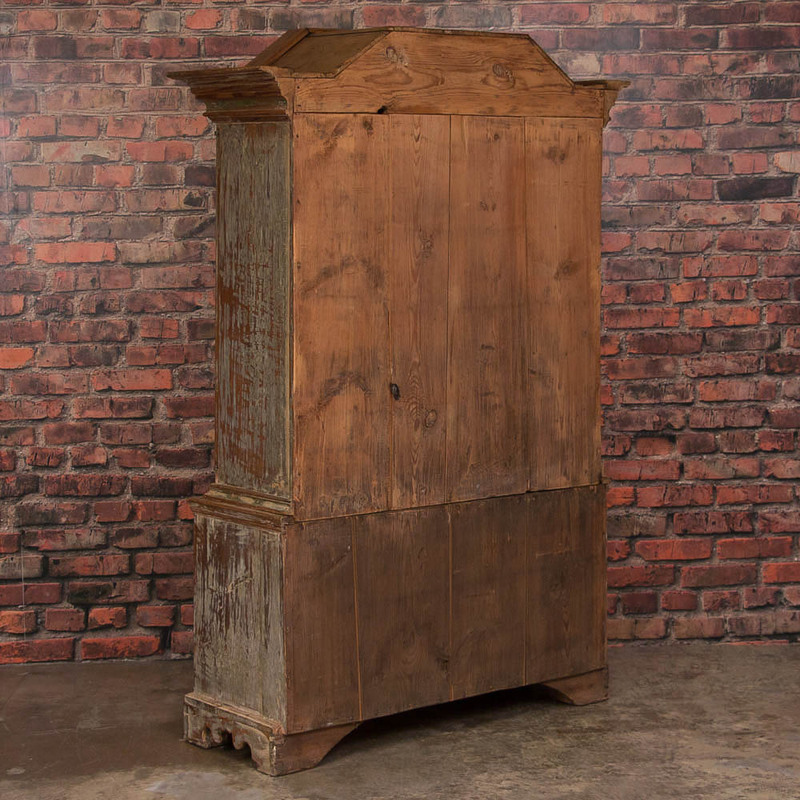 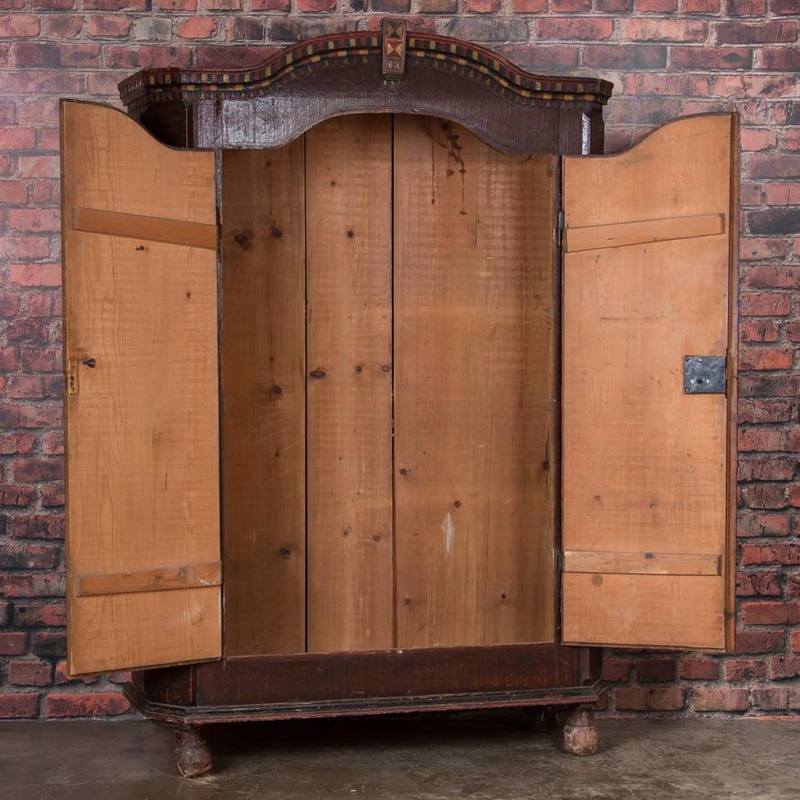 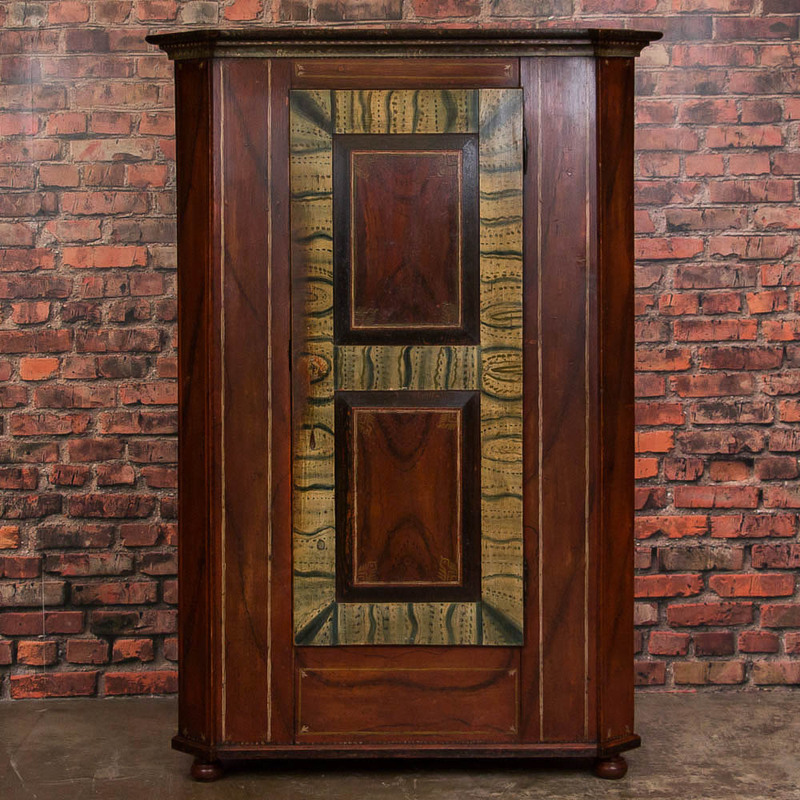 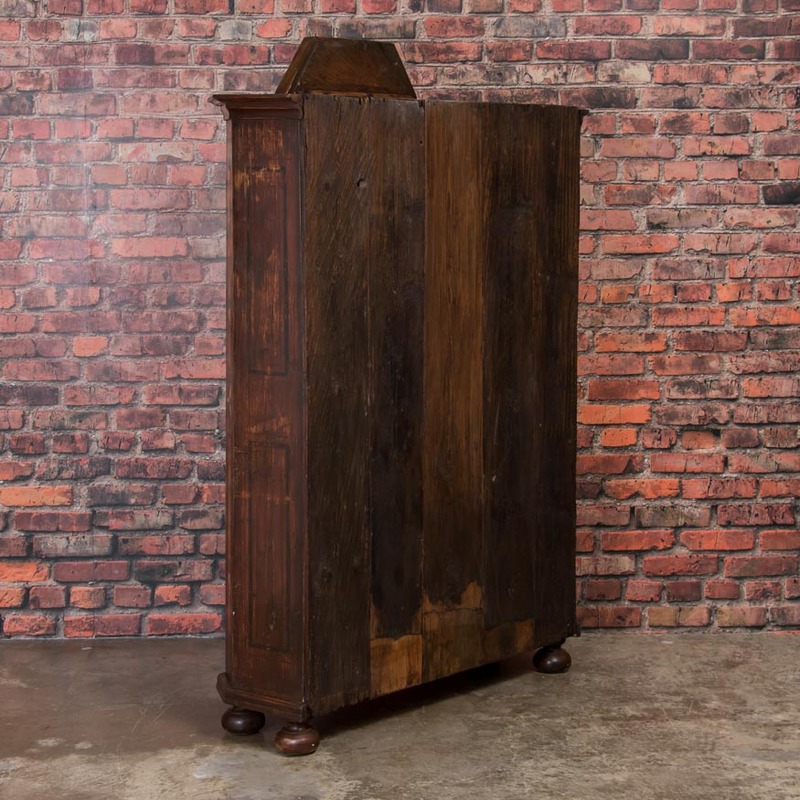 Crafted in the late 18th century France, this oak armoire has beautifully carved moldings from the cornice to the door as well as the side panels.